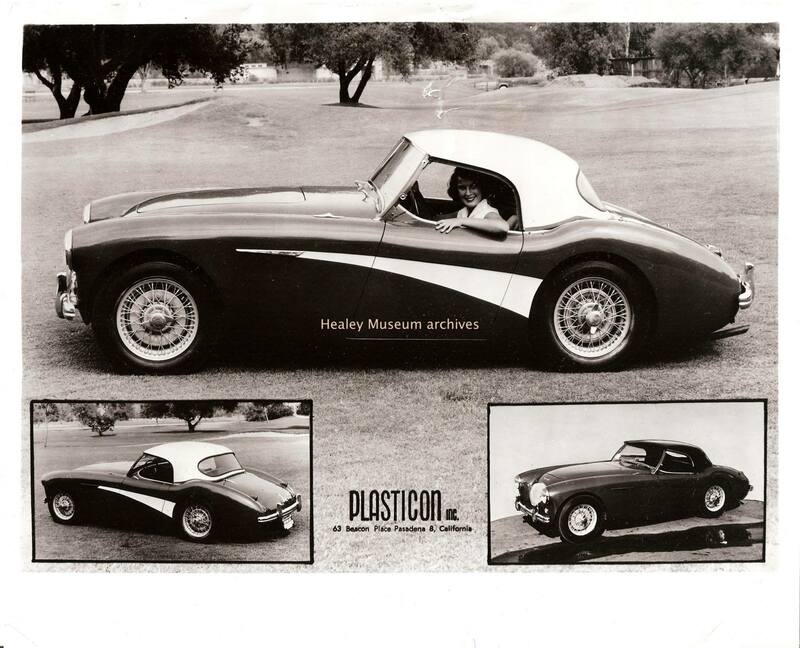 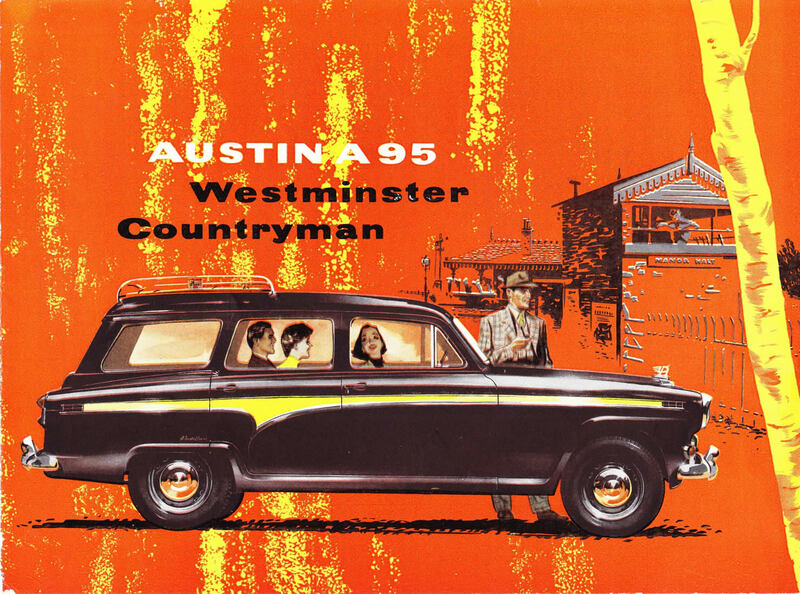 For Austin’s American subsidiary, see American Austin Car Company. 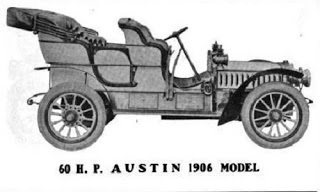 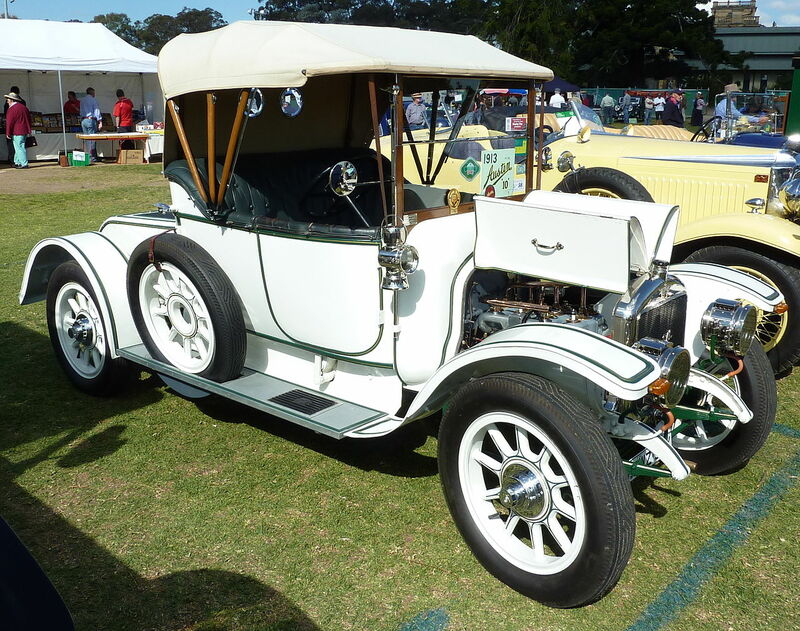 For the unrelated American Austin company 1901-1921, see Austin Automobile Company. 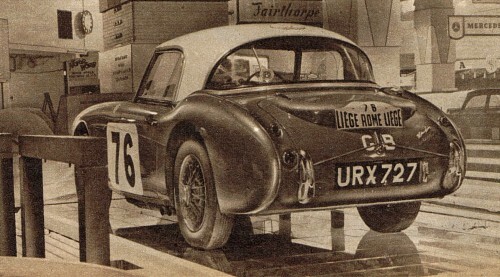 Merged, The marque is dormant and may be reused. 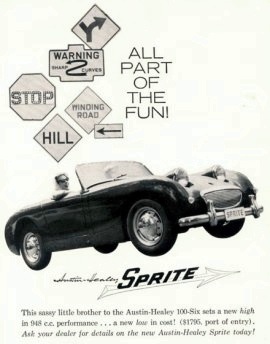 Official marque logo, revised by current owners SAIC. 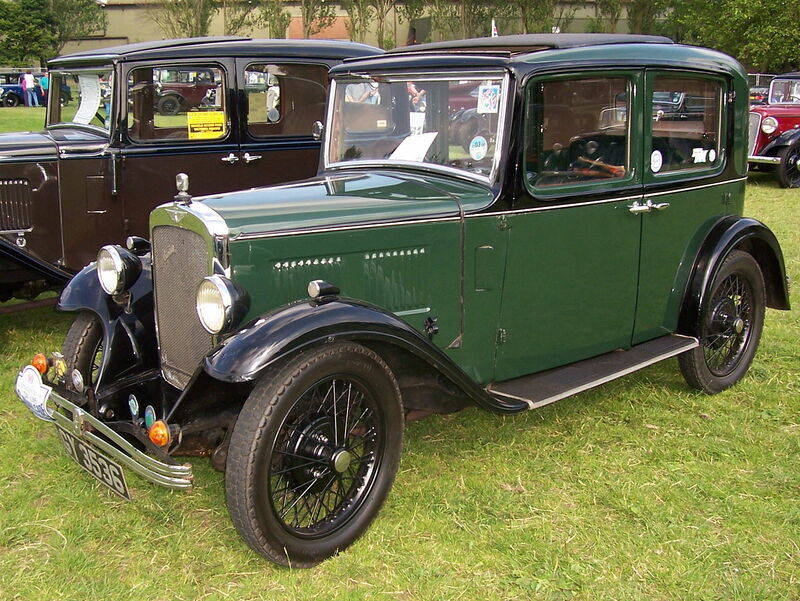 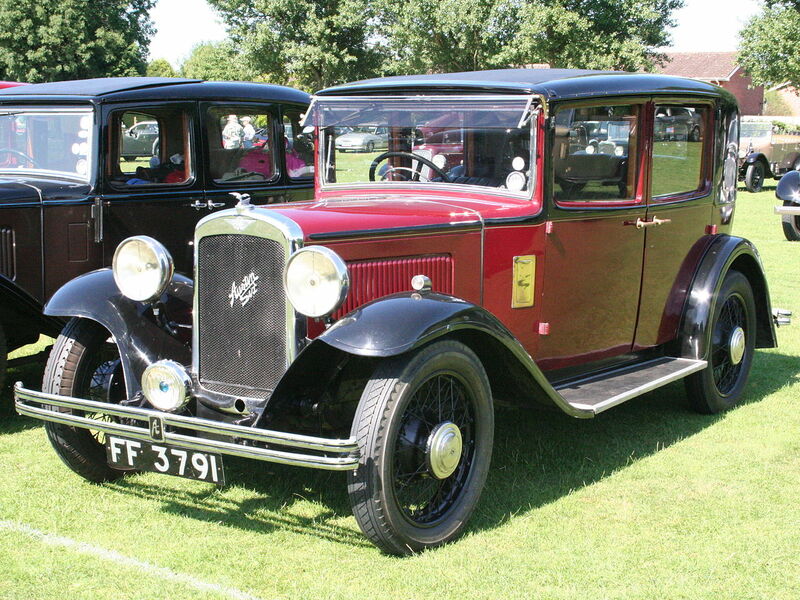 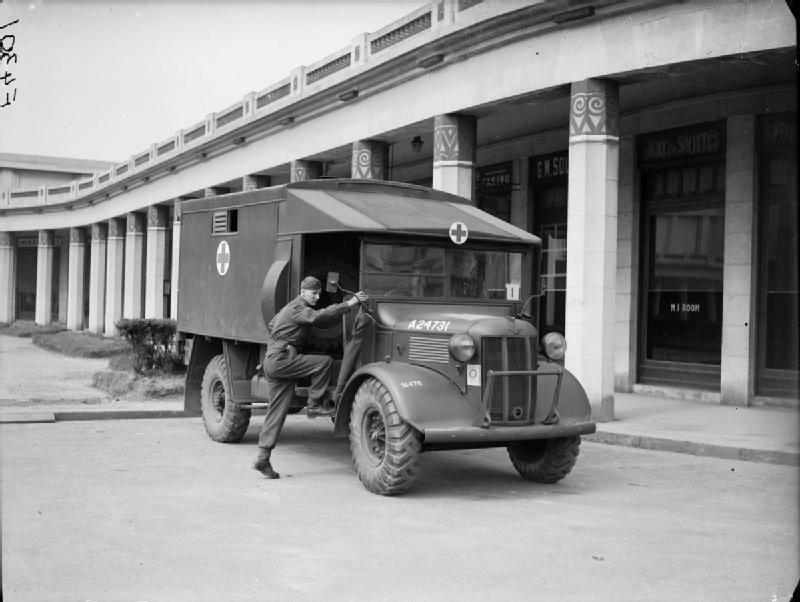 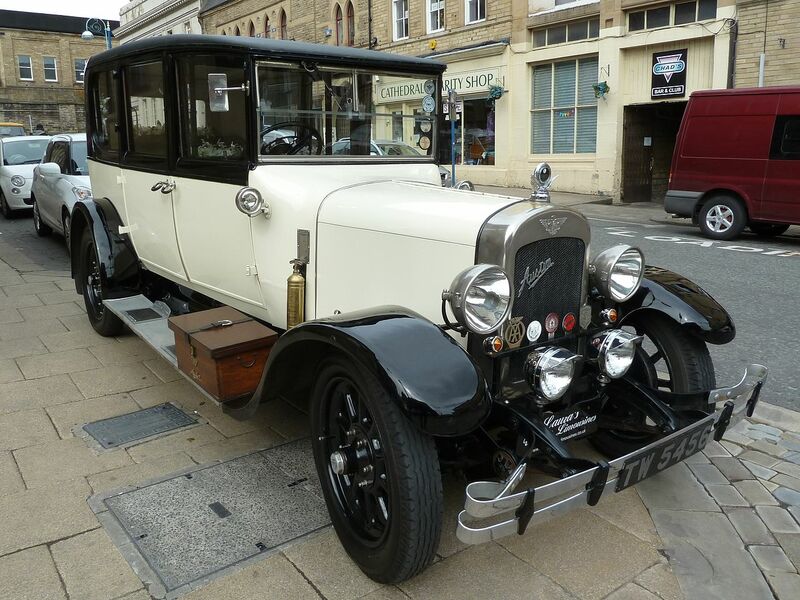 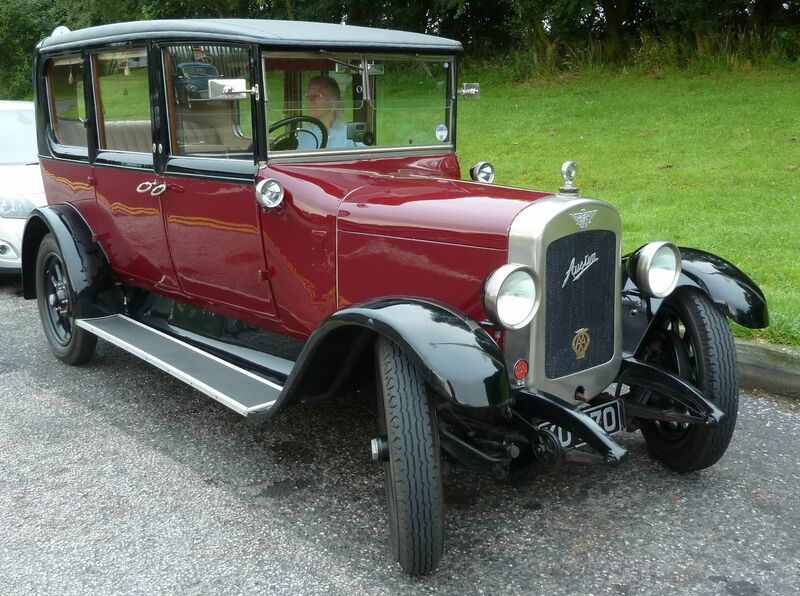 The Austin Motor Company Limited was an English manufacturer of motor vehicles, founded in 1905 by Herbert Austin. 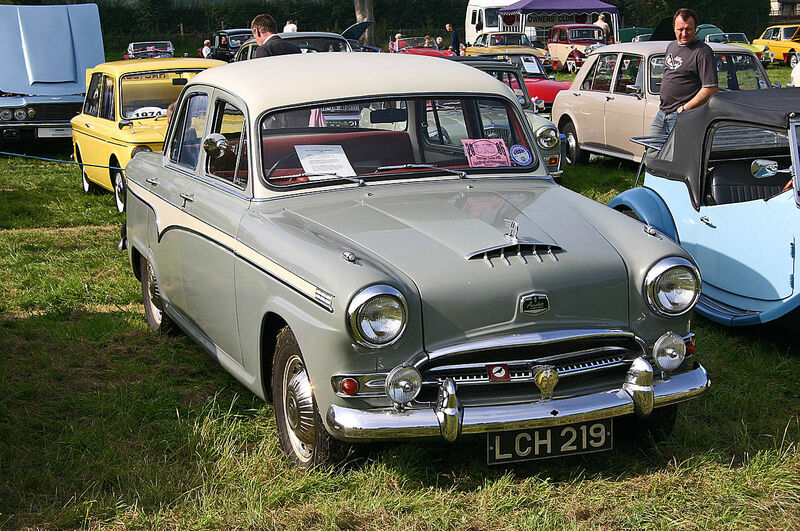 In 1952 it was merged with Morris Motors Limited in the new holding company British Motor Corporation (BMC) Limited, keeping its separate identity. 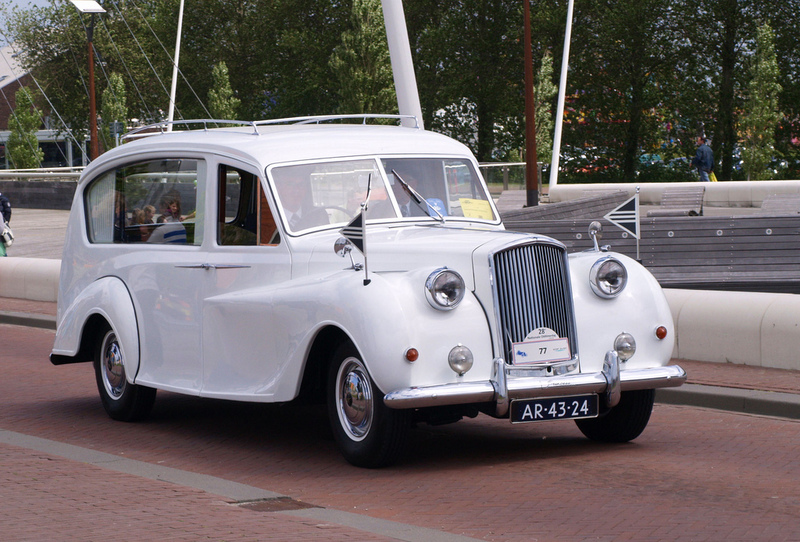 The marque Austin was used until 1987. 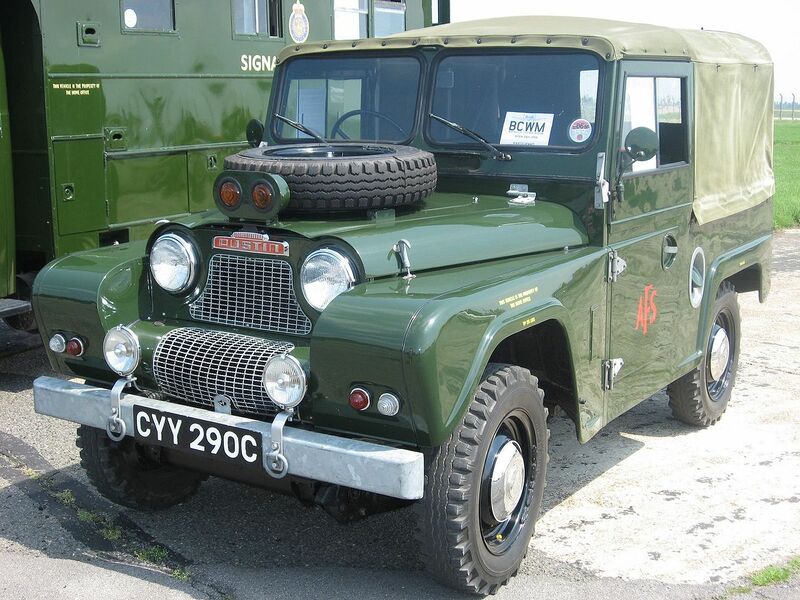 The trademark is currently owned by SAIC after being transferred from bankrupt subsidiary Nanjing Automotive which had acquired it with MG Rover Group in July 2005. 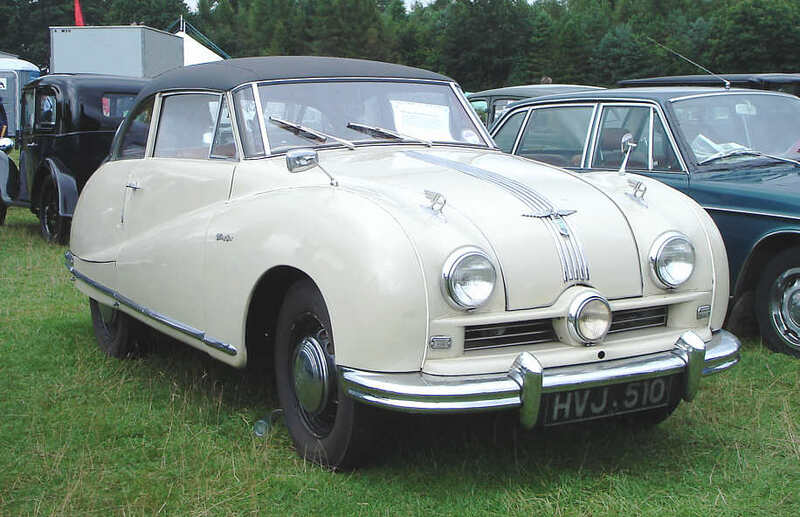 While running the original Wolseley business, which had a highly cyclical sales pattern, Herbert Austin, searched for products with a steady demand. 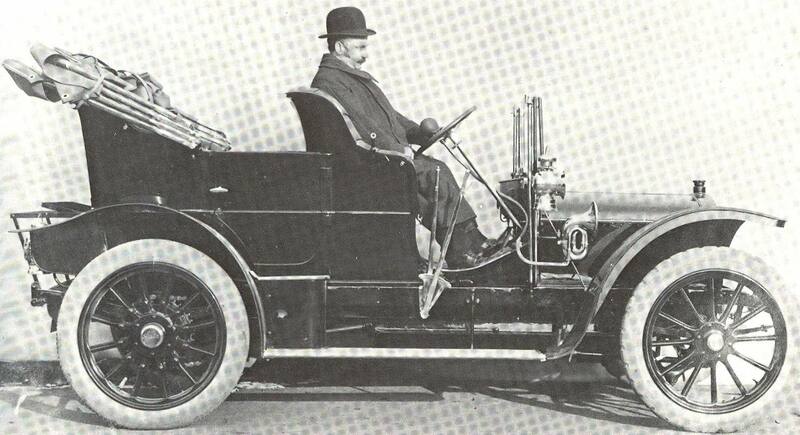 Starting in 1895, he built three cars in his free time. 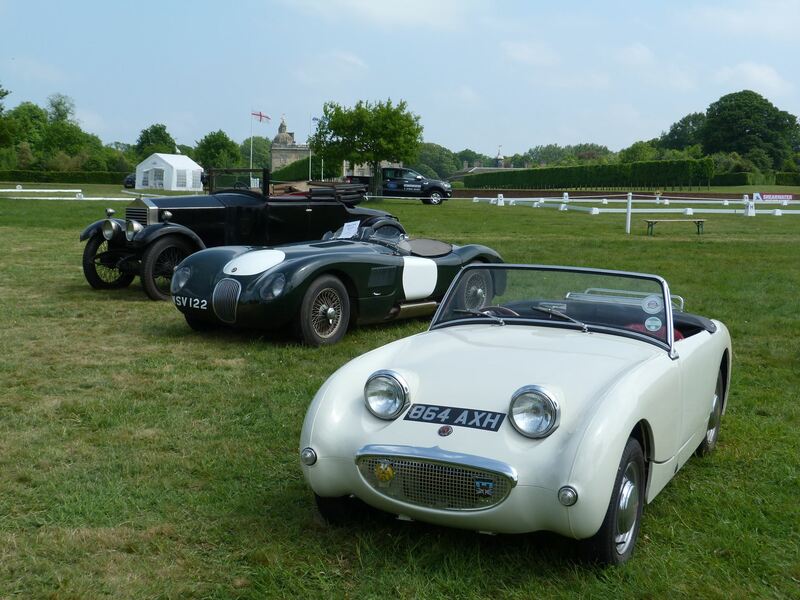 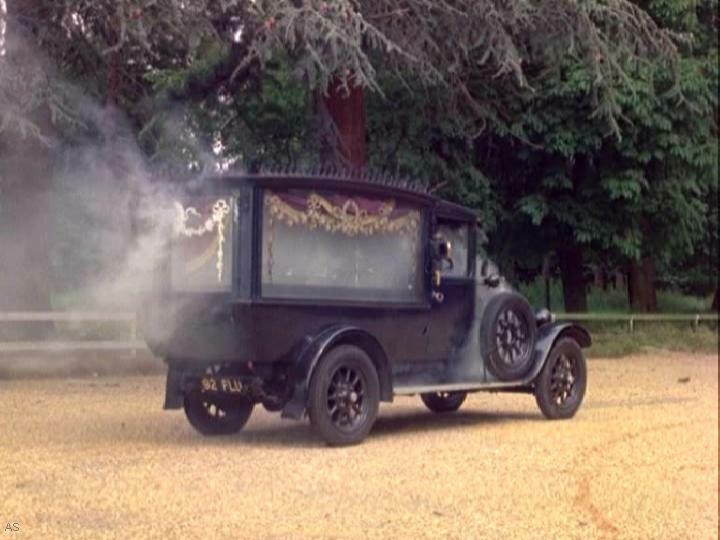 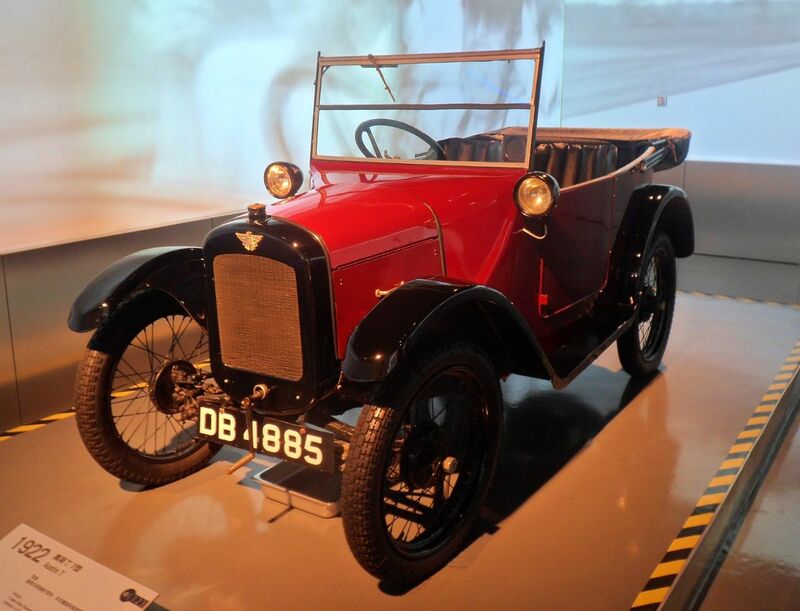 They were among Britain’s first cars. 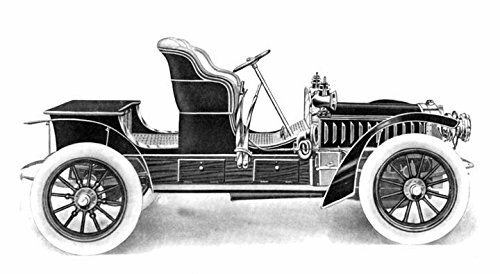 The third car, a four-wheeler, was completed in 1899. 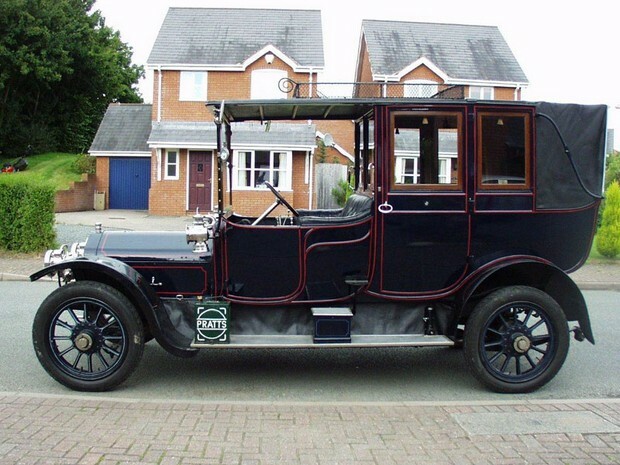 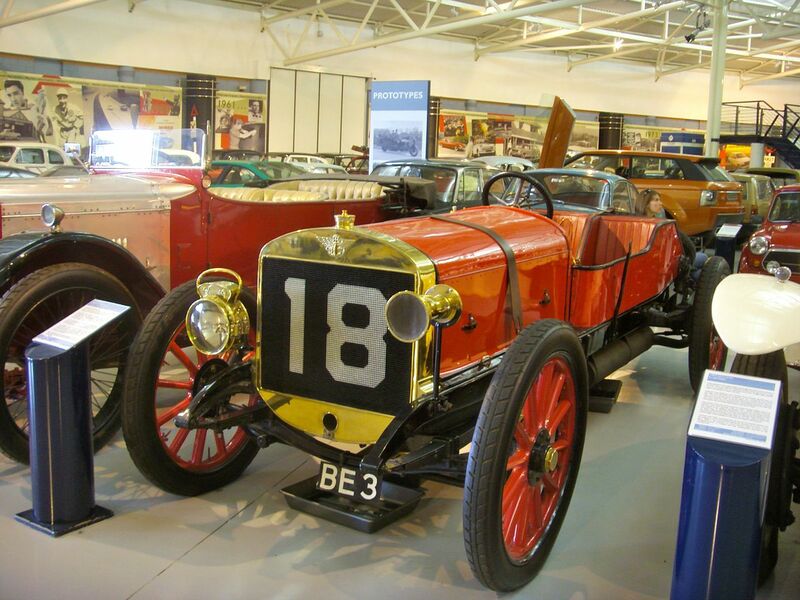 By 1901 his fellow directors could not see future profit in motor vehicles and so with their blessing and the backing of the Vickers brothers Austin started a separate car manufacturing business still using the name Wolseley. 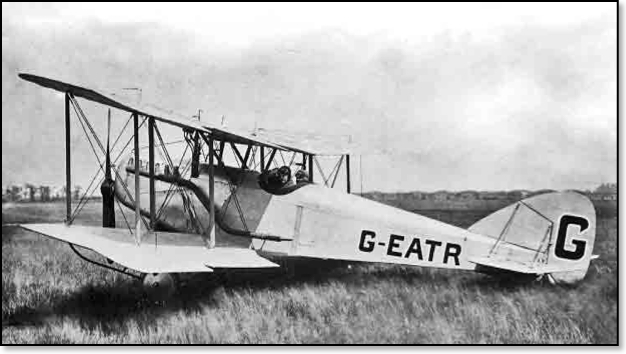 In 1905 he fell out with Thomas and Albert Vickers over engine design. 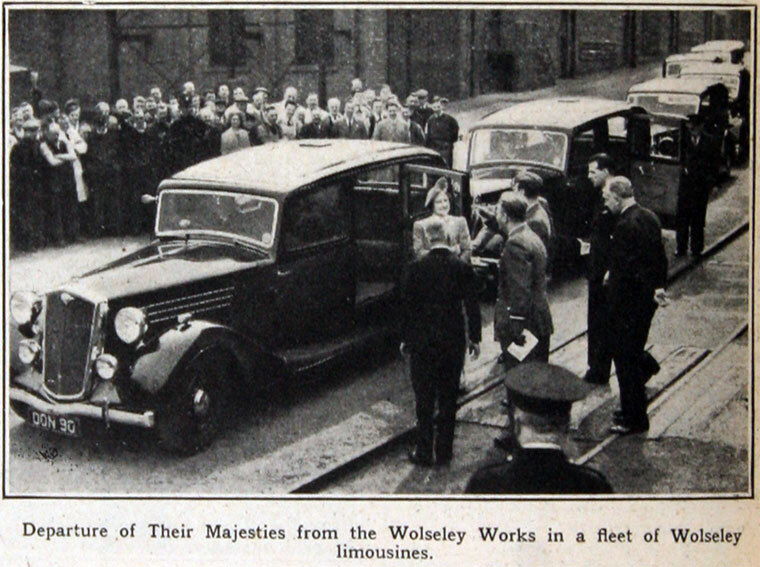 Leaving his creation, Wolseley, which he had made Britain’s largest motor vehicle manufacturer, Austin obtained the backing of steel magnate Frank Kayser for his own enterprise. 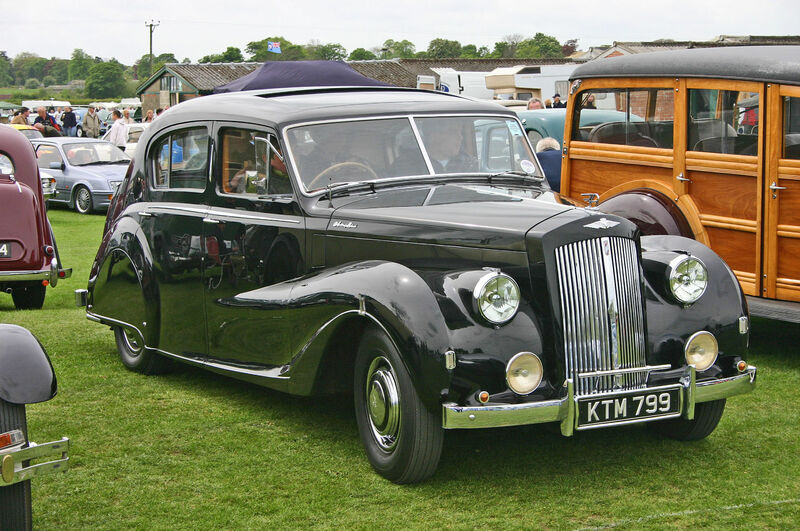 Kayser provided funds through mortgages and loans, debentures and guarantees to the Midland Bank thereby allowing Austin to keep virtually total ownership of his own business through his personal savings. 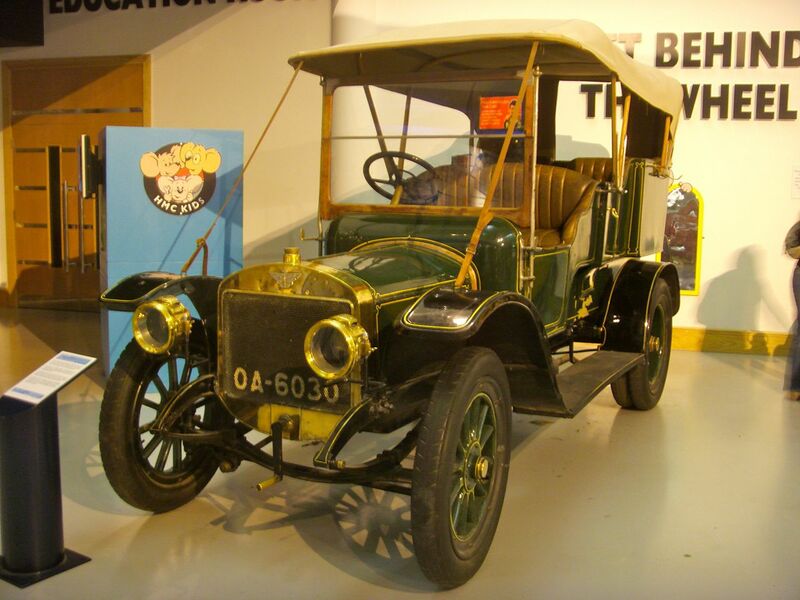 Further assistance came from Dunlop patent holder Harvey du Cros. 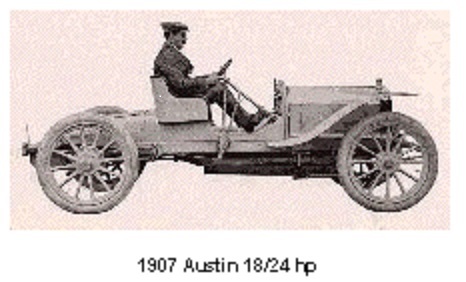 However, Austin’s great rival, William Morris, was able to enter the industry proper (he first repaired cars) a little later funding his operation entirely from his own resources. 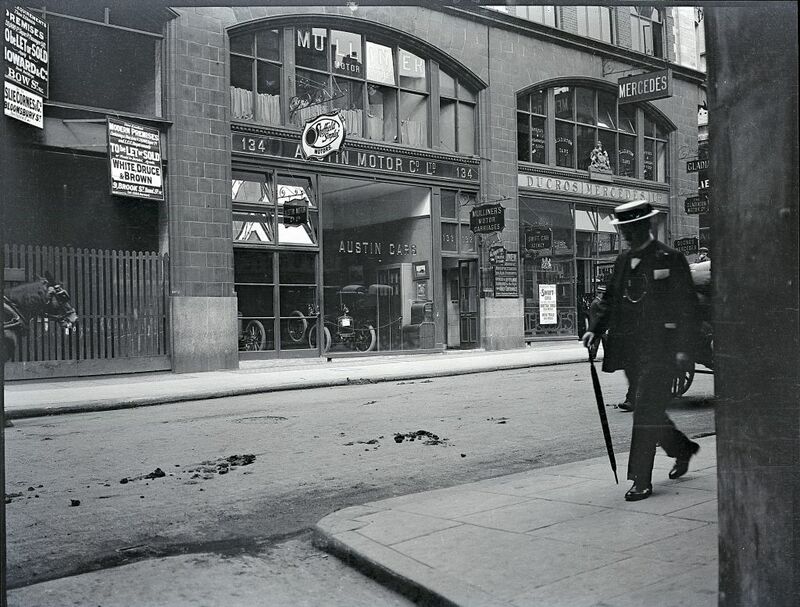 In November 1905 Herbert Austin acquired a disused printing works which was less than ten years old. 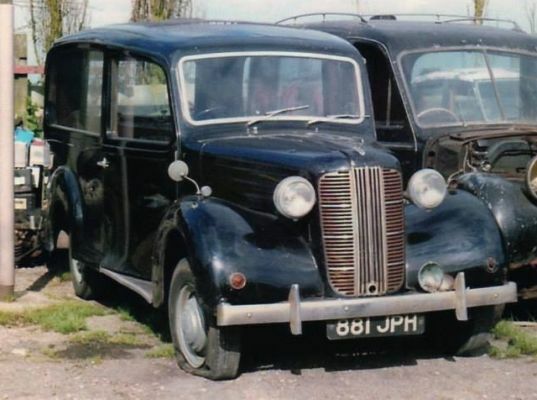 It was located seven miles south-west of Birmingham in the small village of Longbridge (then still within Worcestershire). 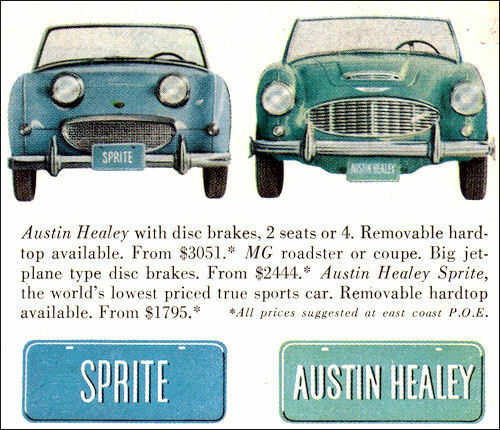 The following month The Austin Motor Company Limited was incorporated. 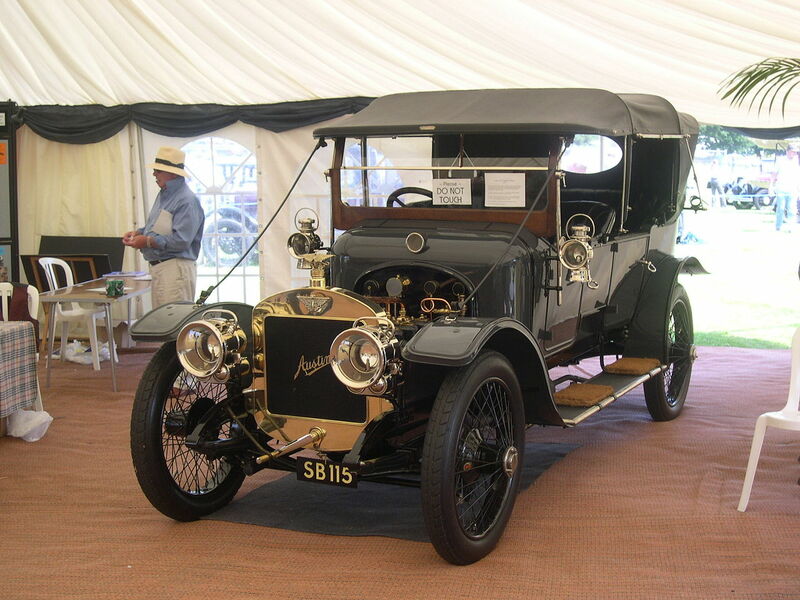 In the last week of April 1906 a large body of motorists travelled to Longbridge “where snow lay full three inches deep on the ground and was still falling fast” to see the new Austin car, a conventional four-cylinder model with chain drive. 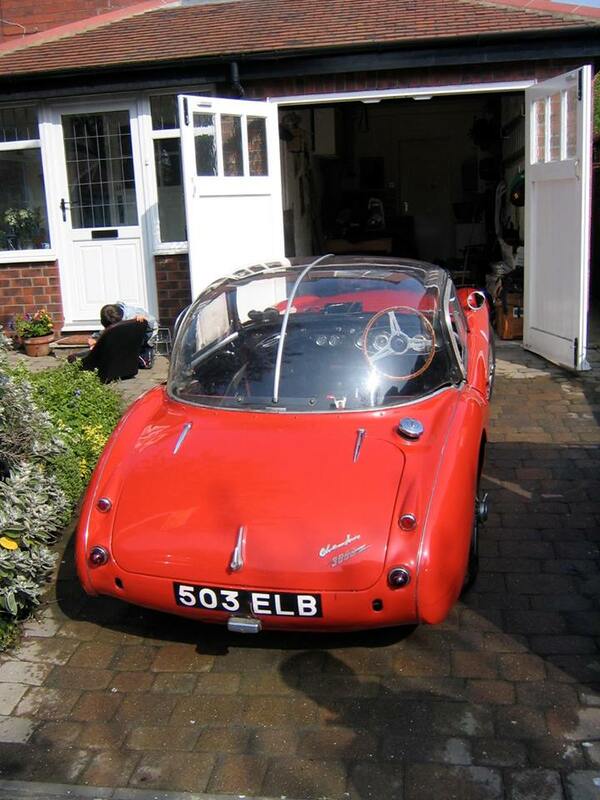 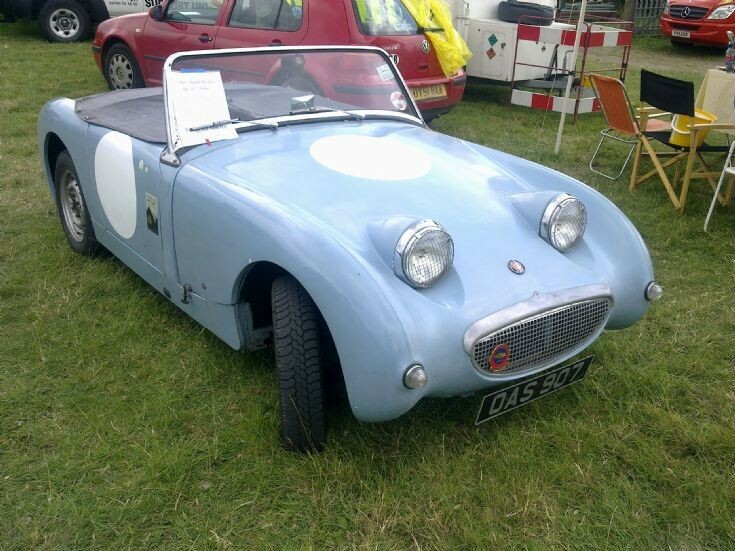 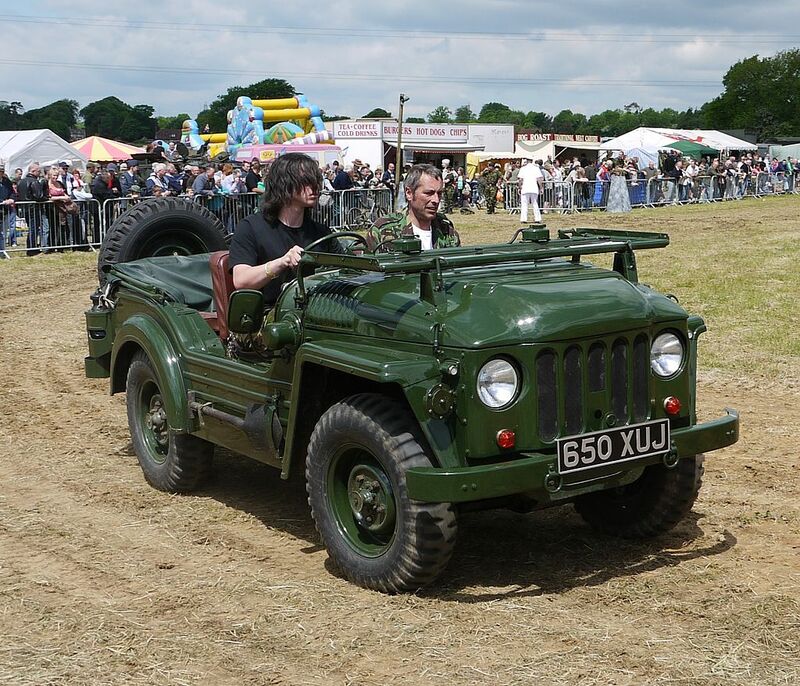 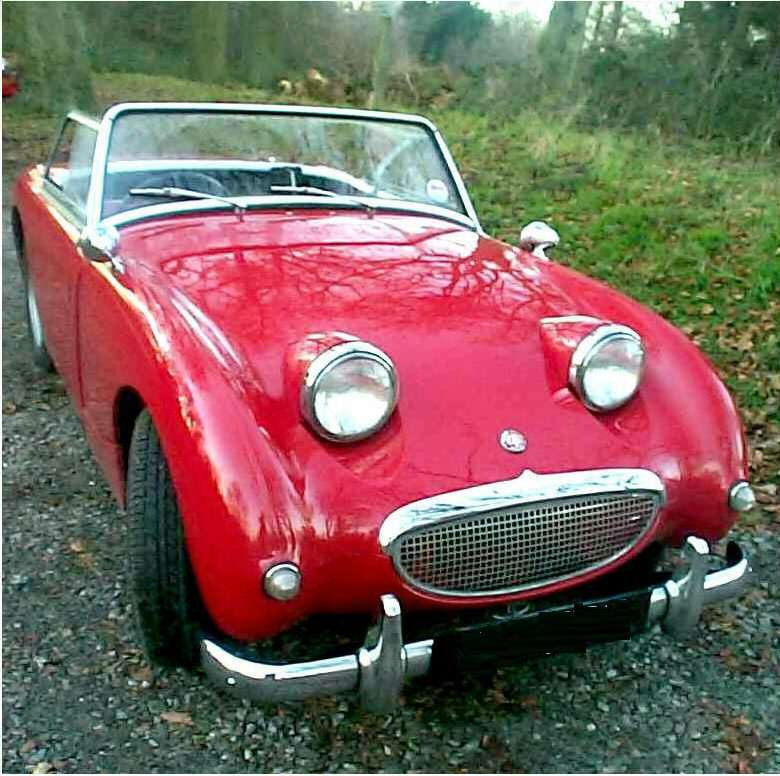 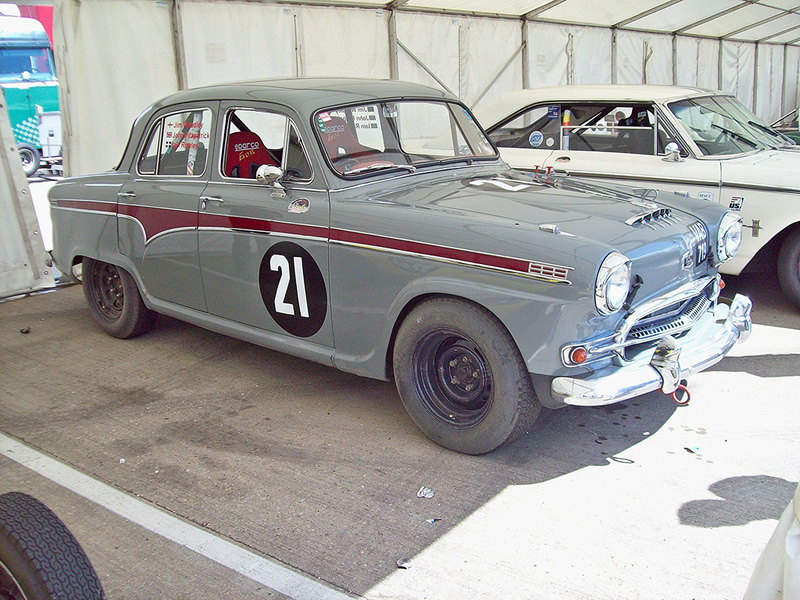 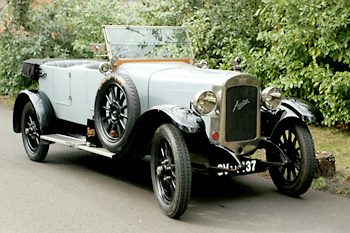 It was available as a 15/20 hp complete at £500 (chassis, £425) and a 25/30 hp for £650 (chassis, £550). 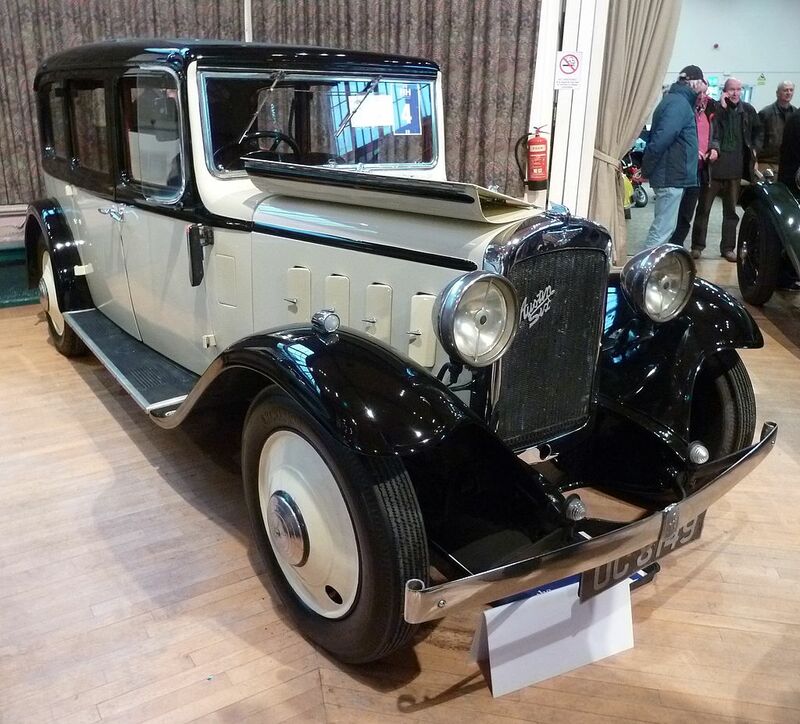 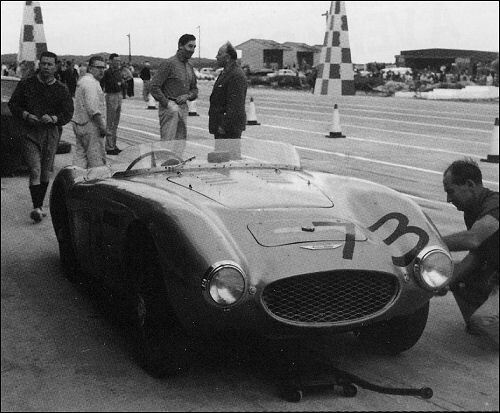 The sole concessionaire for sale of the cars was Mr Harvey Du Cros junior. 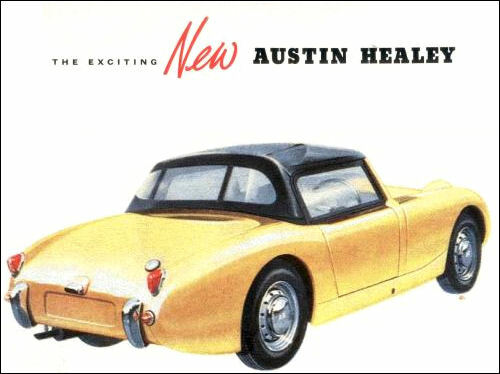 Two things were noticeable about Austin’s new design. 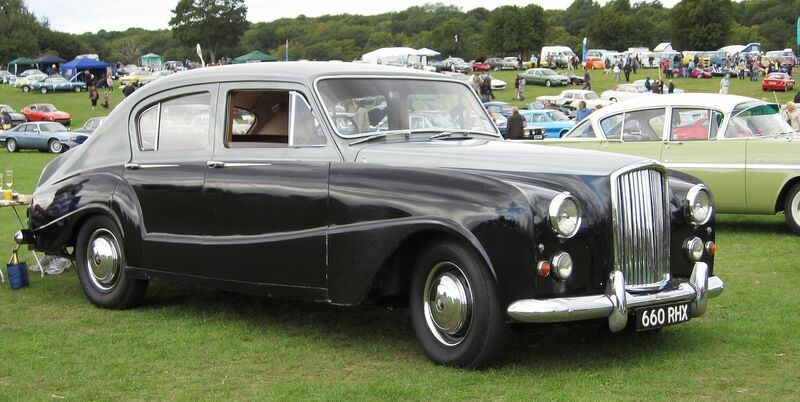 He had parted from the Vickers brothers because he had refused to use the then more conventional vertical engine in Wolseley cars. 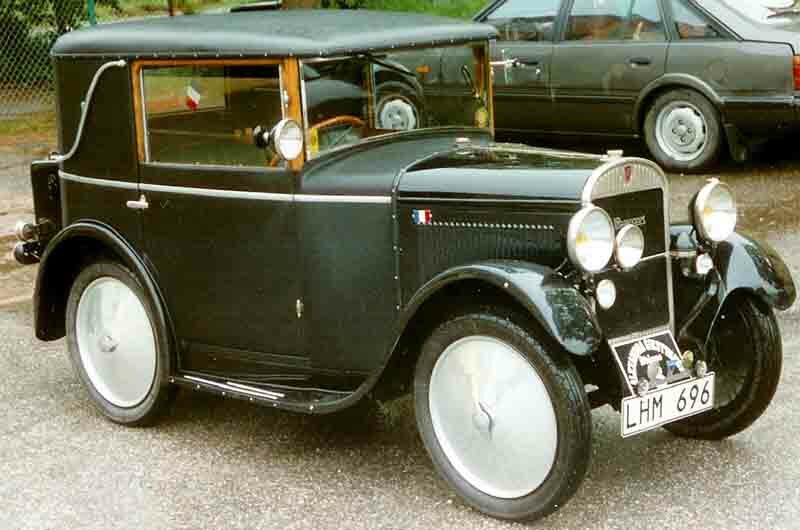 His new car had a vertical engine and, in all but minor detail, was identical to the English-built Clément-Gladiators assembled in the same factory. 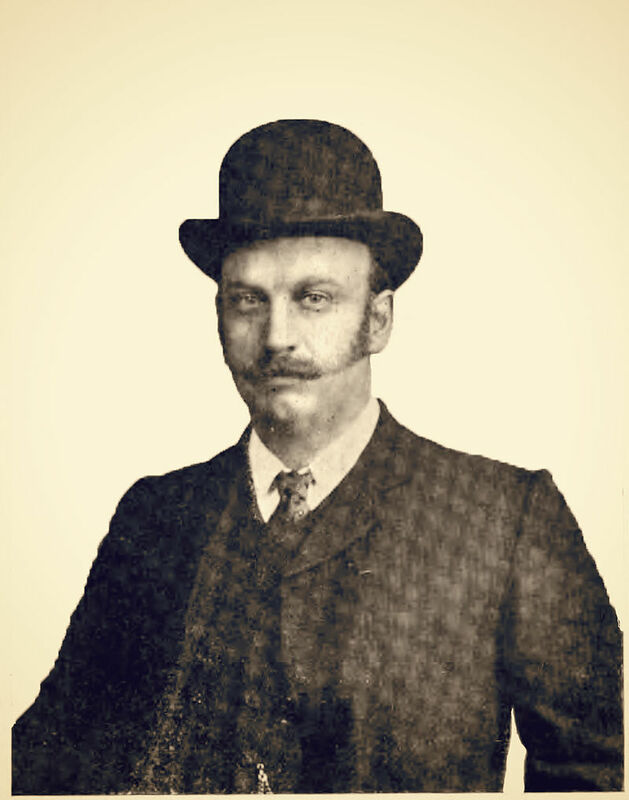 A further injection of capital was needed in 1906 and William Harvey Du Cros (1846–1918) joined the board of directors. 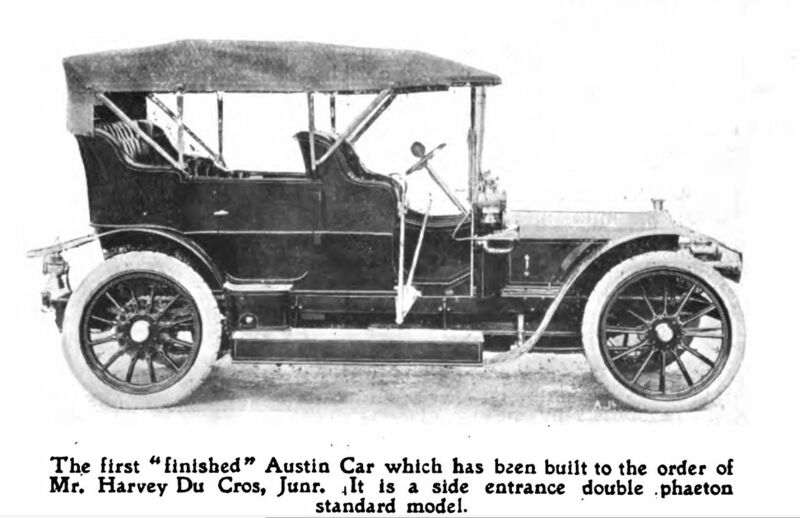 After that Harvey Du Cros junior of the Swift Cycle Co and Austin each held approximately half of the ordinary capital. 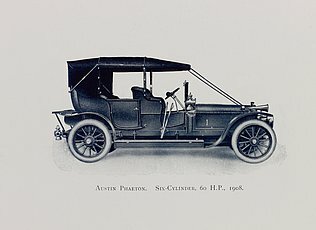 Herbert Austin remained chairman and managing director. 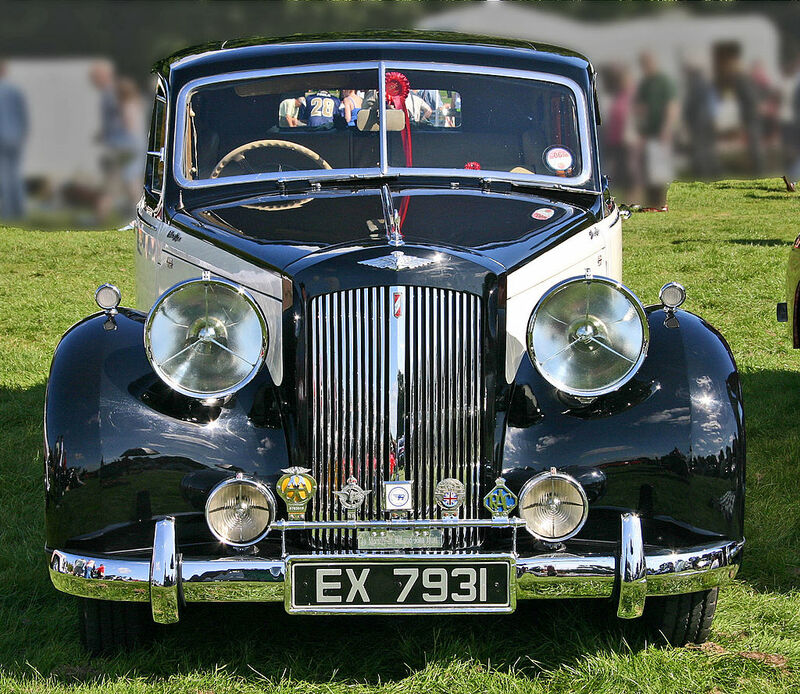 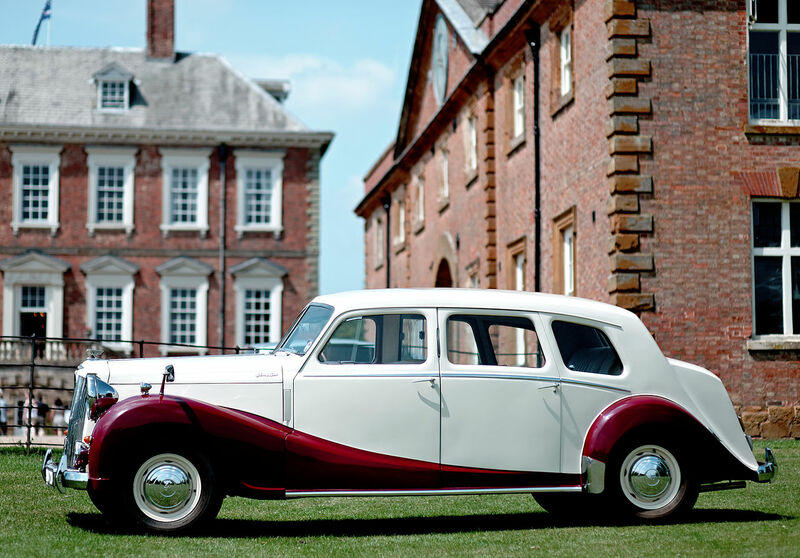 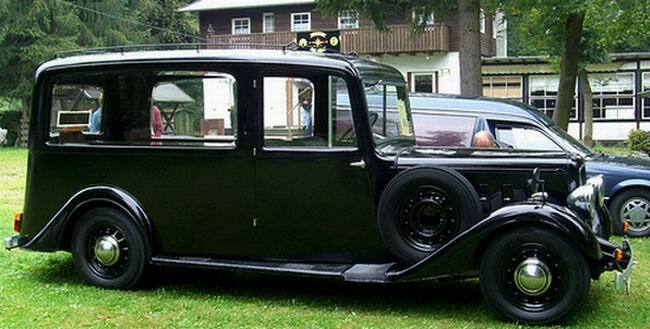 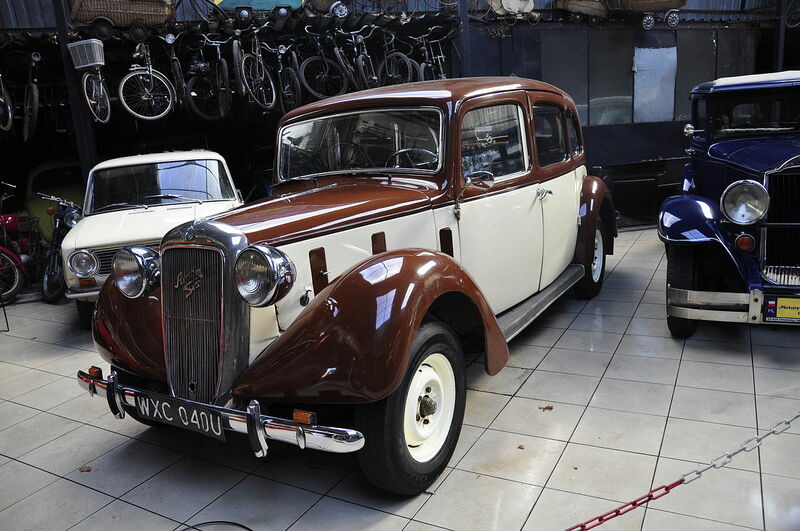 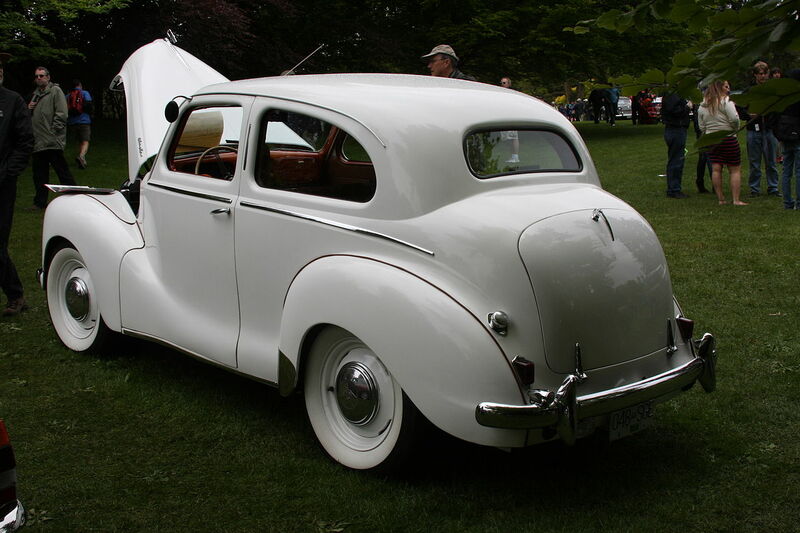 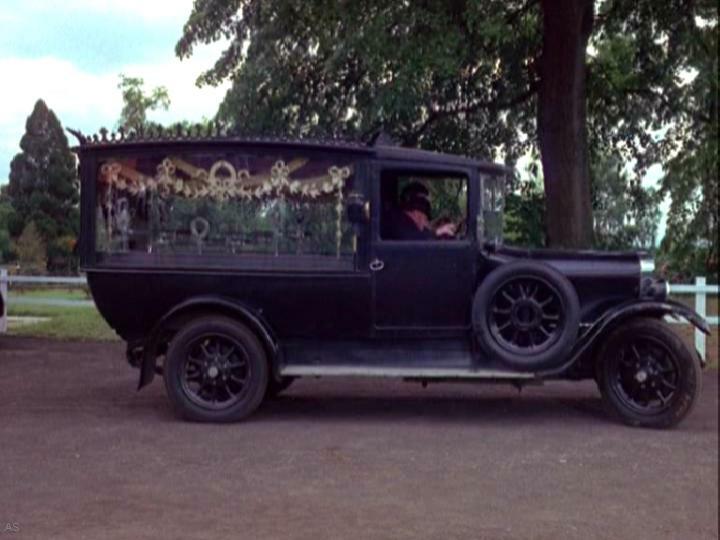 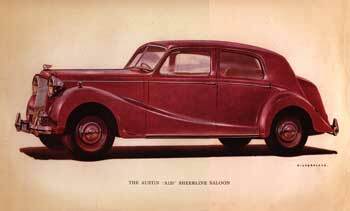 Austin’s cars, like Wolseley’s, were luxury vehicles. 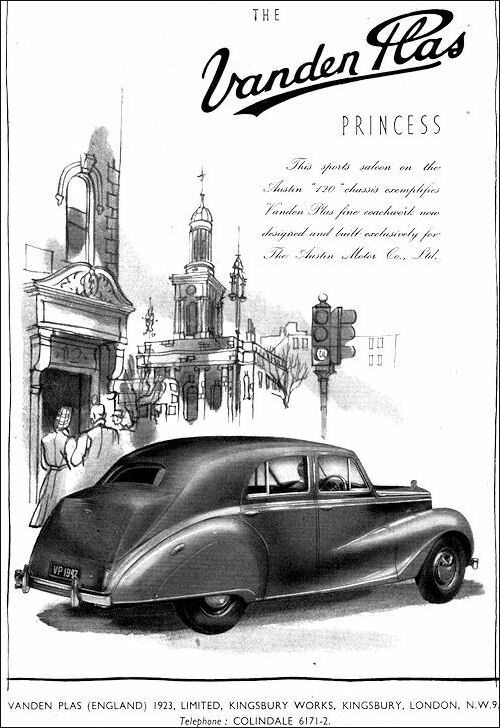 The published customer list included Russian Grand Dukes, Princesses, Bishops, high officials of the Spanish government and a long list of Britain’s highest nobility. 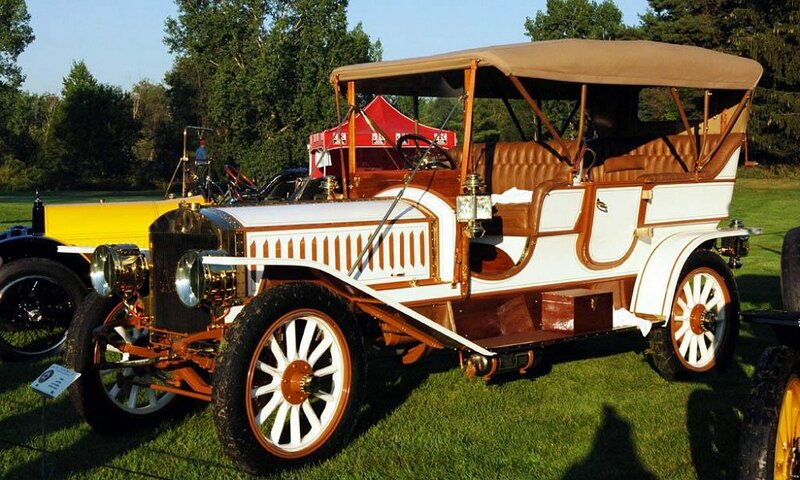 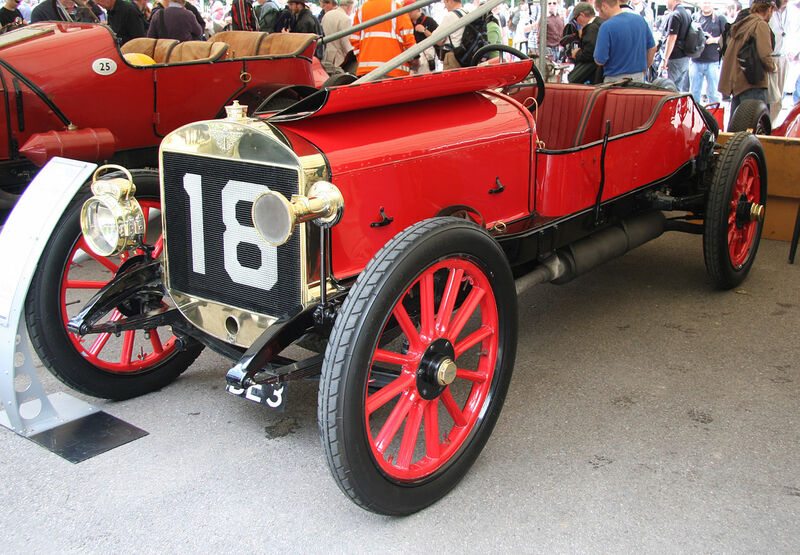 Sources Note: in 1912 Wolseley sold 3,000 cars. 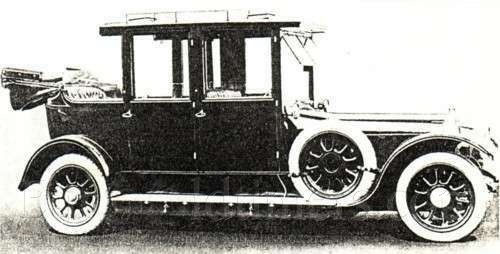 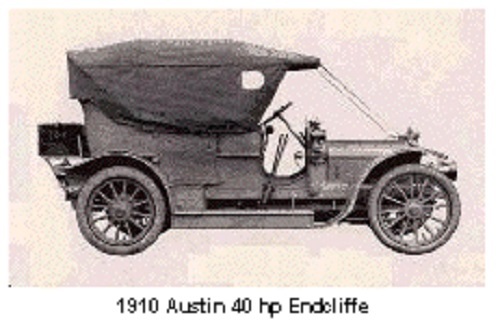 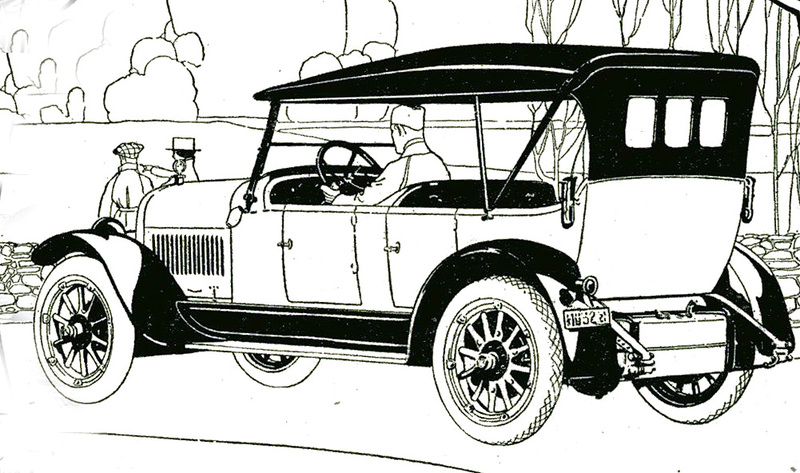 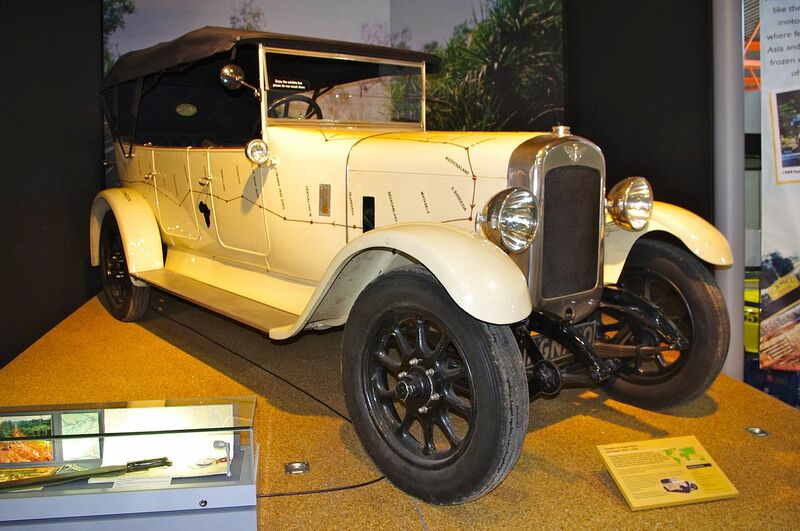 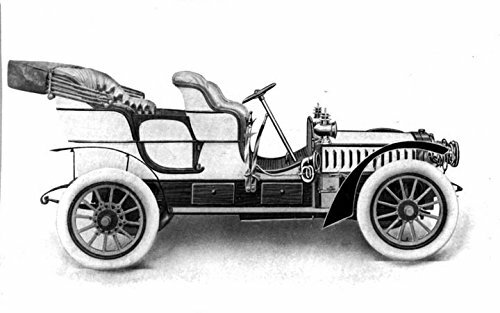 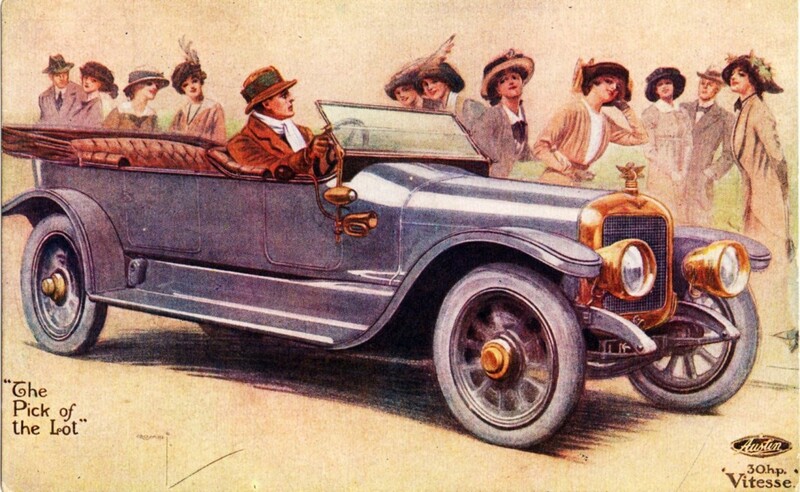 In February 1914 Austin-manufactured bodies in tourer, limousine, landaulette and coupé styles could be provided with engines of 15, 20, 30 and 60 hp. 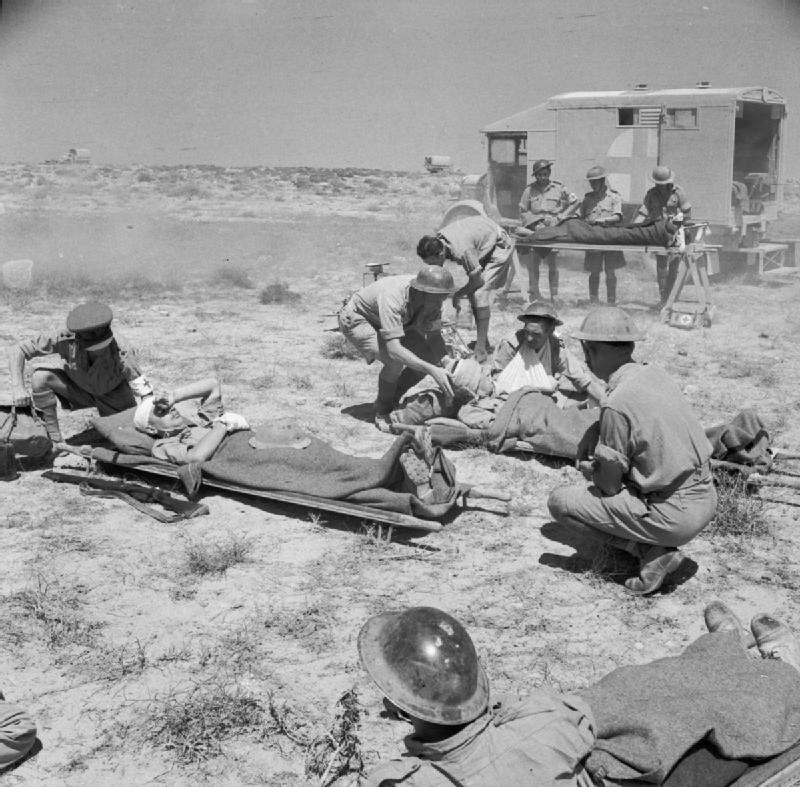 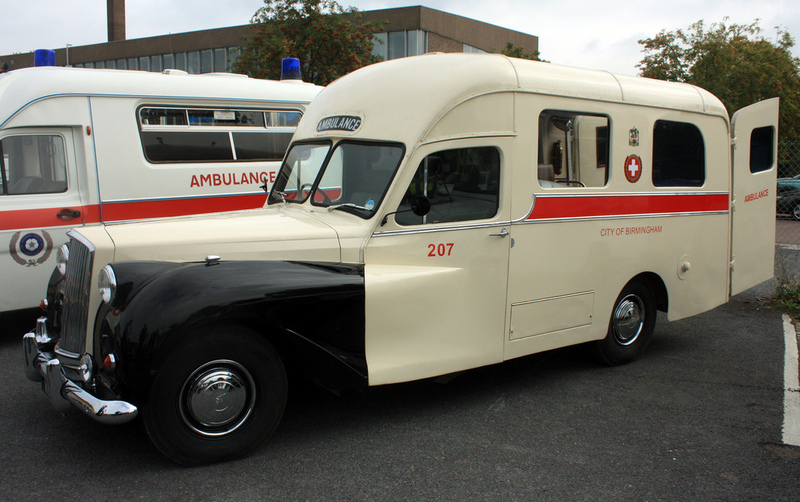 Ambulances and commercial vehicles were also provided. 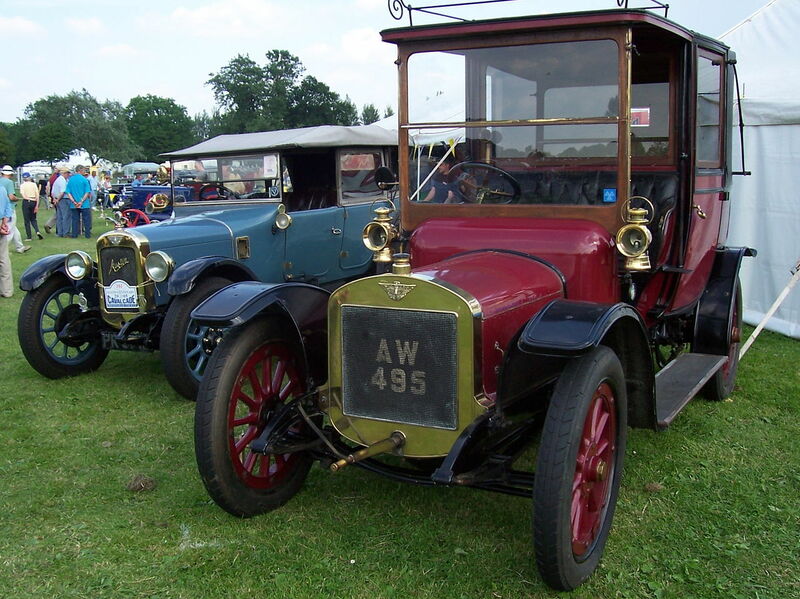 Austin became a public listed company in 1914 when the capital was increased to £650,000. 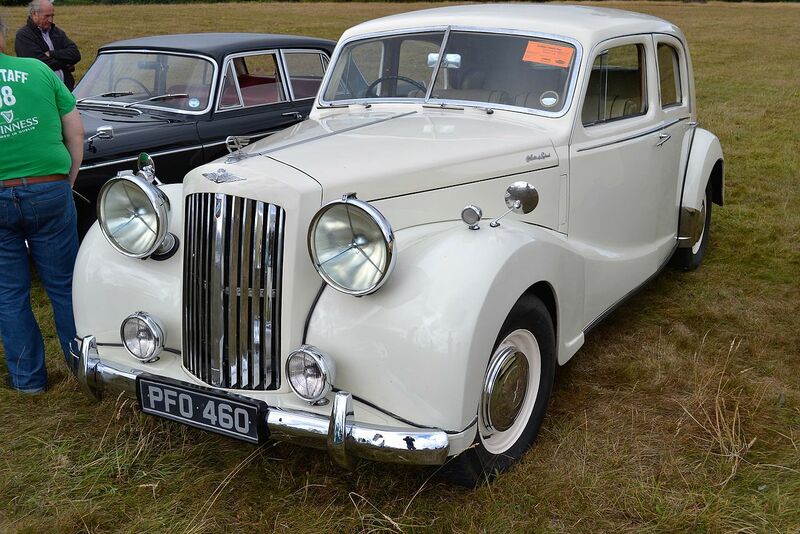 At that time in number of cars produced it probably ranked fifth after Wolseley (still largest), Humber, Sunbeam and Rover. 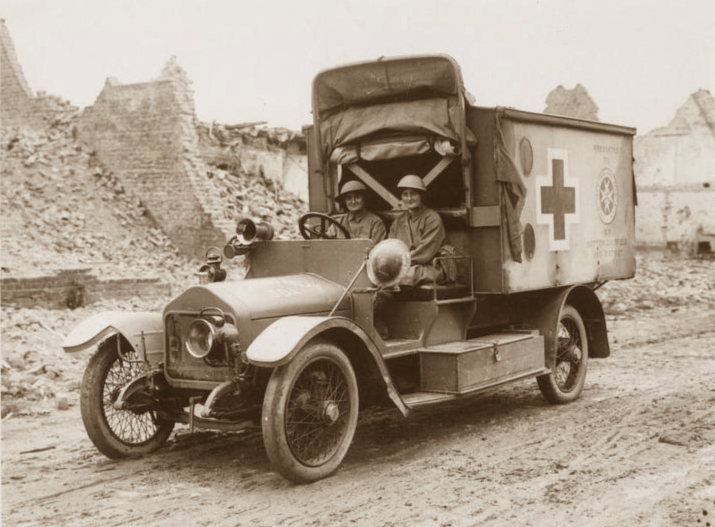 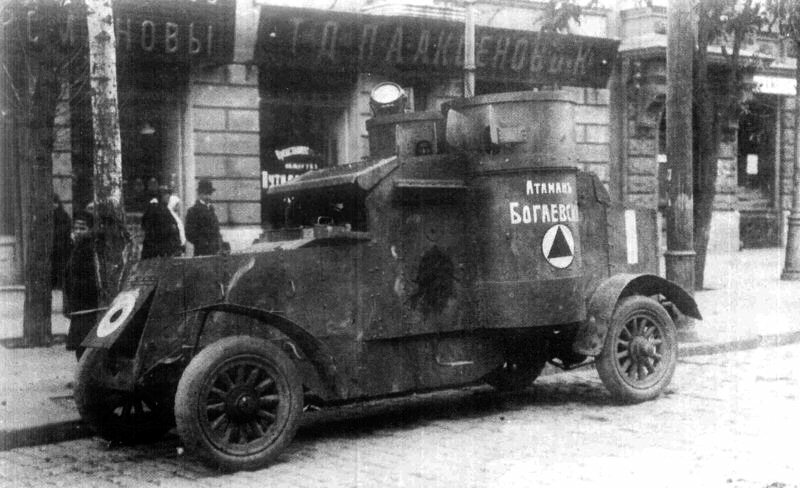 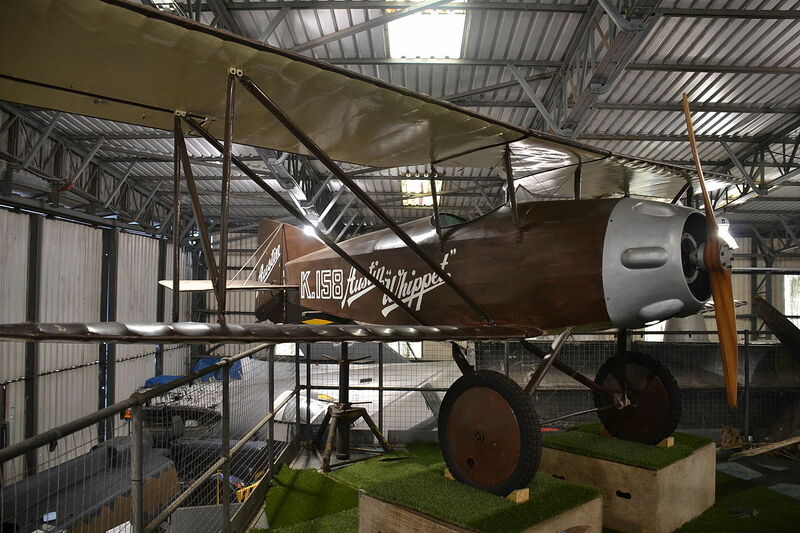 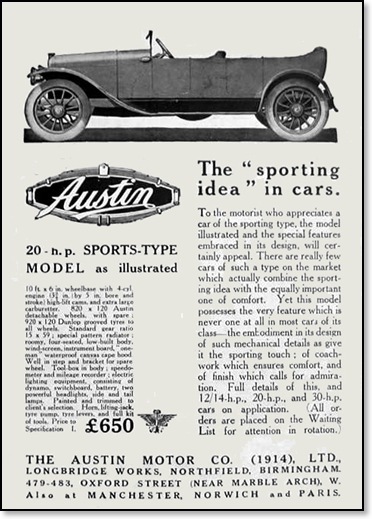 The Austin Motor Co. grew enormously during the First World War, fulfilling government contracts for aircraft, shells, heavy guns and generating sets and 1,600 three-ton trucks most of which were sent to Russia. 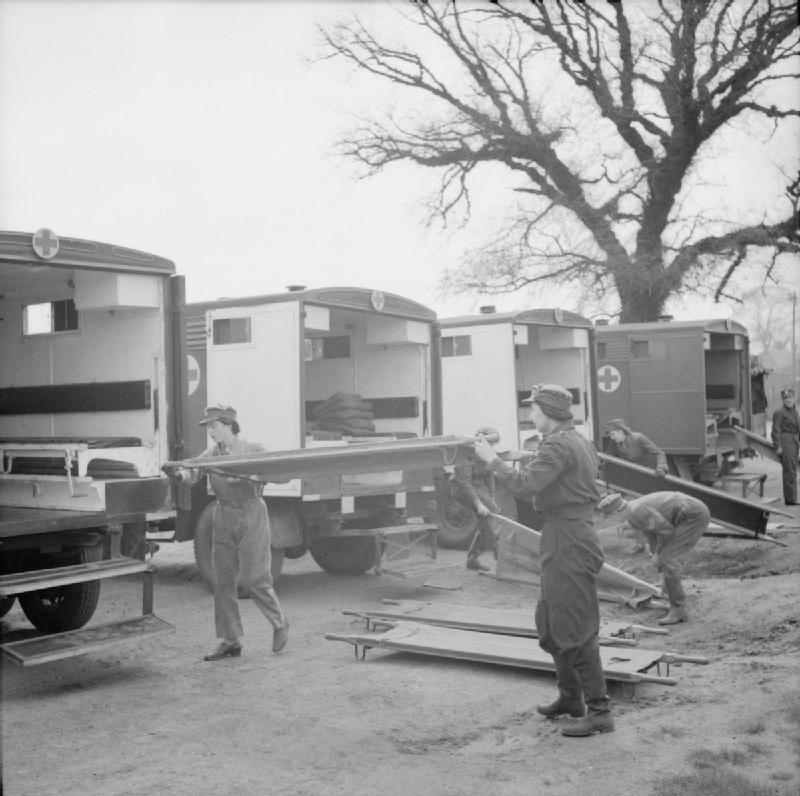 The workforce expanded from around 2,500 to 22,000. 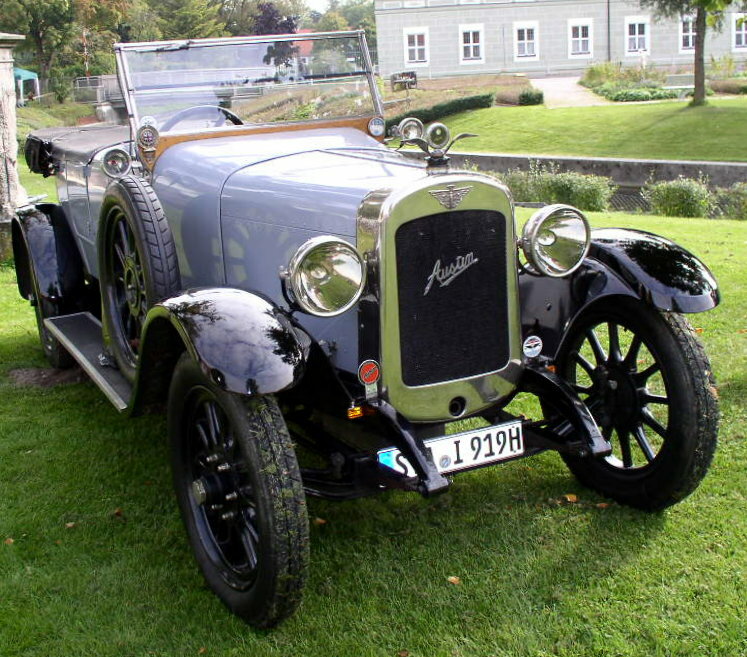 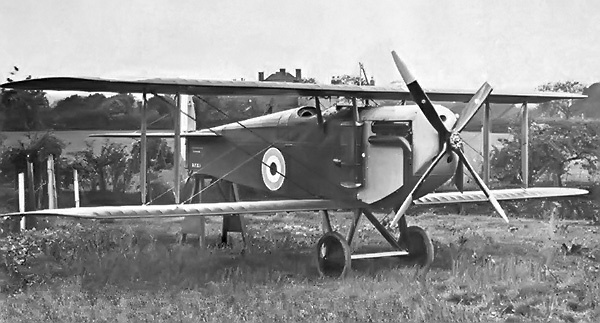 After the war Herbert Austin decided on a one-model policy based on the 3620 cc 20 hp engine. 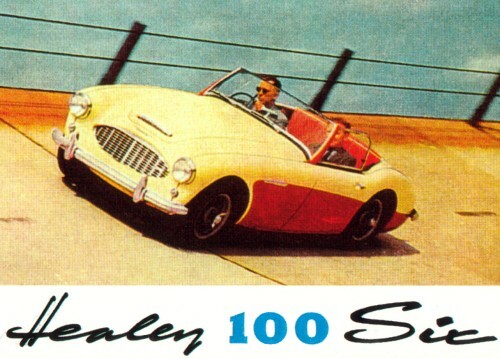 Versions included cars, commercials and even a tractor, but sales volumes were never enough to fill the vast factory built during wartime. 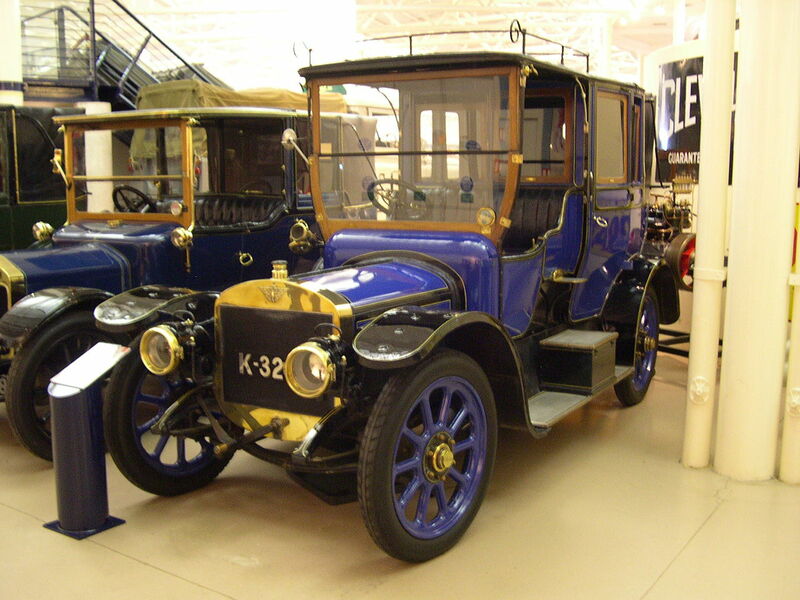 The company went into receivership in 1921 but rose again after financial restructuring. 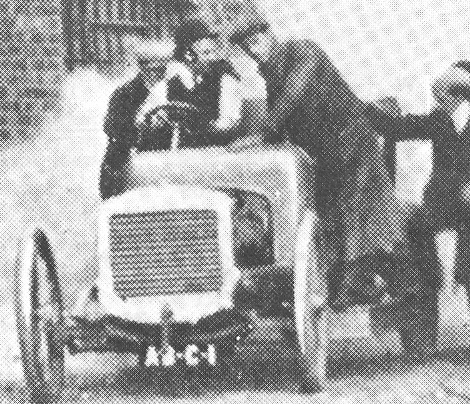 Though Herbert Austin remained chairman he was no longer managing director and from that time decisions were made by committee. 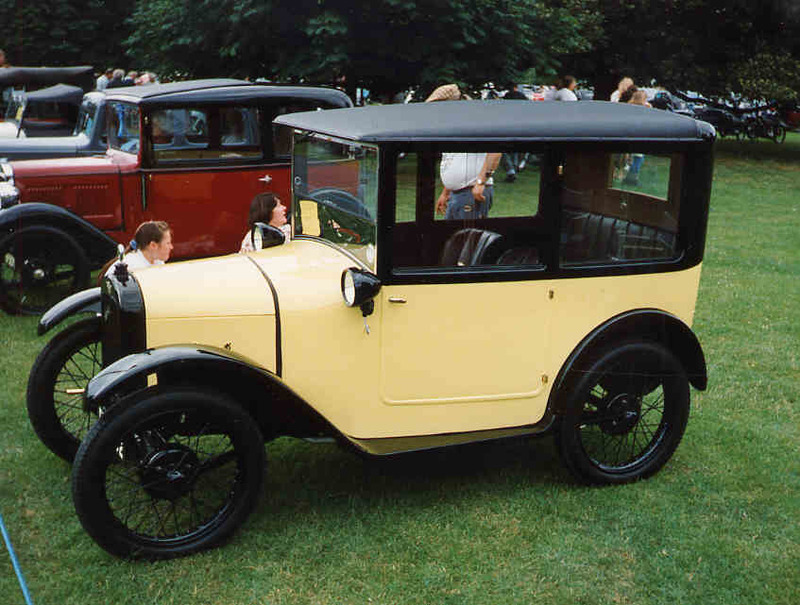 Critical to the recovery was the appointment in 1922 of a new finance director, Ernest Payton with the backing of the Midland Bank, and a new works director in charge of car production, Carl Engelbach, at the insistence of the creditors’ committee. 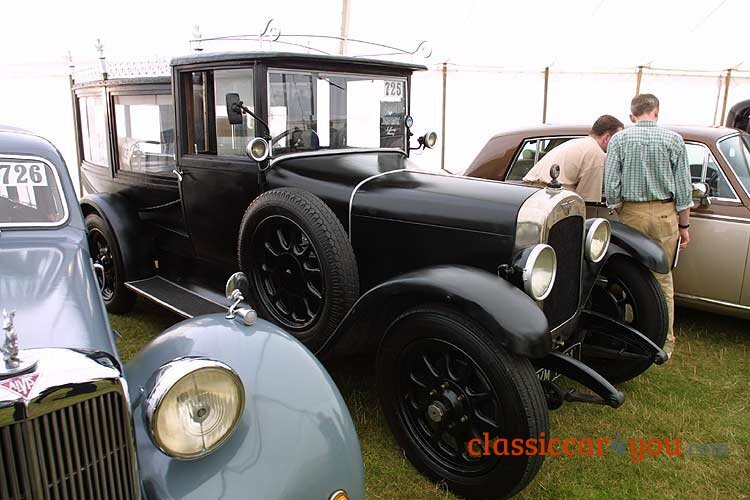 This triumvirate of Austin, Payton and Engelbach steered the company’s fortunes through the inter-war years. 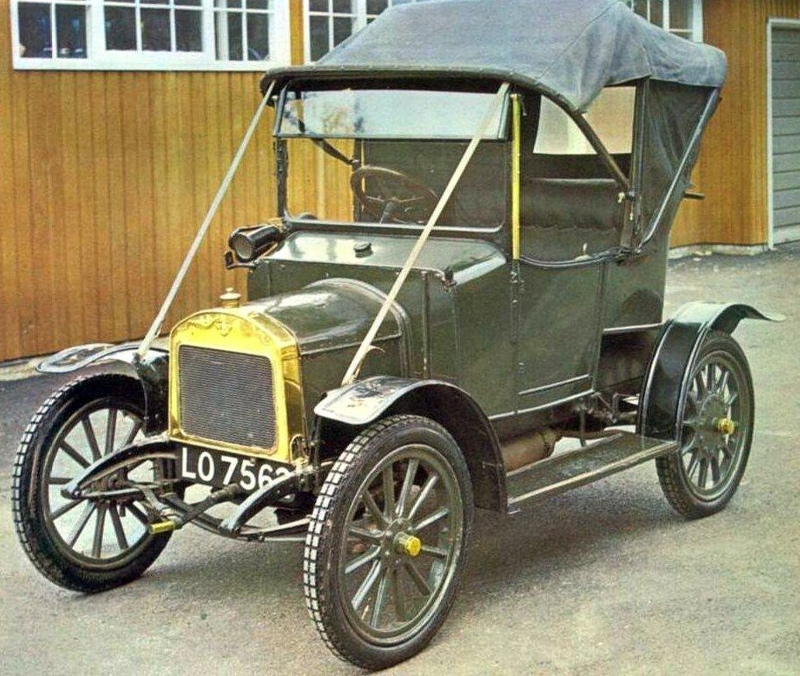 In a quest to expand market share, smaller cars were introduced, the 1661 cc Twelve in 1922 and, later the same year, the Seven, an inexpensive, simple small car and one of the earliest to be directed at a mass market. 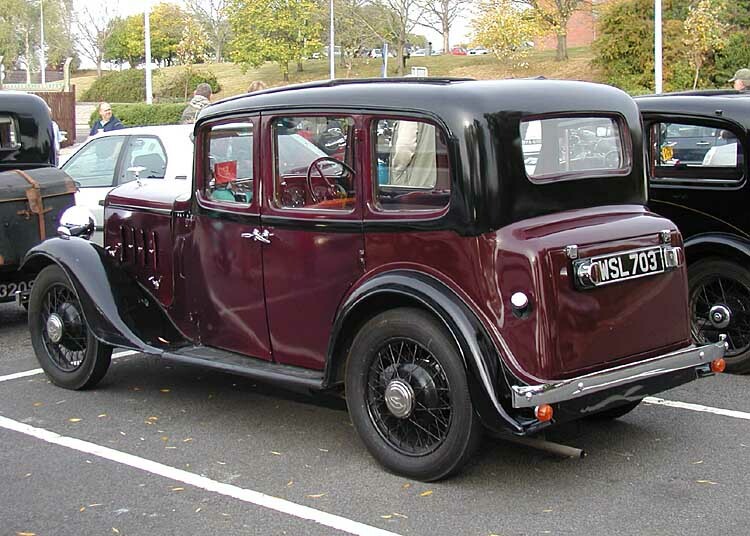 One of the reasons for a market demand for a cars like the Austin 7 was the British tax code. 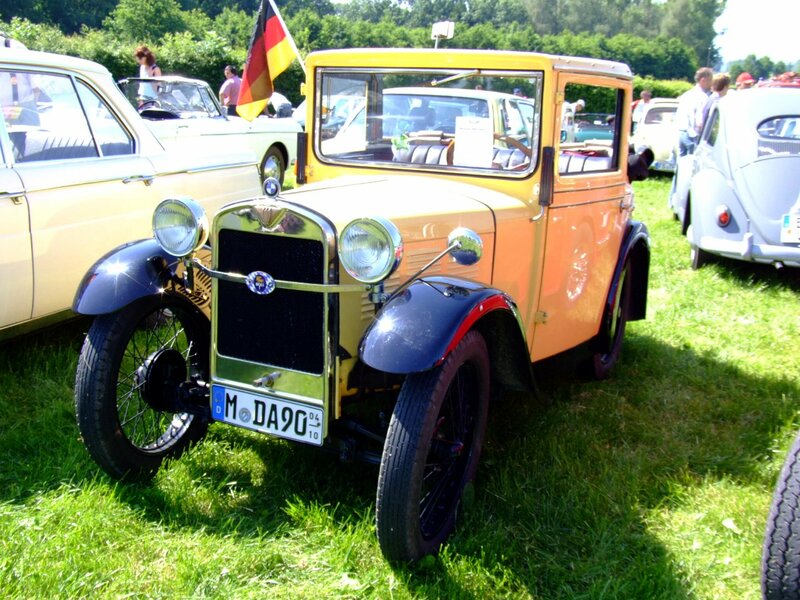 In 1930 every personal car was taxed by the engine size, which in American dollars was $2.55 per square inch of piston displacement. 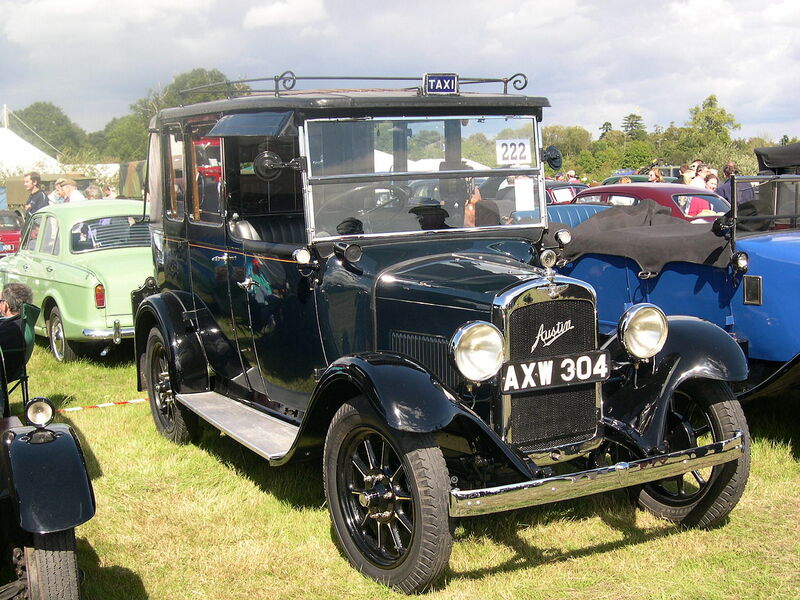 As an example the owner of an Austin 7 in England, which sold for approximately $455.00, would have to pay a yearly engine tax of $39.00. 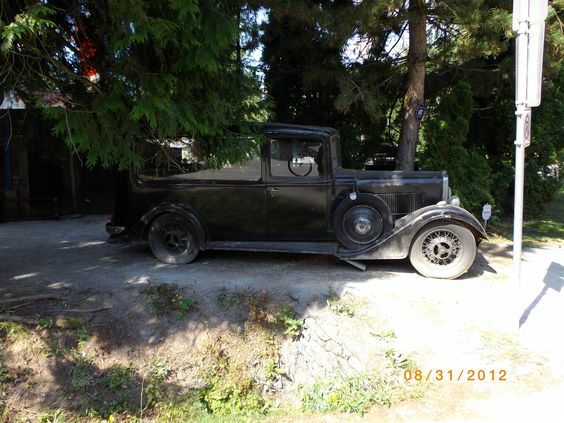 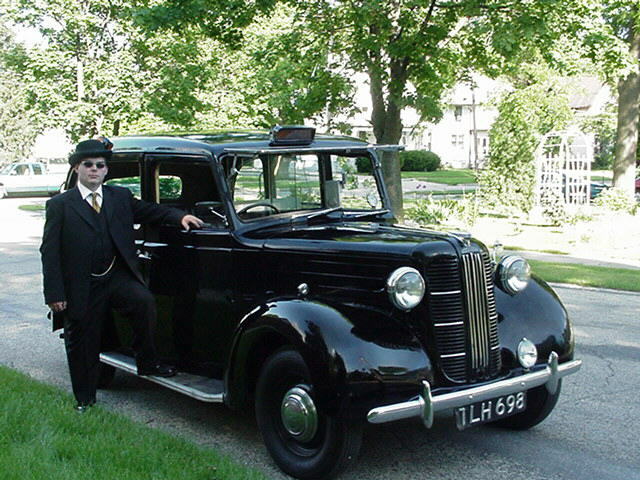 In comparison, the owner in England of a Ford Model-A would have to pay $120.00 per year in an engine tax. 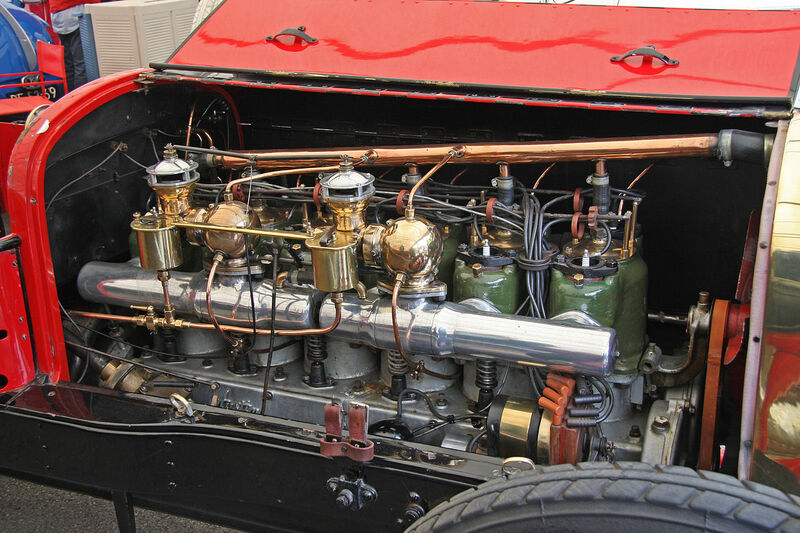 And this system of engine displacement tax was common in other European nations as well in the 1930s. 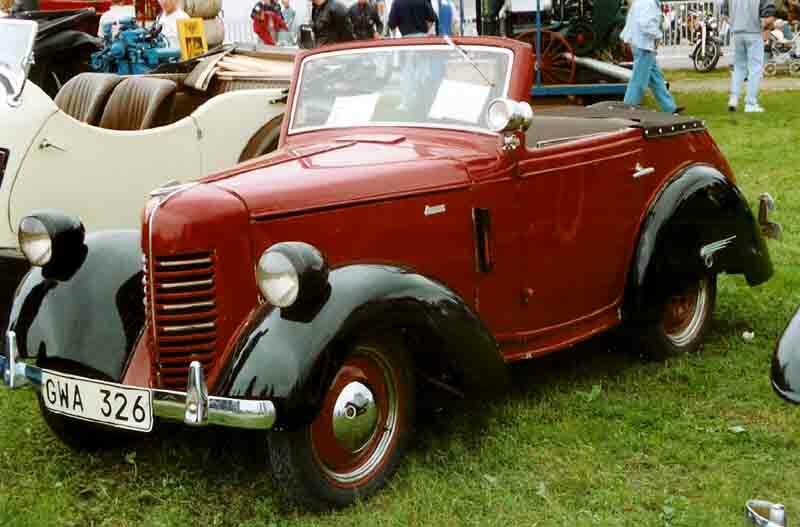 At one point, the “Baby Austin” was built under licence by the fledgling 1930 BMW Dixi 15 PS BMW of Germany (as the Dixi); by the Japanese manufacturer 1937 Datsun 16 Sedan Datsun; as the 1939 Bantam Convertible Bantam in the United States; and as the 1928 Rosengart LR4.jpg Rosengart in France. 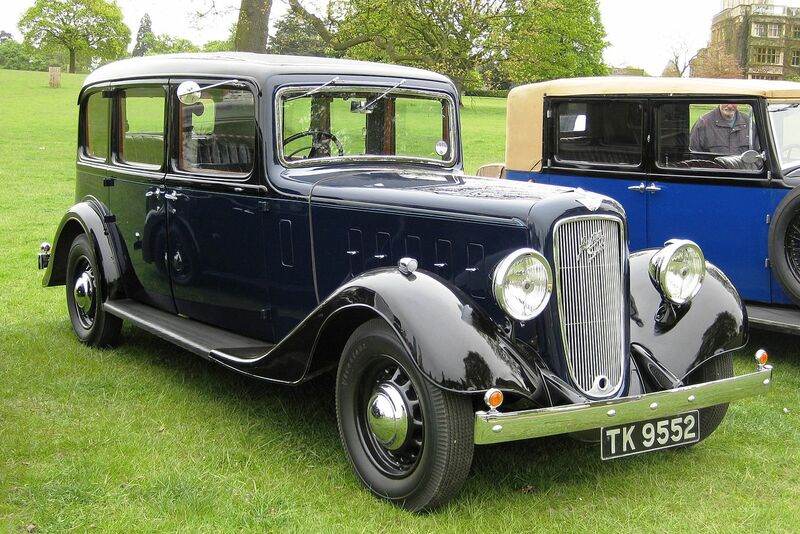 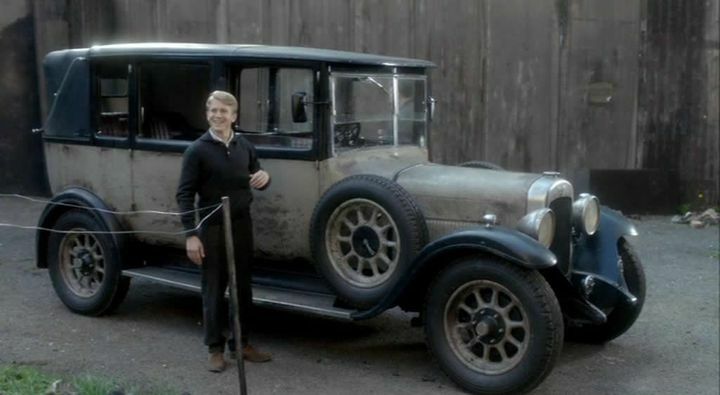 And in England the Austin was the most produced car in 1930 (the American Austin Car Company operated as a largely independent subsidiary from 1929 to 1934, and was revived under the name “American Bantam” from 1937 to 1941). 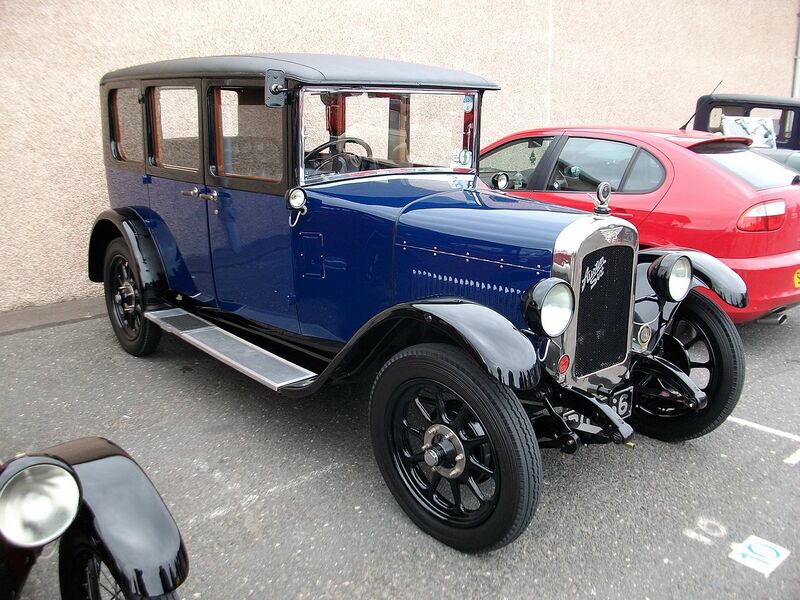 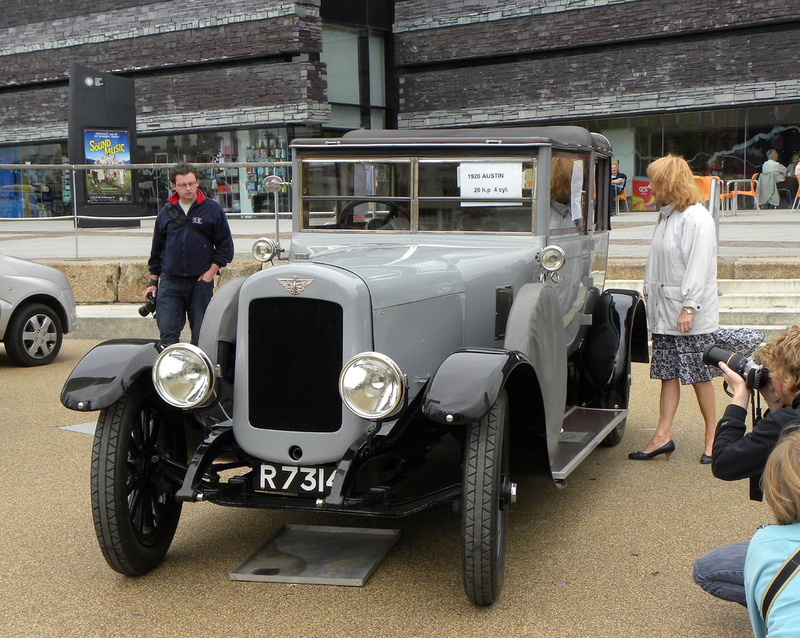 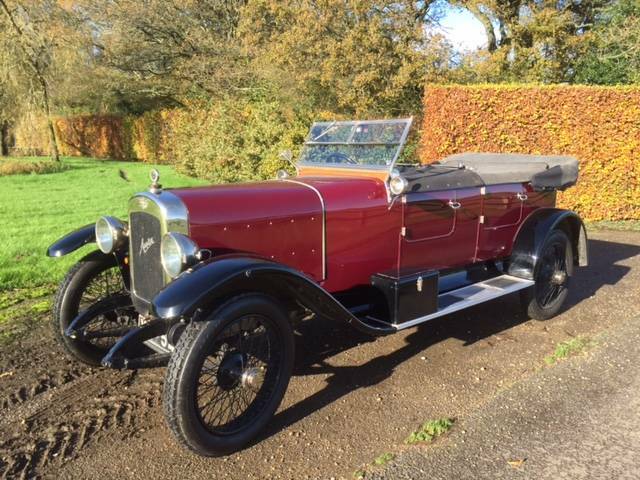 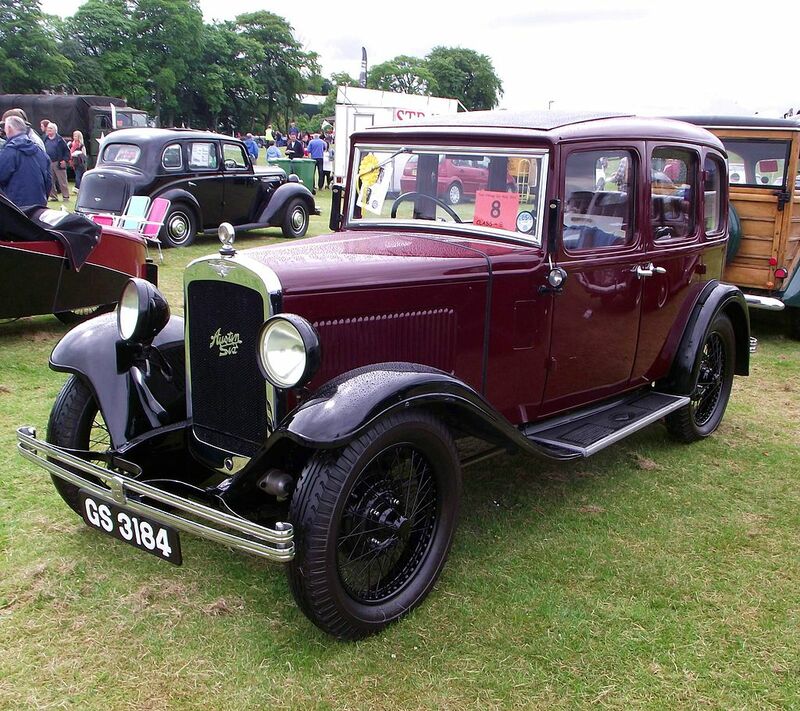 With the help of the Seven, Austin weathered the worst of the depression and remained profitable through the 1930s, producing a wider range of cars which was steadily updated by the introduction of all-steel bodies, Girling brakes, and synchromesh gearboxes. 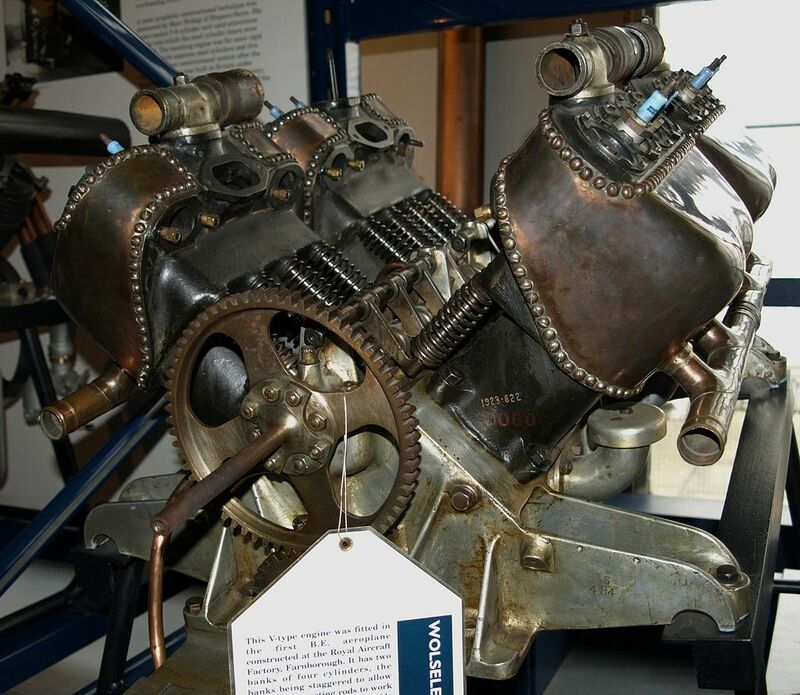 However, all the engines retained the same side-valve conformation. 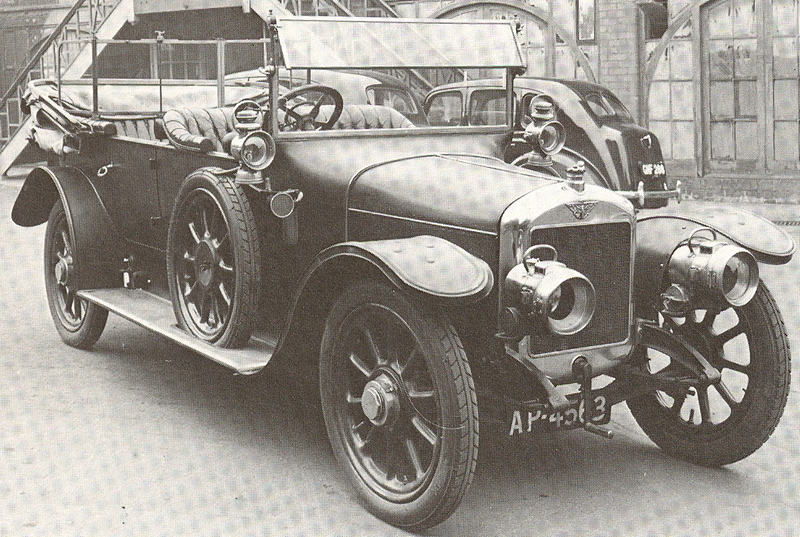 Deputy chairman Ernest Payton became chairman in 1941 on the death of Lord Austin. 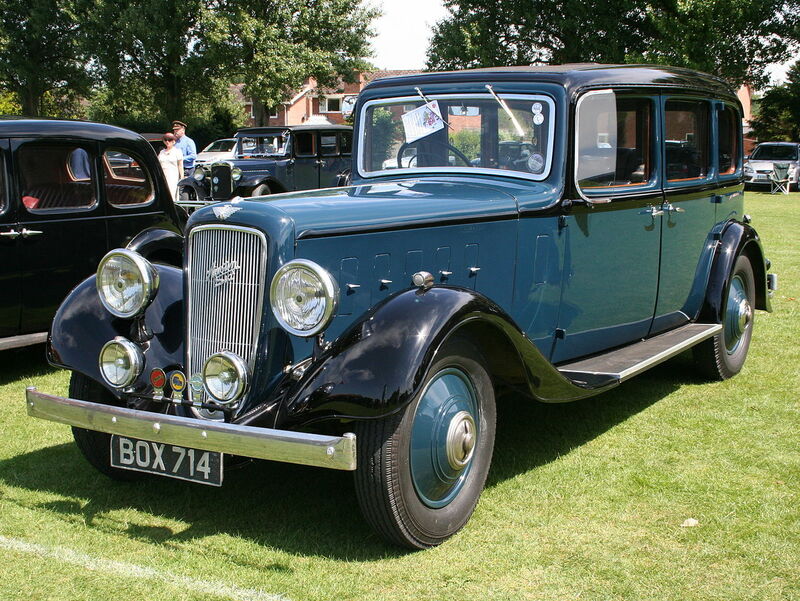 In 1938 Leonard Lord joined the company board and became chairman in 1946 on the death of Ernest Payton. 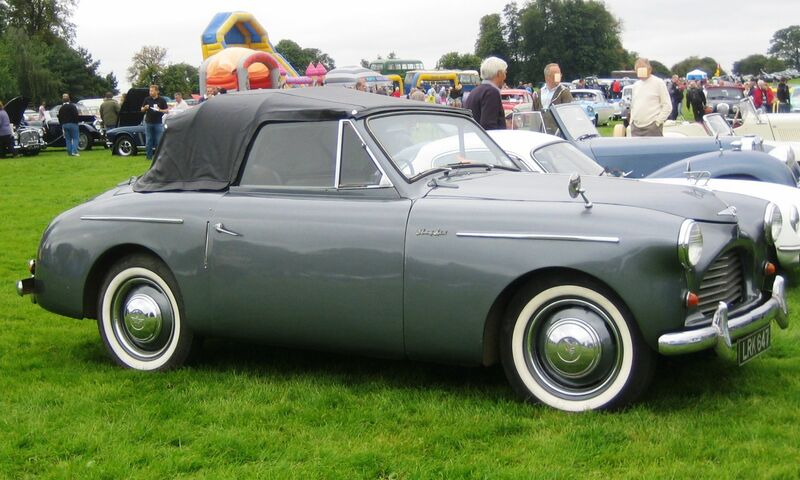 In the early 1930s Datsun later known as Nissan Motor Company of Japan built cars infringing Austin patents. 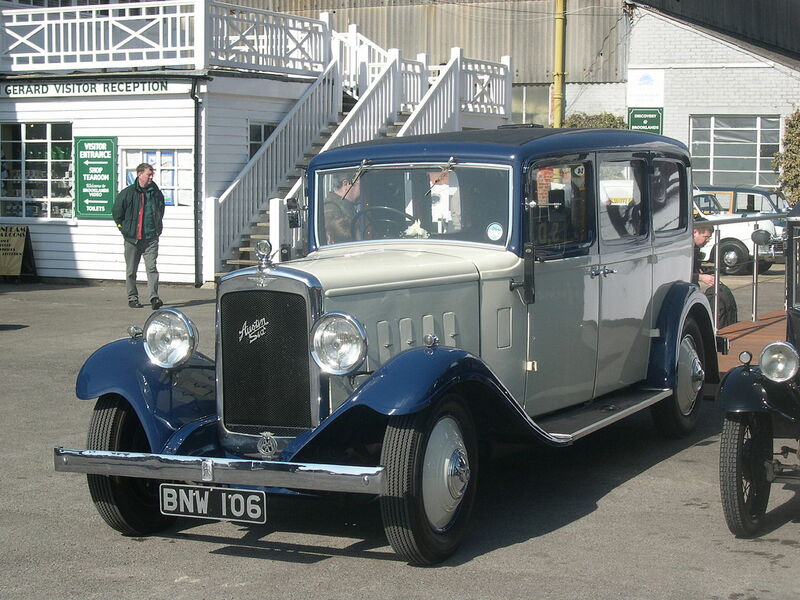 From 1934 Datsun began to build Austin Sevens under licence and this operation became the greatest success of Austin’s overseas licensing of its Seven. 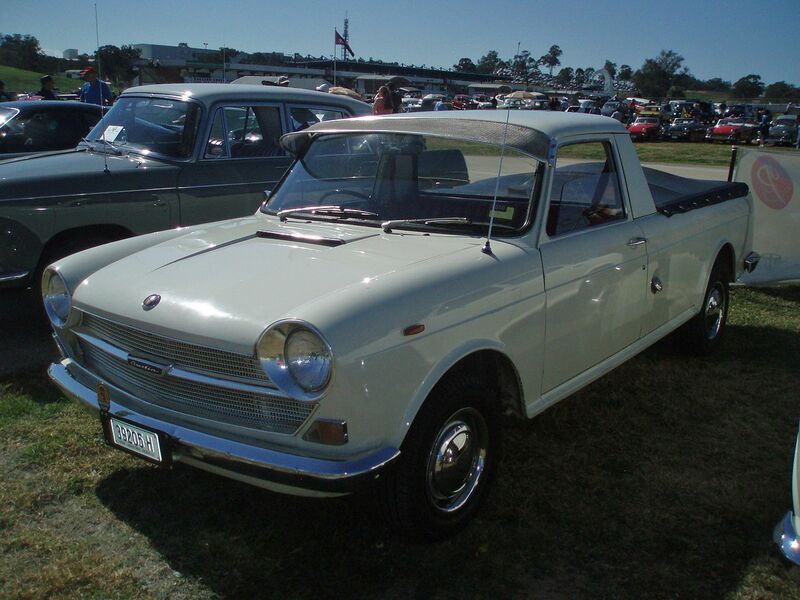 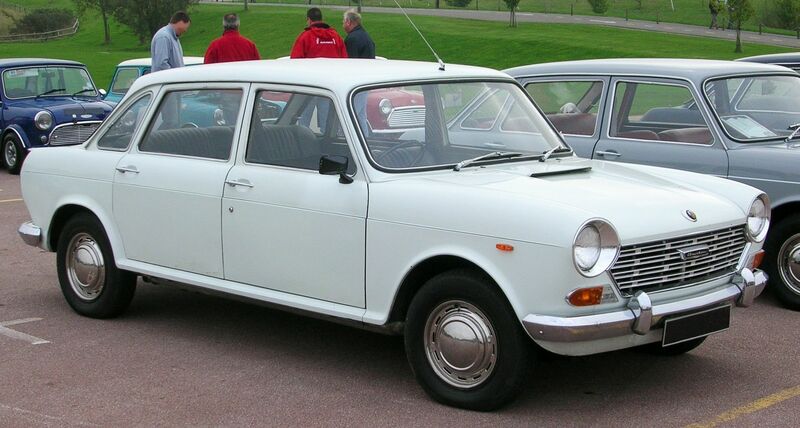 This marked the beginning of Datsun’s international success. 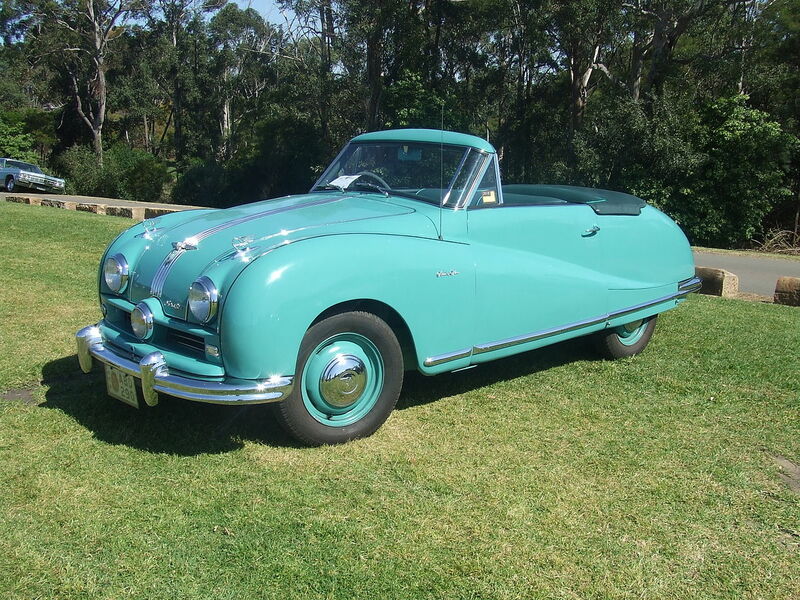 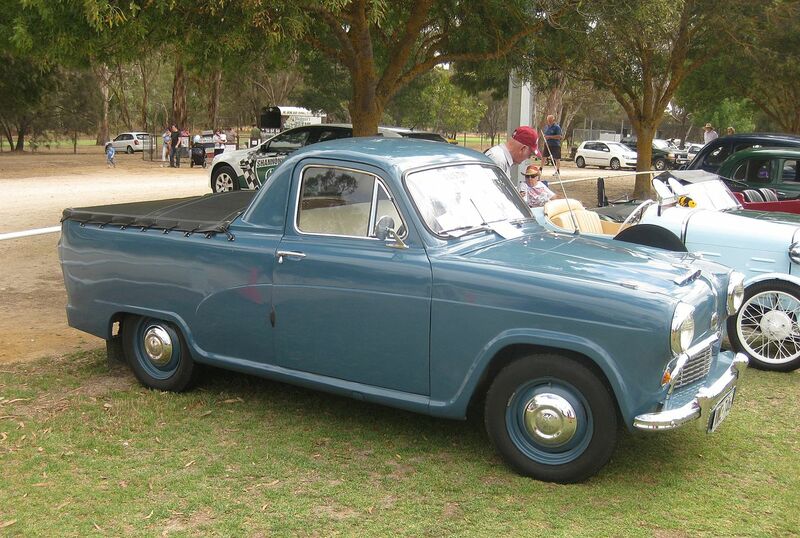 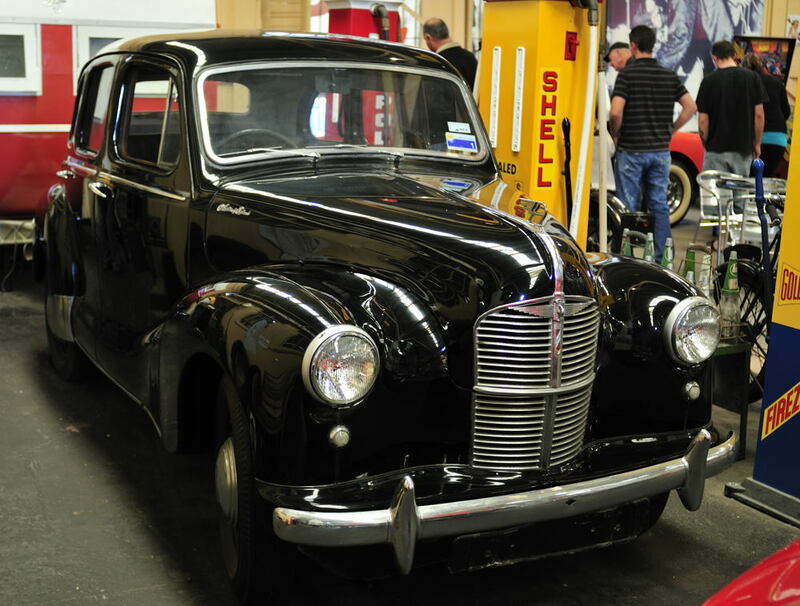 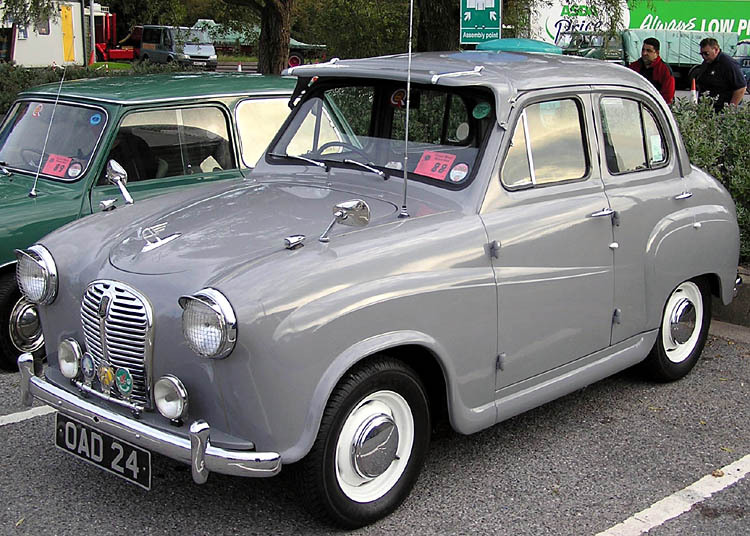 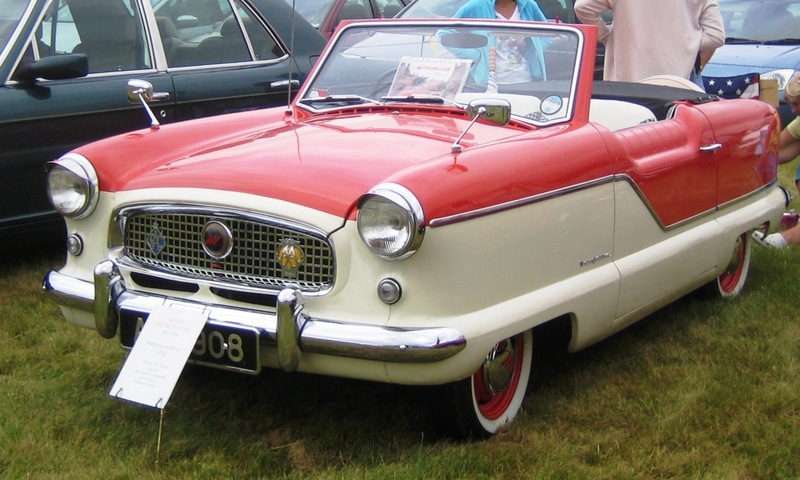 In 1952 Austin entered into another agreement with Nissan for that company to assemble 2000 imported Austins from partially assembled sets and to sell them in Japan under the Austin trademark. 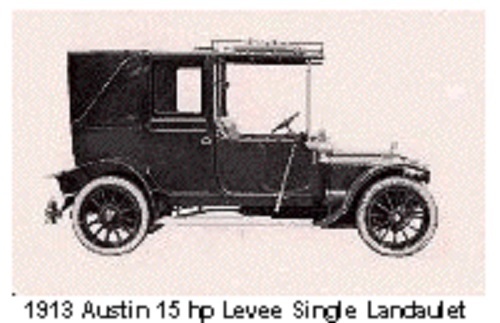 The agreement called for Nissan to make all Austin parts locally within three years, a goal Nissan met. 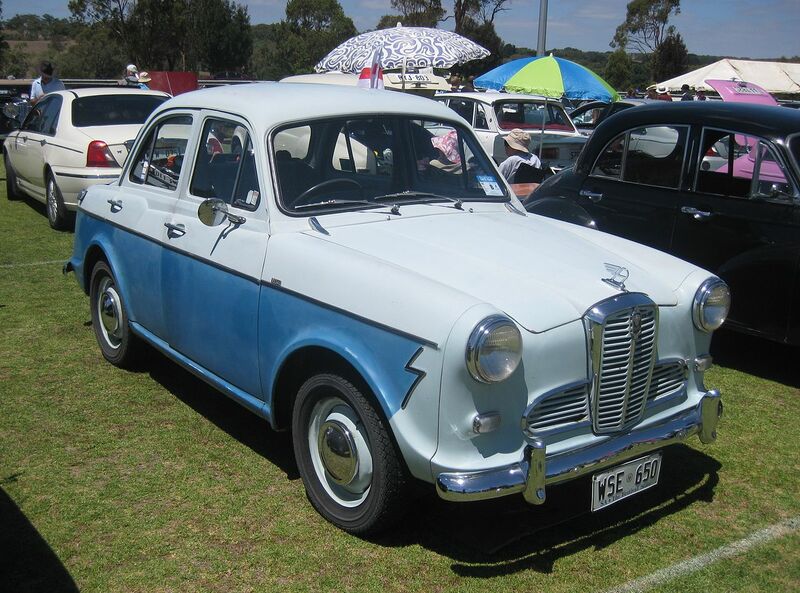 Nissan produced and marketed Austins for seven years. 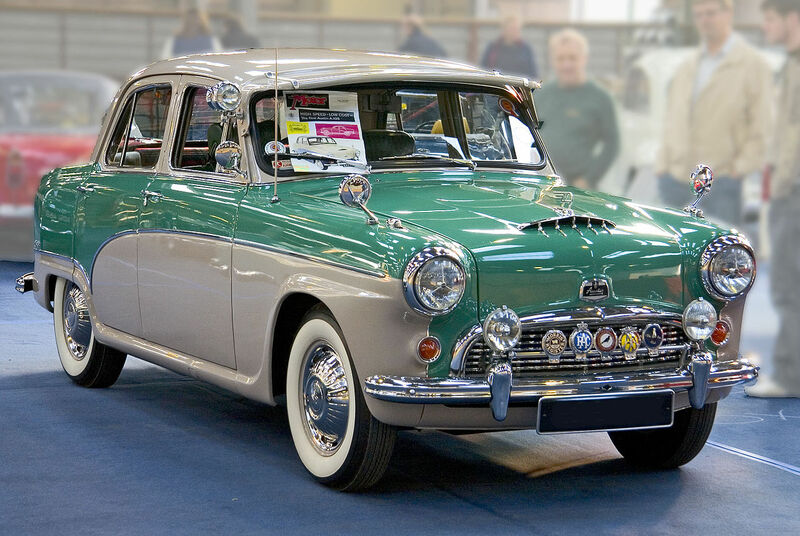 The agreement also gave Nissan rights to use Austin patents, which Nissan used in developing its own engines for its Datsun line of cars. 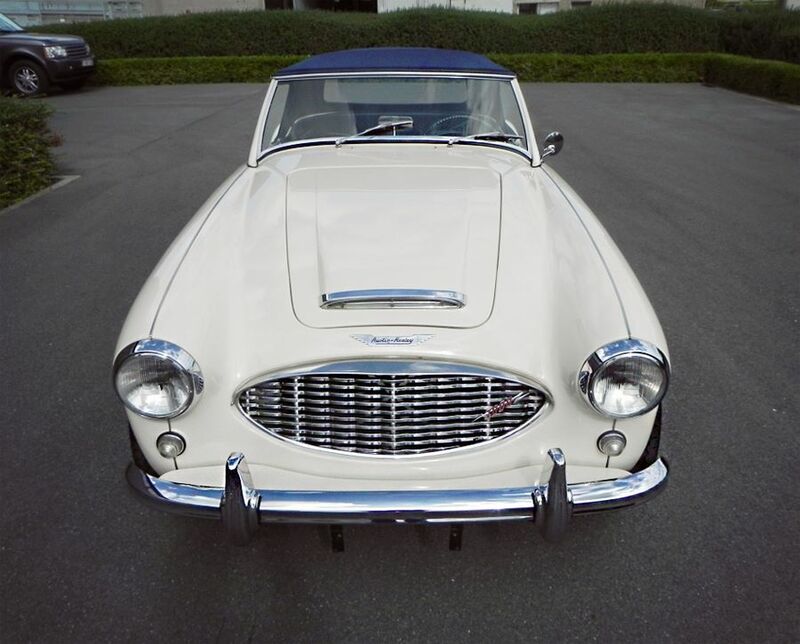 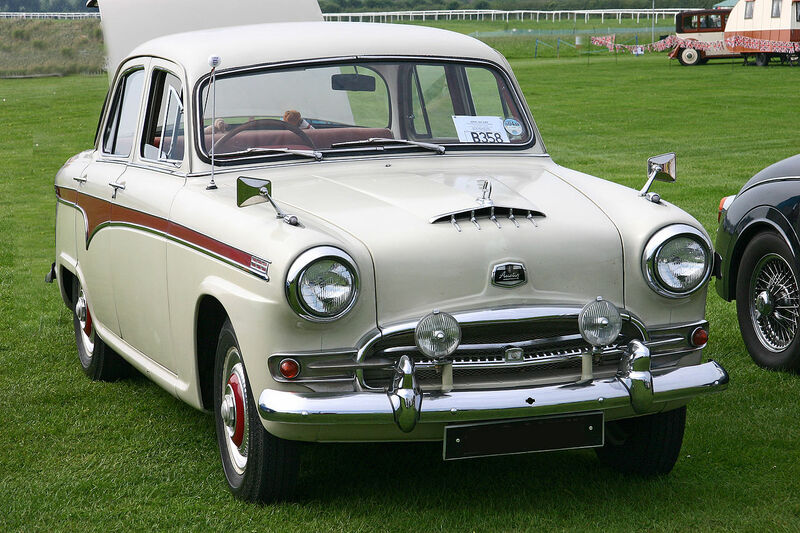 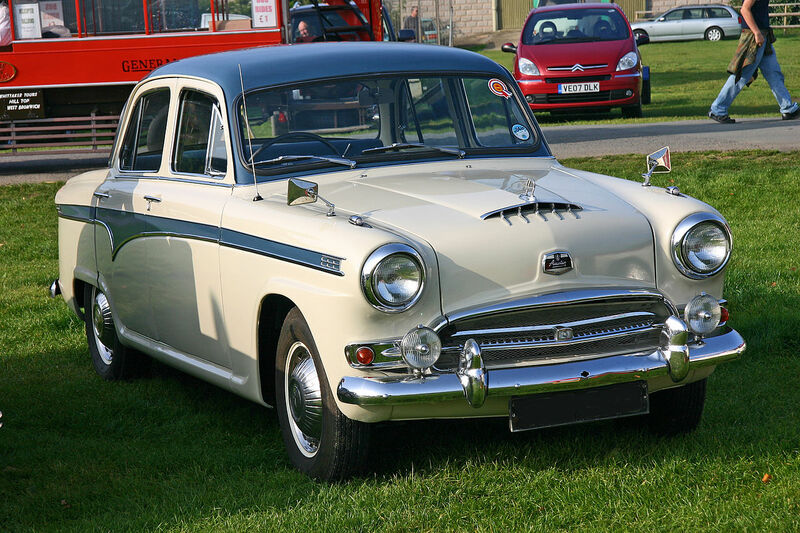 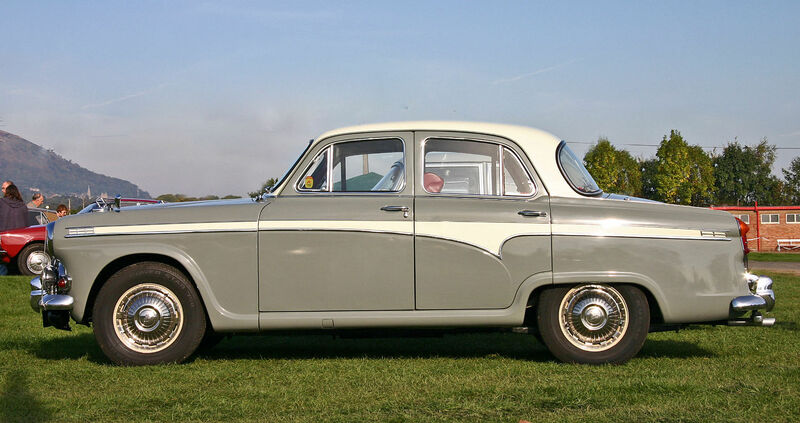 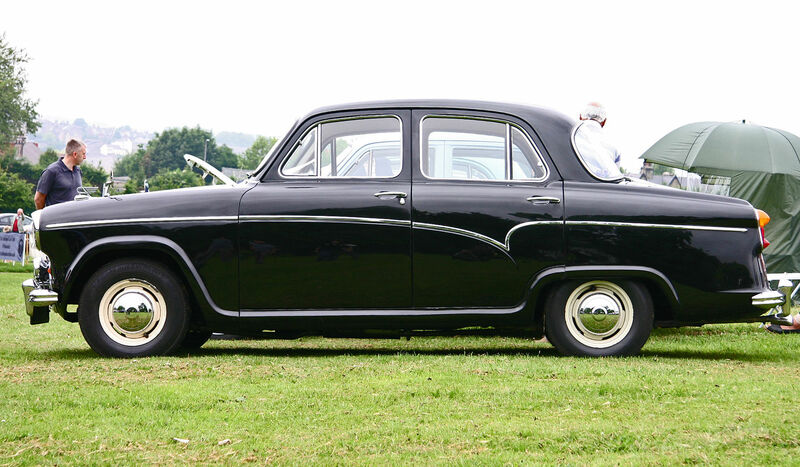 In 1953 British-built Austins were assembled and sold, but by 1955, the Austin A50 – completely built by Nissan and featuring a slightly larger body with 1489 cc engine – was on the market in Japan. 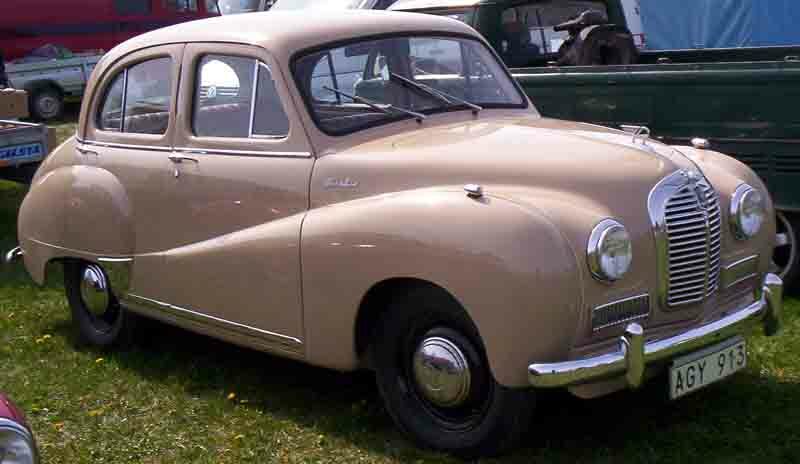 Nissan produced 20,855 Austins between 1953 and 1959. 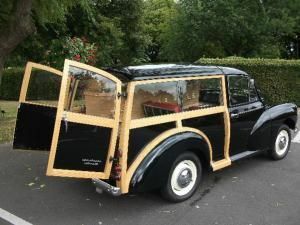 During the Second World War Austin continued building cars but also made trucks and aircraft, including the Lancaster bombers of 617 squadron, better known as the Dambusters. 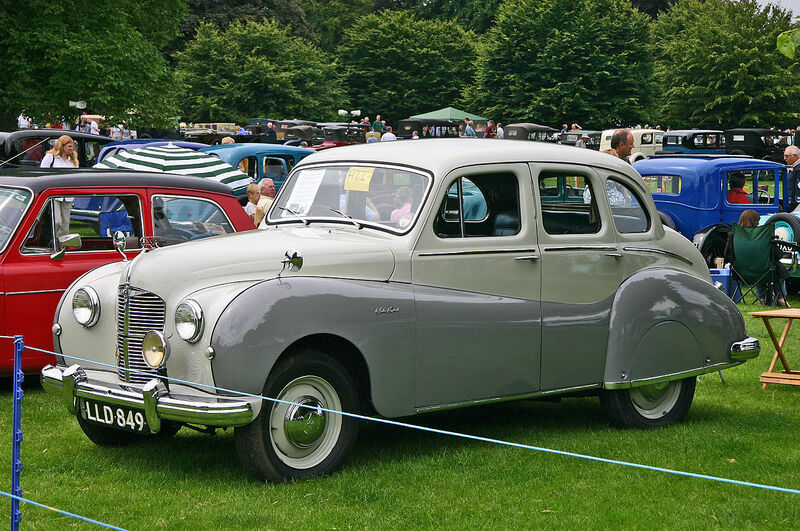 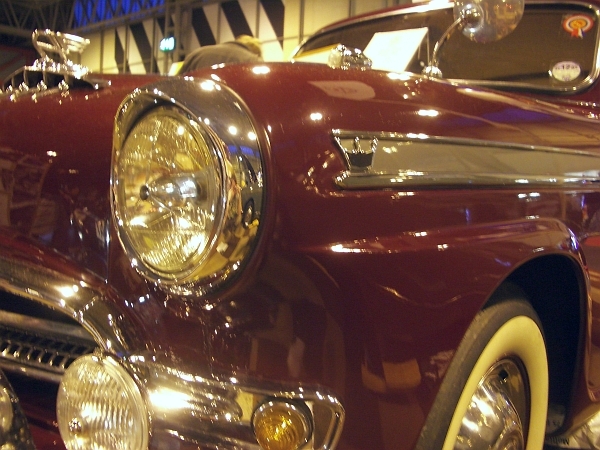 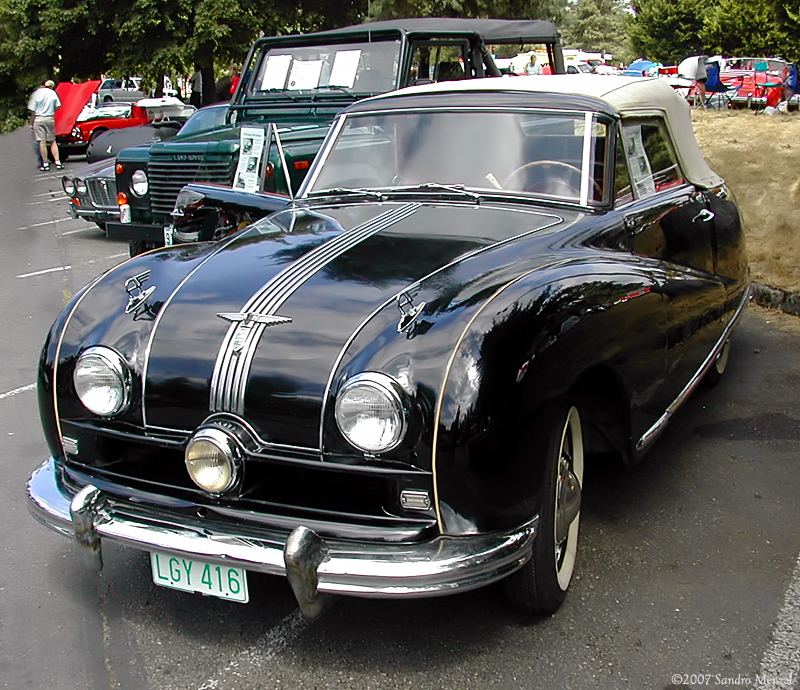 The post-war car range was announced in 1944, and production started in 1945. 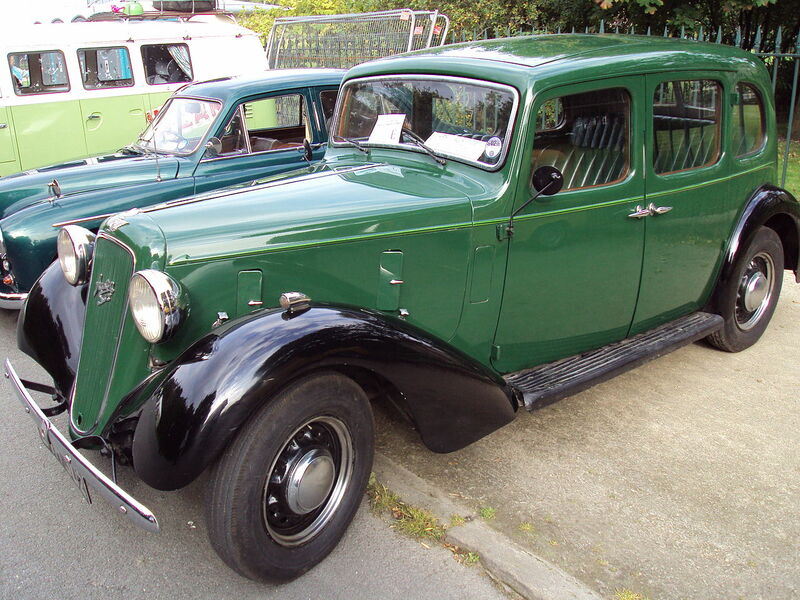 The immediate post-war range was mainly similar to that of the late 1930s but did include the 16 hp, significant for having the company’s first overhead valve engine. 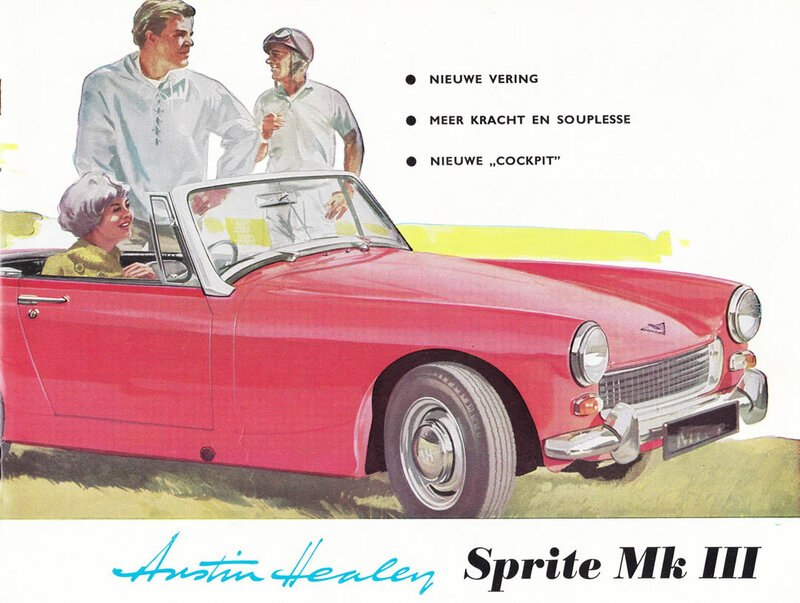 From late 1950 to mid-1952 products, brochures and advertisements displayed in flowing script Austin of England as if in response to Morris’s Nuffield Organisation. 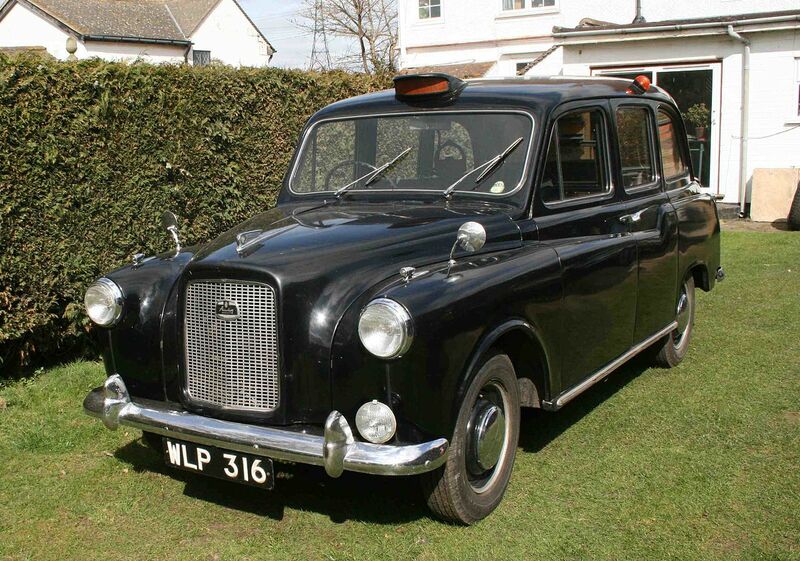 It fell out of use with the financial merger with Morris in BMC. 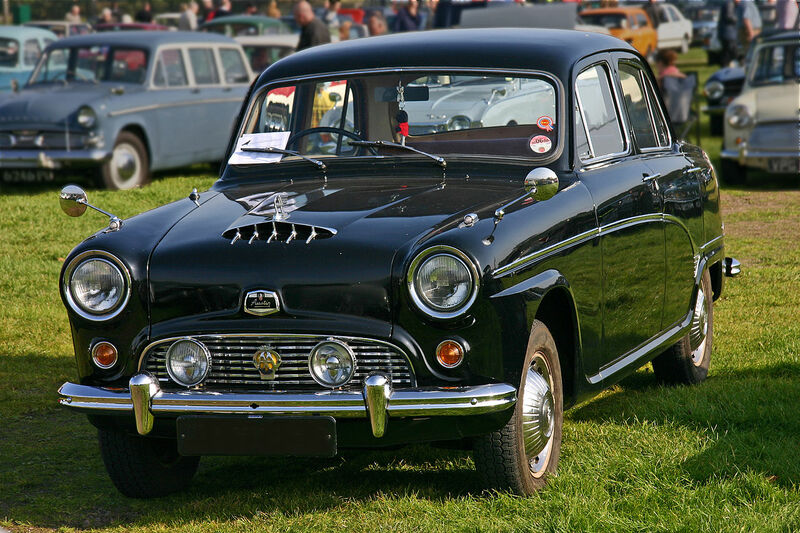 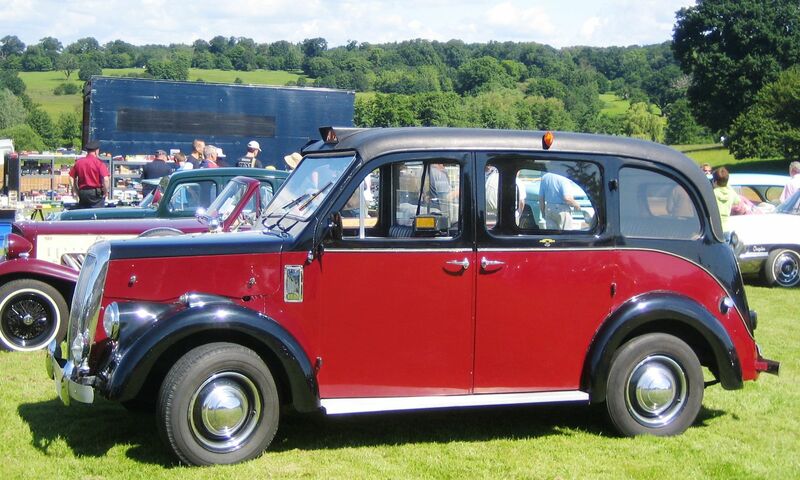 In 1952 The Austin Motor Company Limited merged ownership, but not identity, with long-term rival and equal Morris Motors Limited in The British Motor Corporation Limited with Leonard Lord, who had been managing director of Morris from 1932 to 1936, in charge. 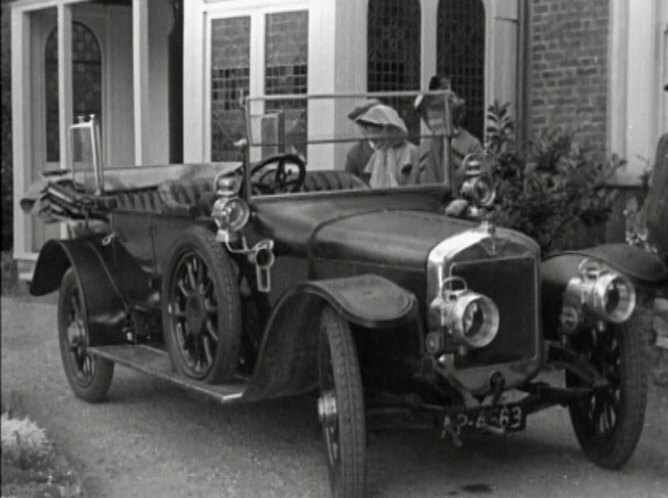 William Morris (Lord Nuffield) was first chairman but soon retired. 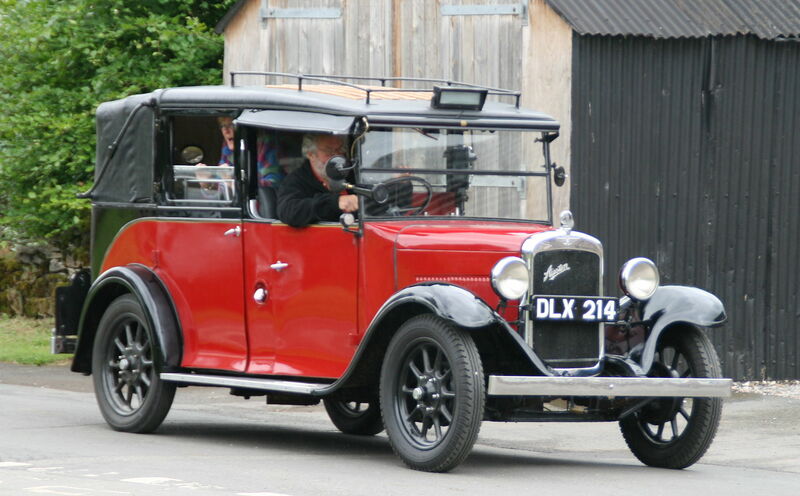 Leonard Lord, who had stormed out of Morris declaring he would “take Cowley apart brick by brick”, ensured Austin was the dominant partner and its (more recently designed OHV) engines were adopted for most of the cars. 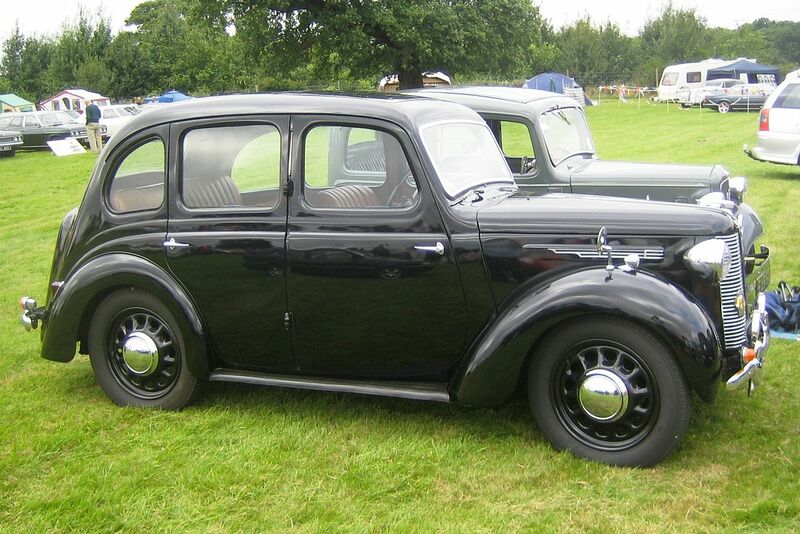 Various models followed the Morris policy and became badge-engineered versions of each other. 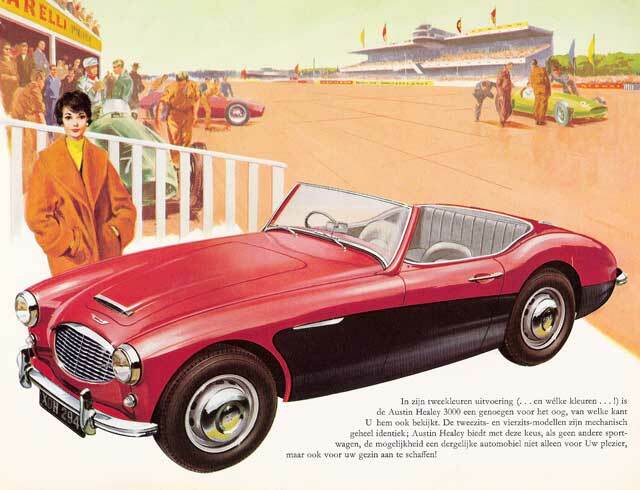 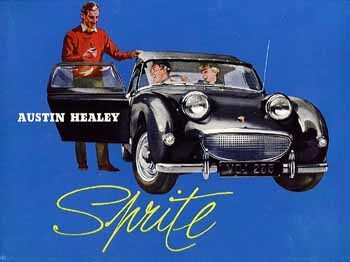 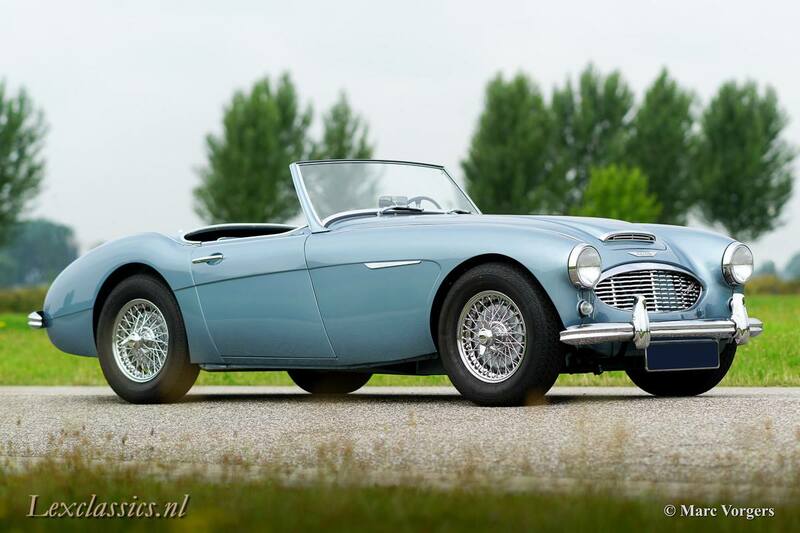 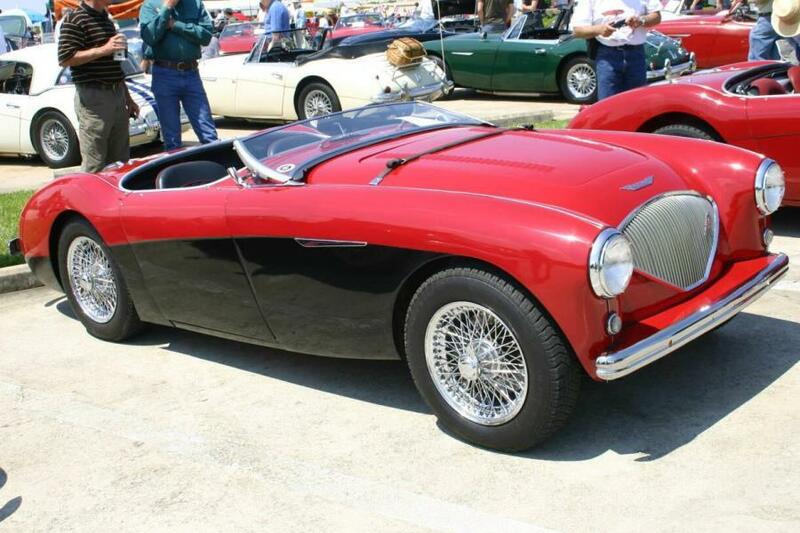 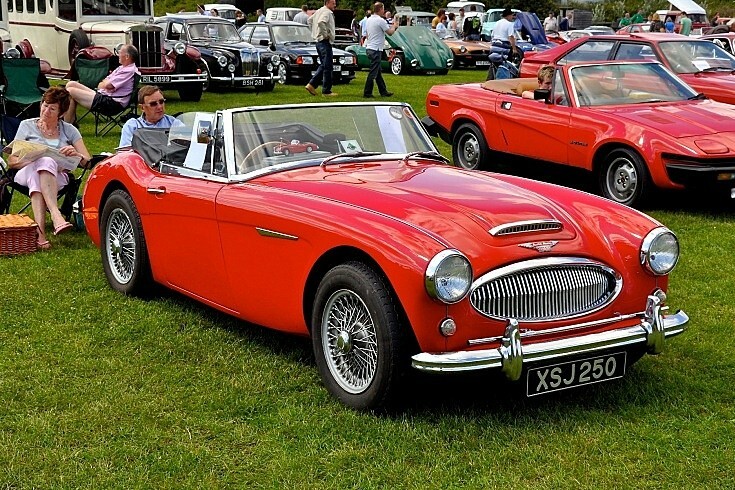 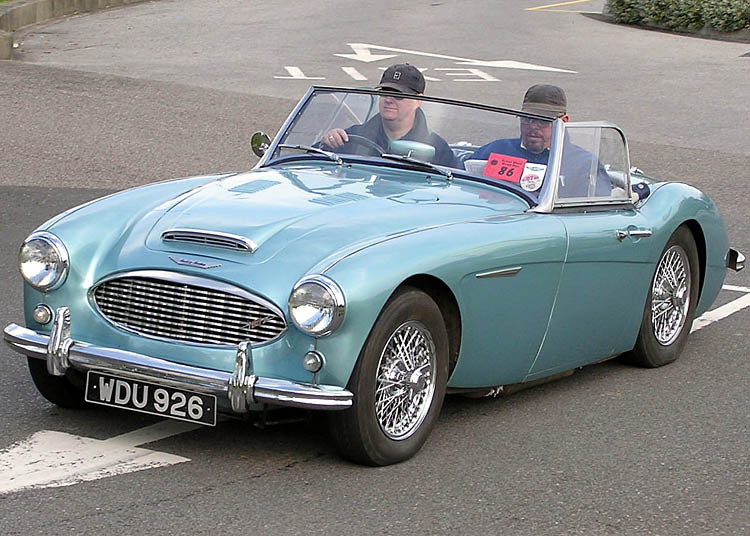 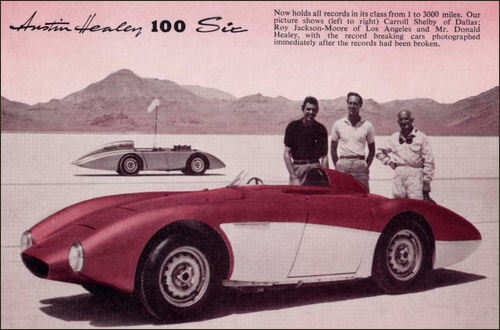 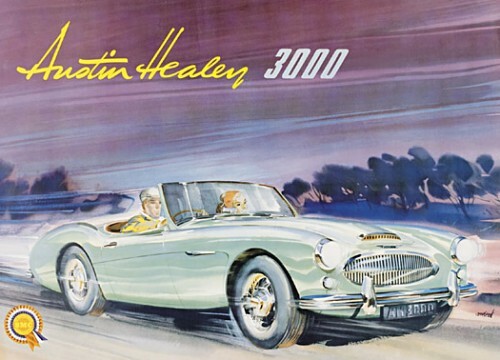 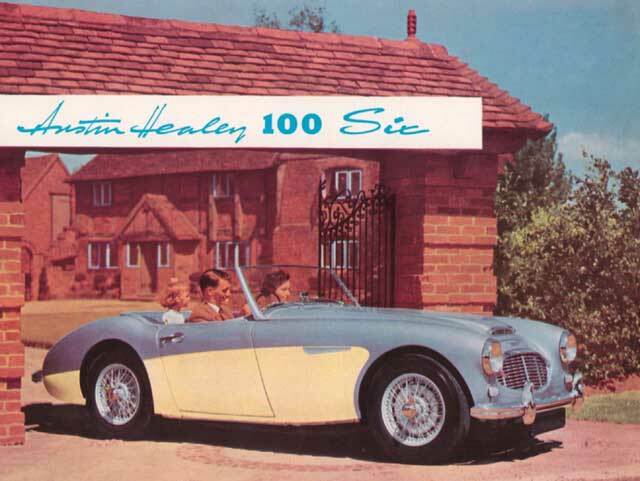 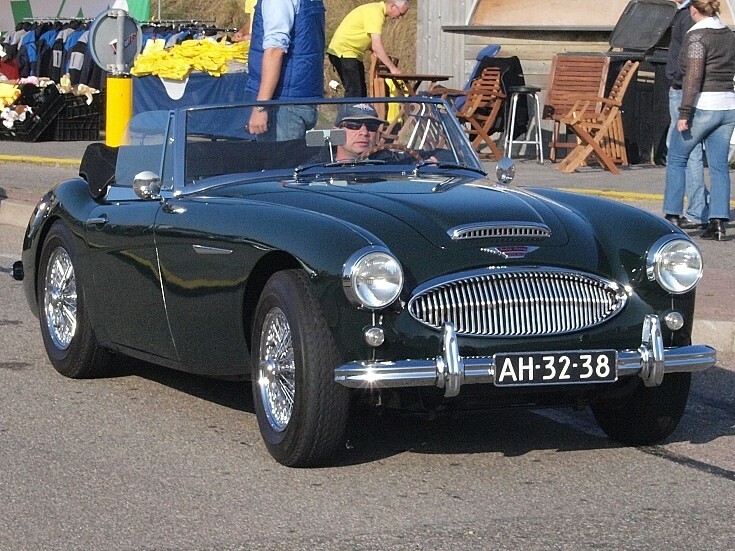 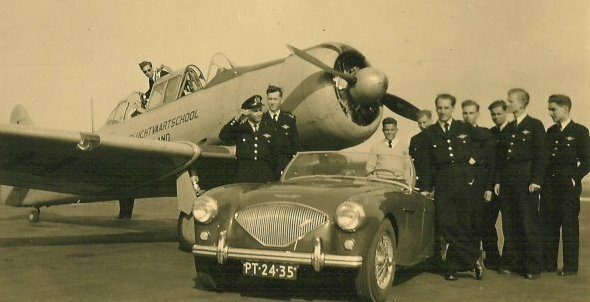 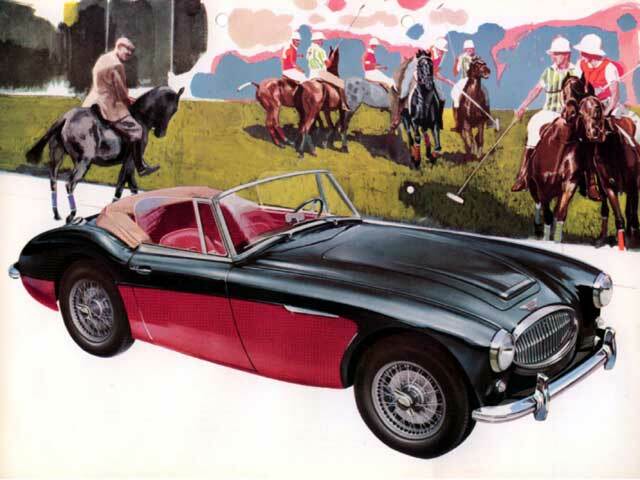 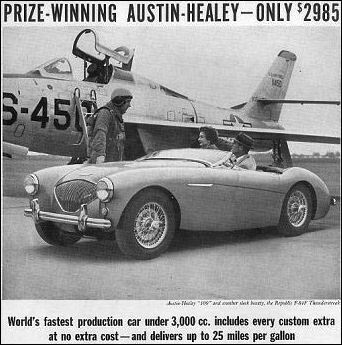 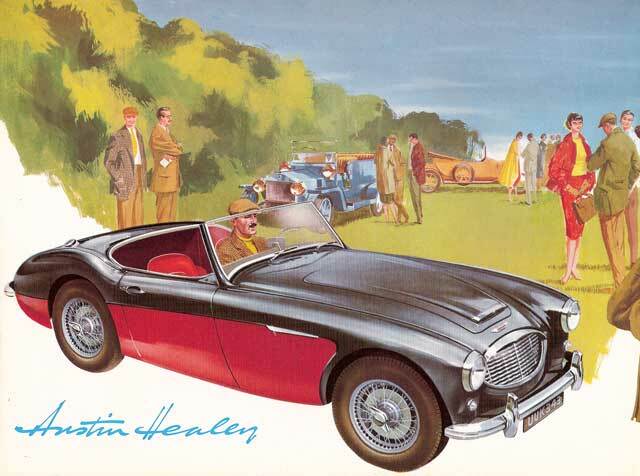 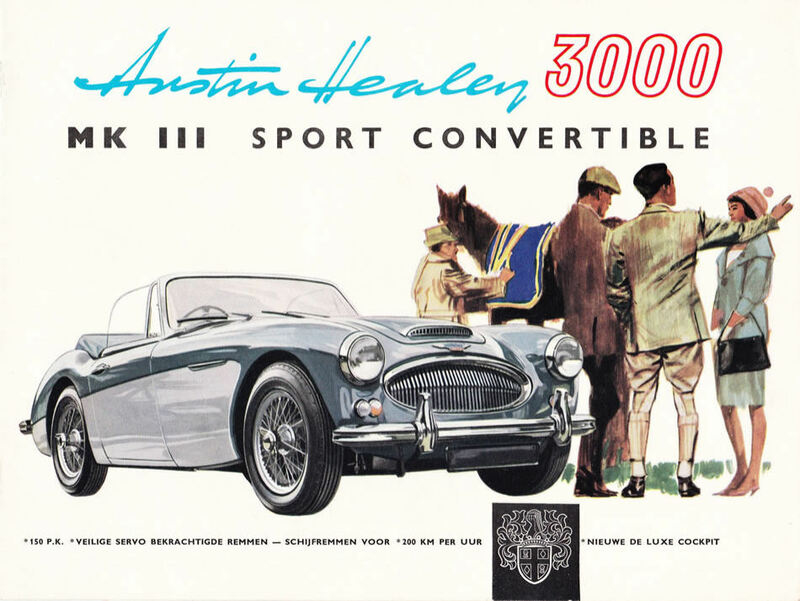 Austin-Healey, and a range of sports cars. 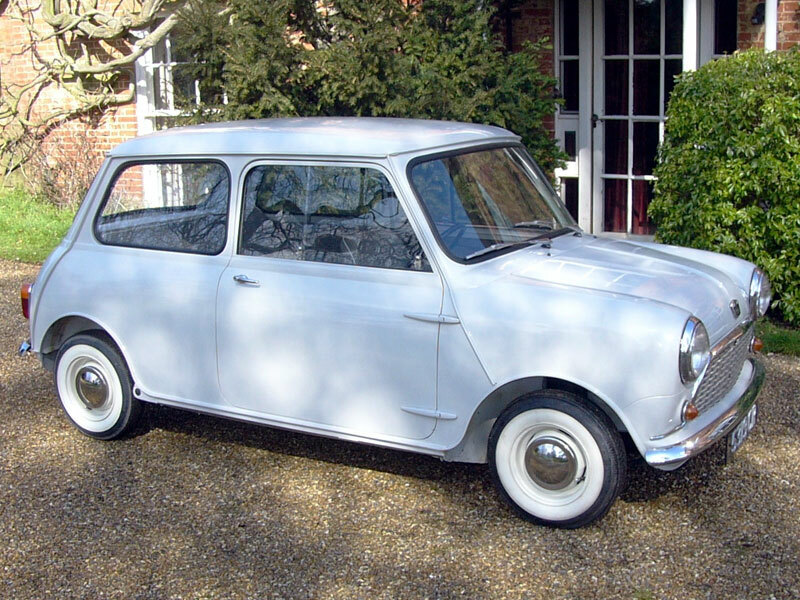 With the threat to fuel supplies resulting from the 1956 Suez Crisis, Lord asked Alec Issigonis, who had been with Morris from 1936 to 1952, to design a small car; the result was the revolutionary Mini, launched in 1959. 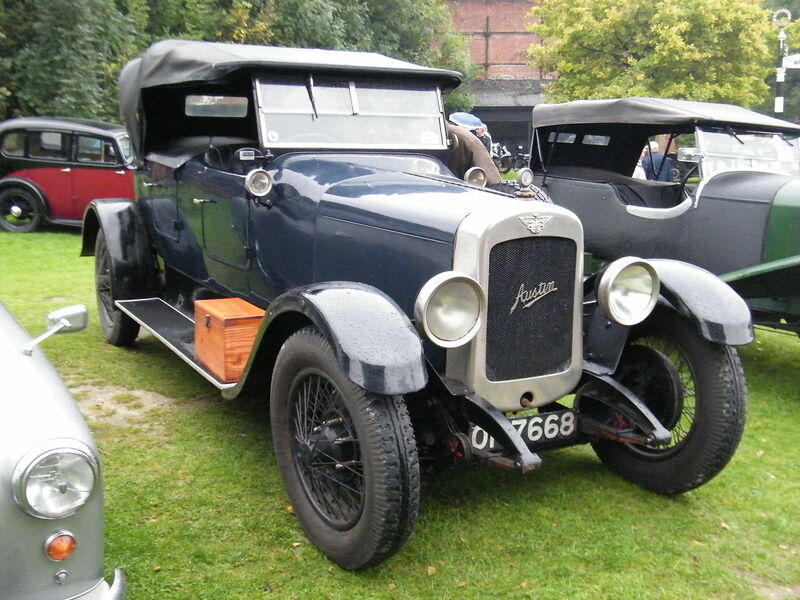 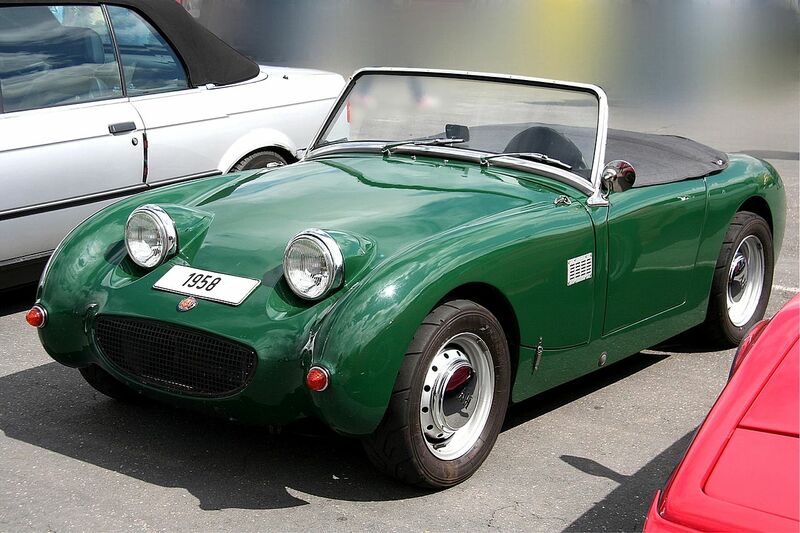 The Austin version was initially called the Austin Seven, but Morris’ Mini Minor name caught the public imagination and the Morris version outsold its Austin twin, so the Austin’s name was changed to Mini to follow suit. 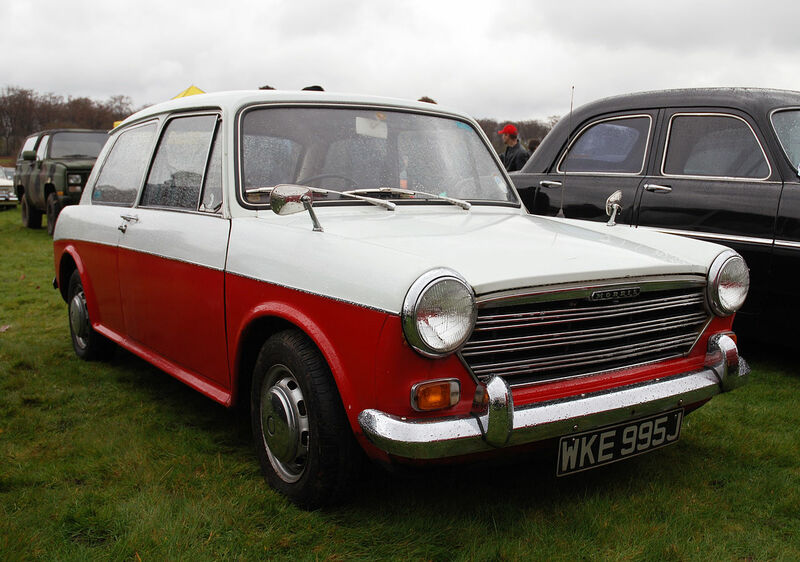 In 1970, British Leyland dropped the separate Austin and Morris branding of the Mini, and it was subsequently simply “Mini”, under the Austin Morris division of BLMC. 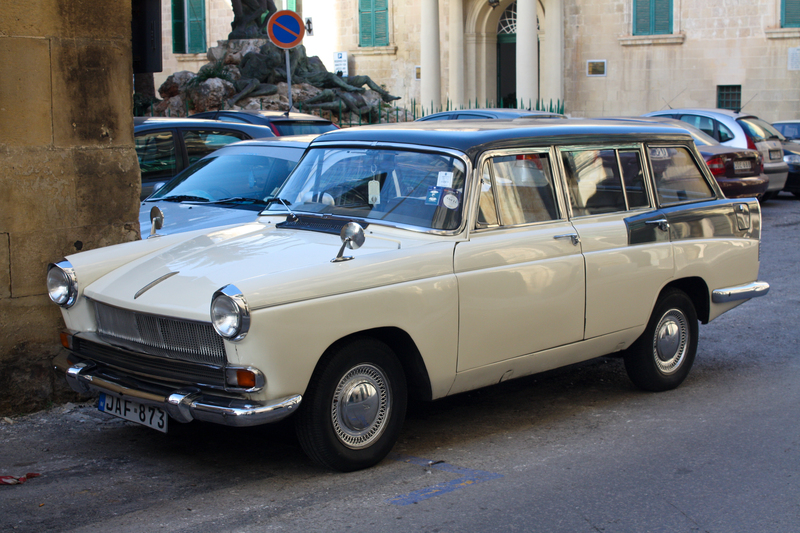 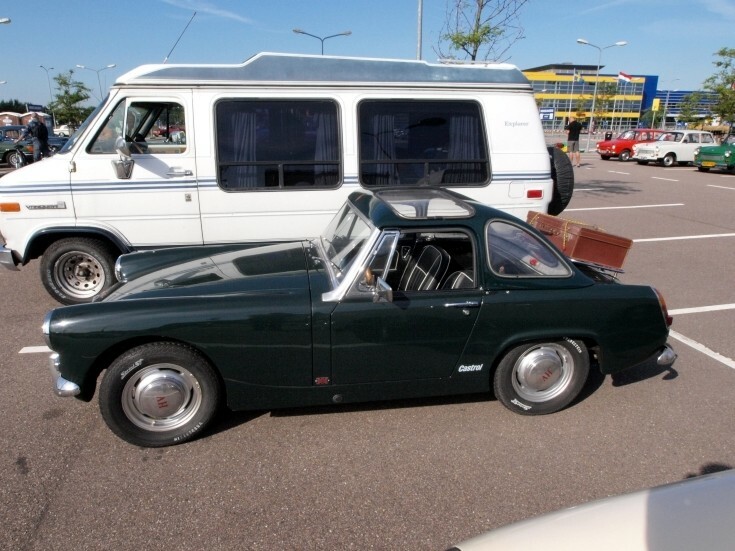 The principle of a transverse engine with gearbox in the sump and driving the front wheels was applied to larger cars, beginning with the 1100 of 1963, (although the Morris-badged version was launched 13 months earlier than the Austin, in August 1962), the 1800 of 1964 and the Maxi of 1969. 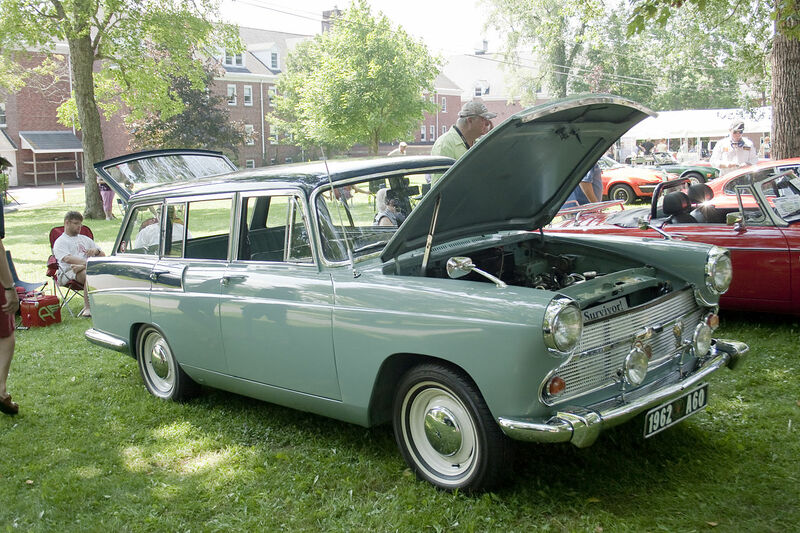 This meant that BMC had spent 10 years developing a new range of front-drive, transverse-engined models, while most competitors had only just started to make such changes. 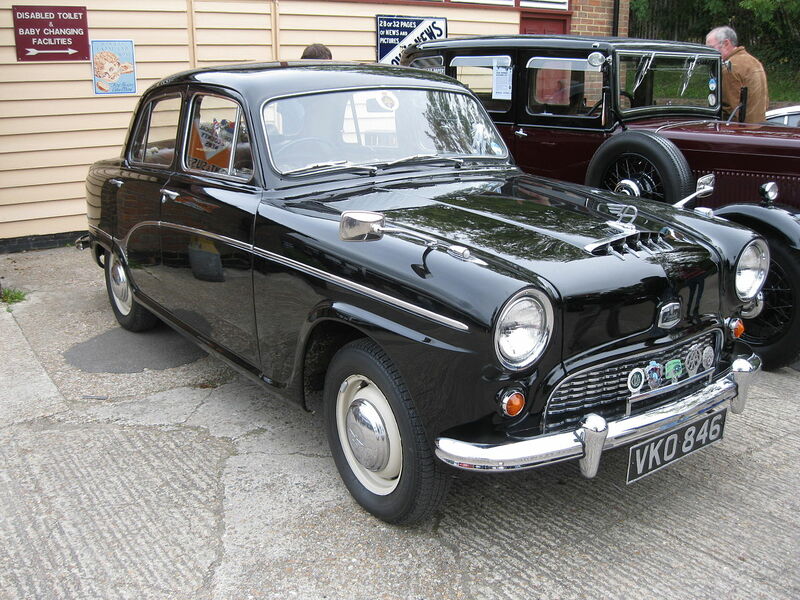 The big exception to this was the Austin 3-litre. 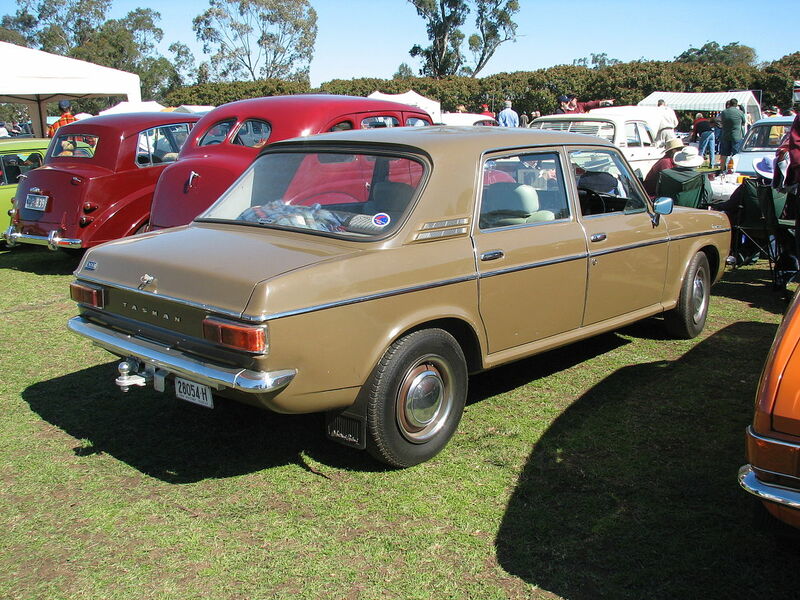 Launched in 1968, it was a rear-wheel drive large car, but it shared the central section of the 1800. 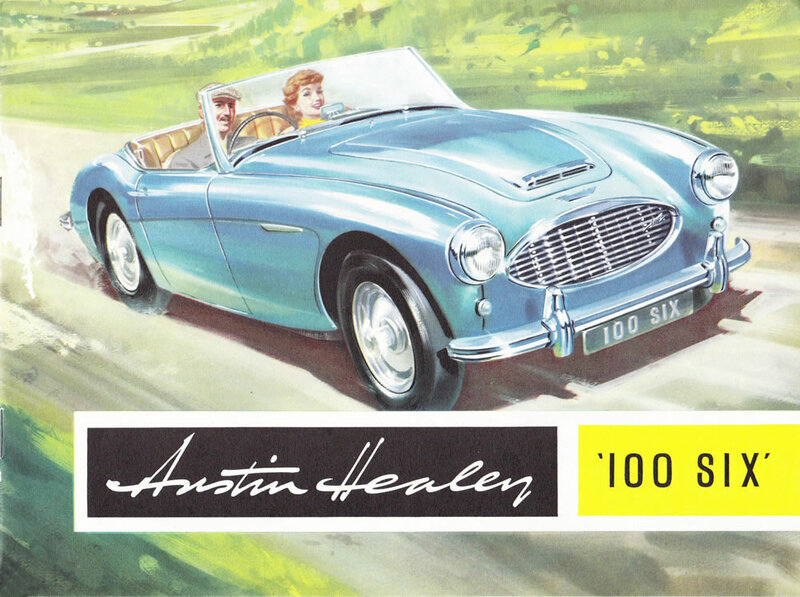 It was a sales disaster, with fewer than 10,000 examples being made. 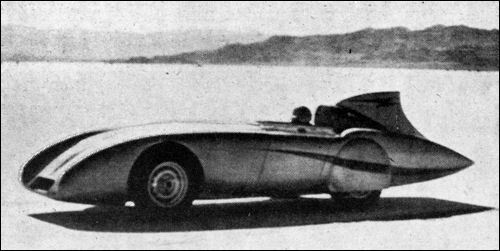 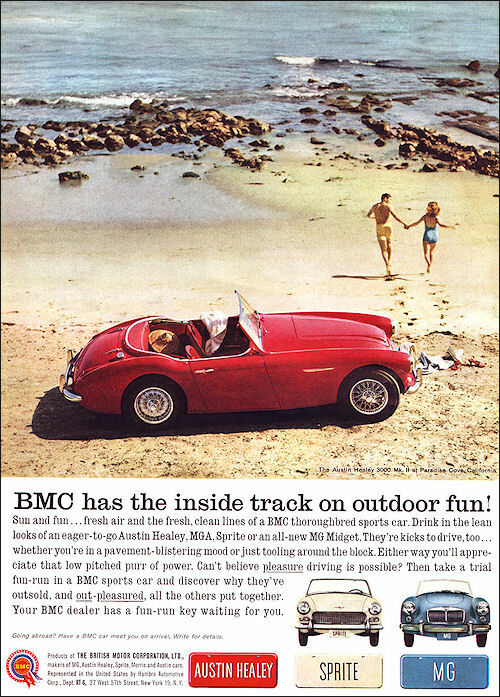 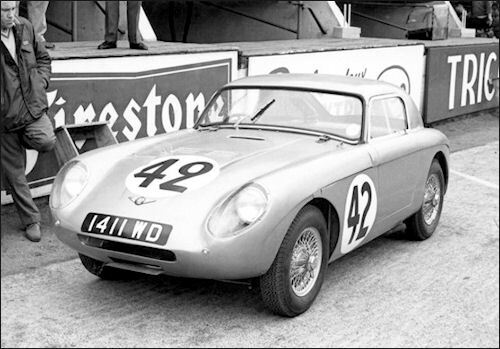 BMC was the first British manufacturer to move into front-wheel drive so comprehensively. 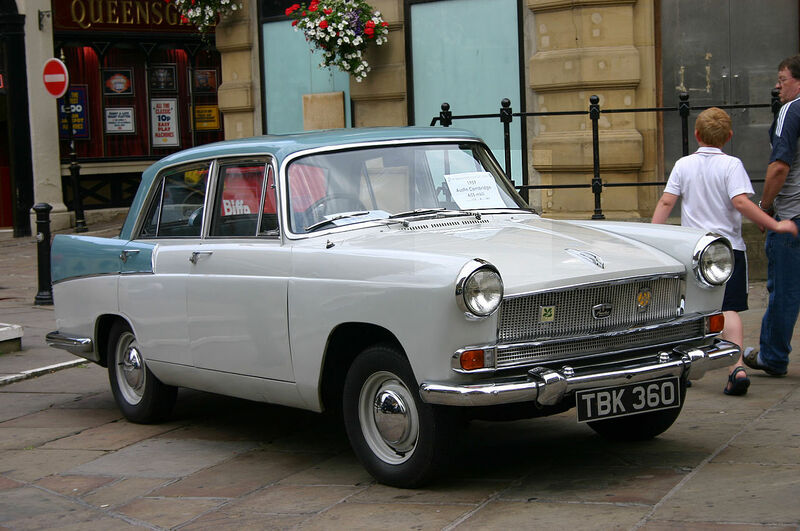 Ford did not launch its first front-drive model until 1976 (in Britain), Ford-Germany in 1962 with the Taunus 12M(P4)), while Vauxhall’s first front-drive model was launched in 1979 and Chrysler UK’s first such car was launched in 1975. 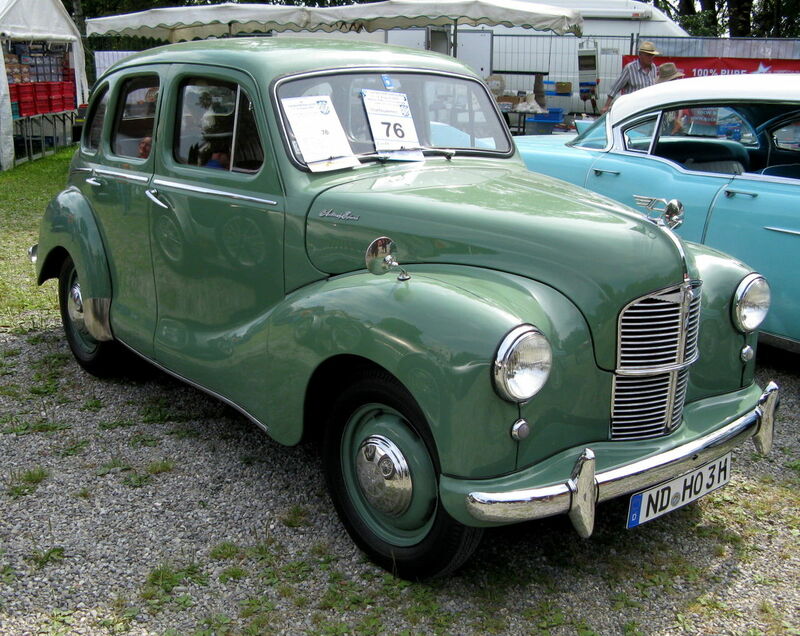 Front-wheel drive was popular elsewhere in Europe, however, with Renault, Citroen and Simca all using the system at the same time or before BMC. 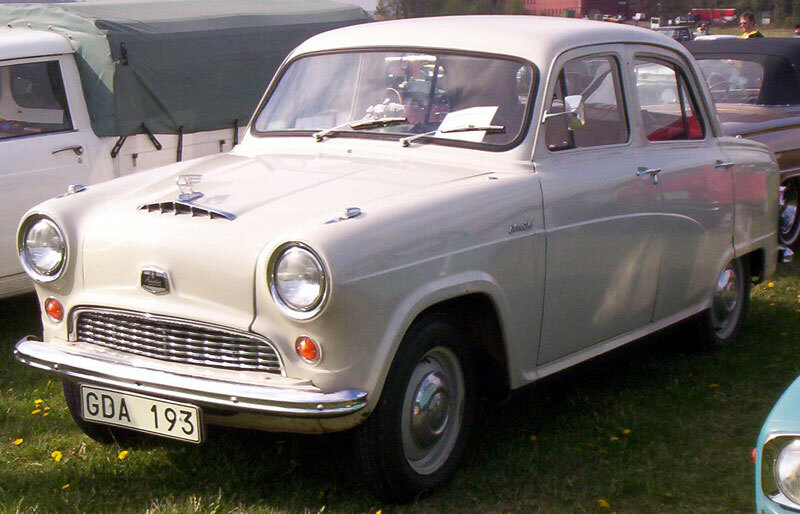 East Germany’s Trabant used the system from 1958. 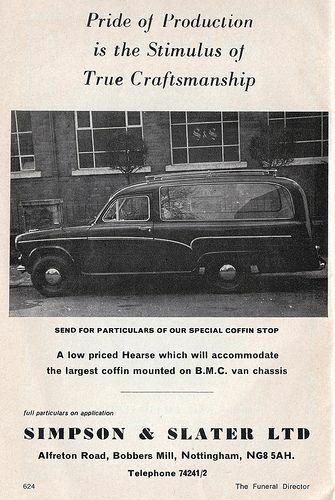 In September 1965 BMC completed the purchase of its major supplier, Pressed Steel. 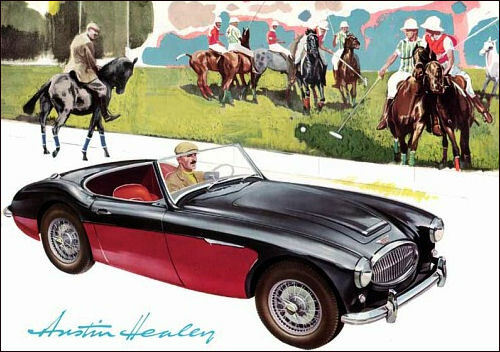 Twelve months later it completed the purchase of Jaguar and in December 1966 changed its name from BMC to BMH, British Motor Holdings Limited. 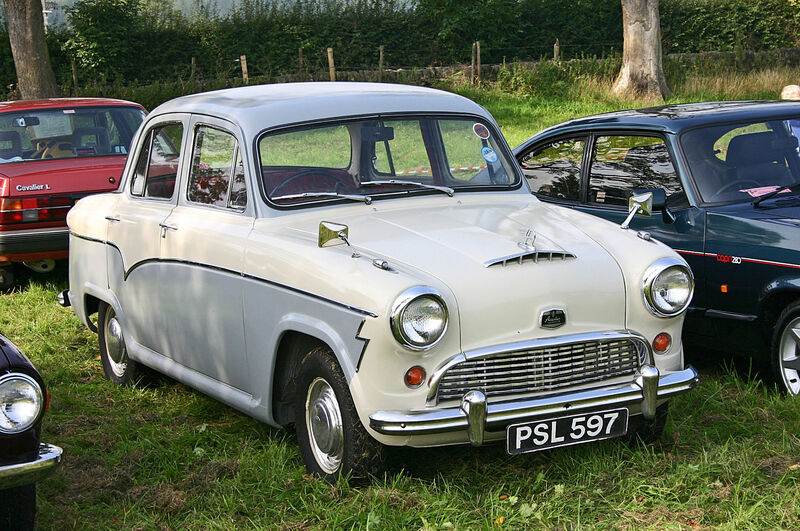 In early 1968 under government pressure BMH merged with Leyland Motors Limited and Austin became a part of the large British Leyland Motor Corporation (BLMC) combine. 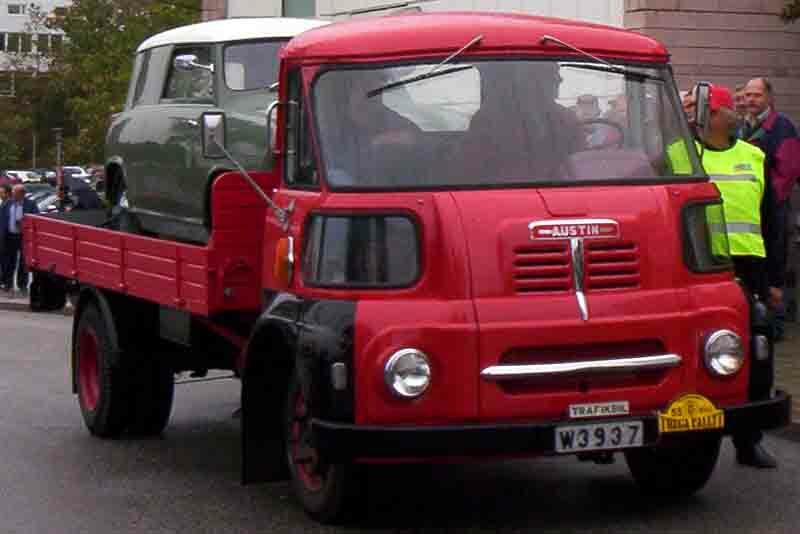 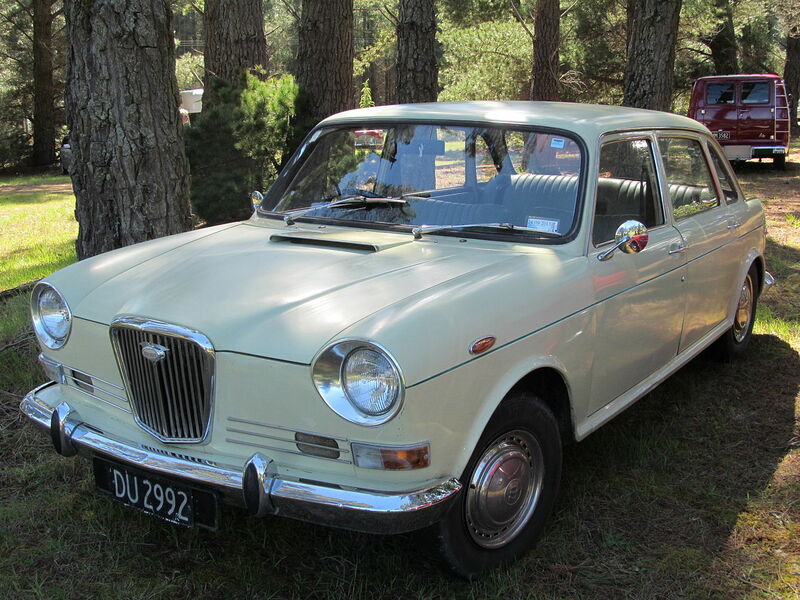 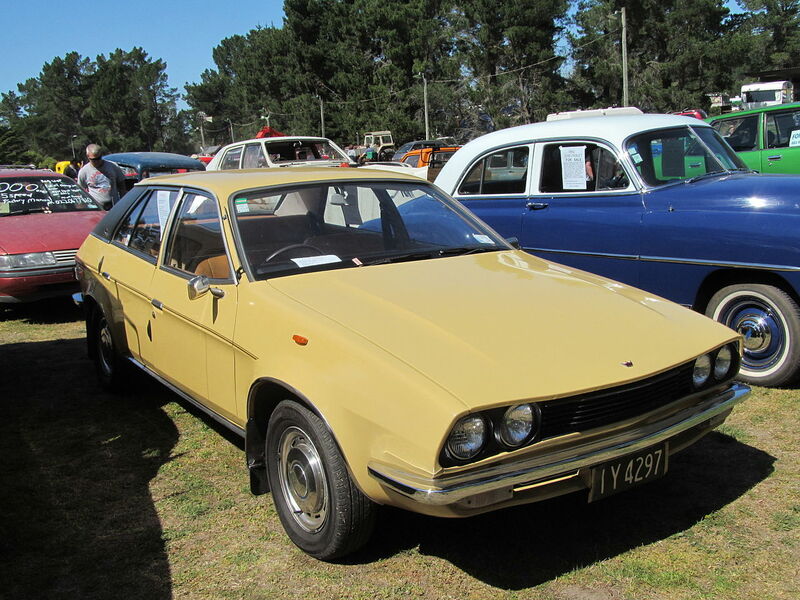 By 1970 Austin was part of the British Leyland combine. 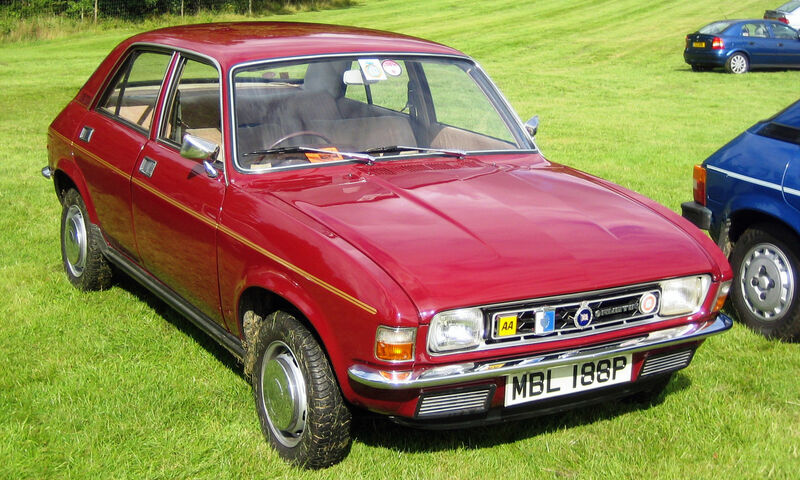 Austin’s most notorious model of this era was the 1973 Allegro, successor to the 1100/1300 ranges, which was criticised for its bulbous styling which earned it the nickname “Flying pig” as well as the doubtful build quality and indifferent reliability. 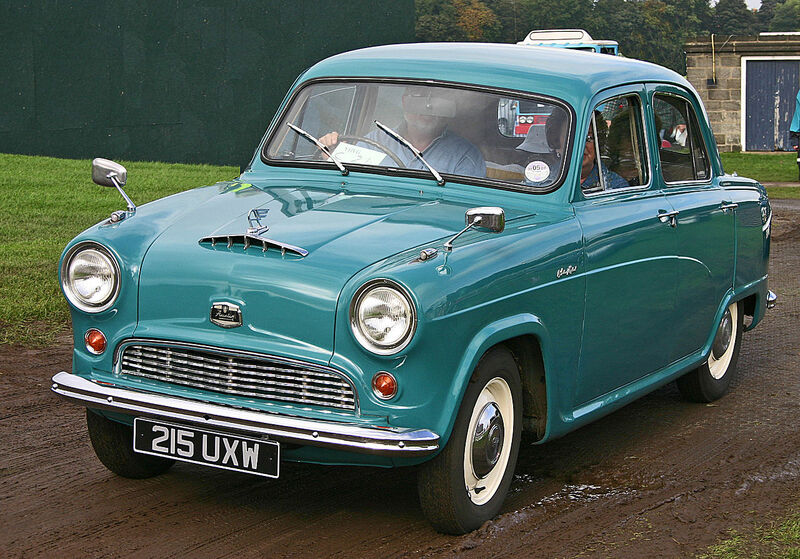 It was still a strong seller in Britain, although not quite as successful as its predecessor. 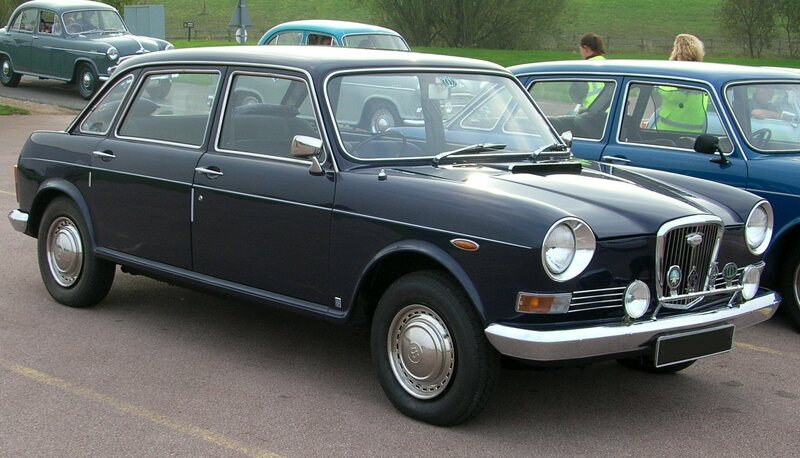 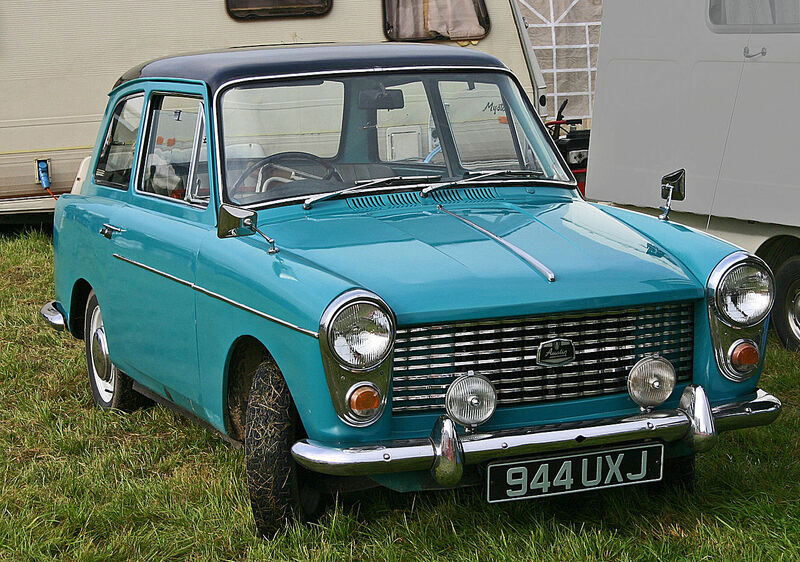 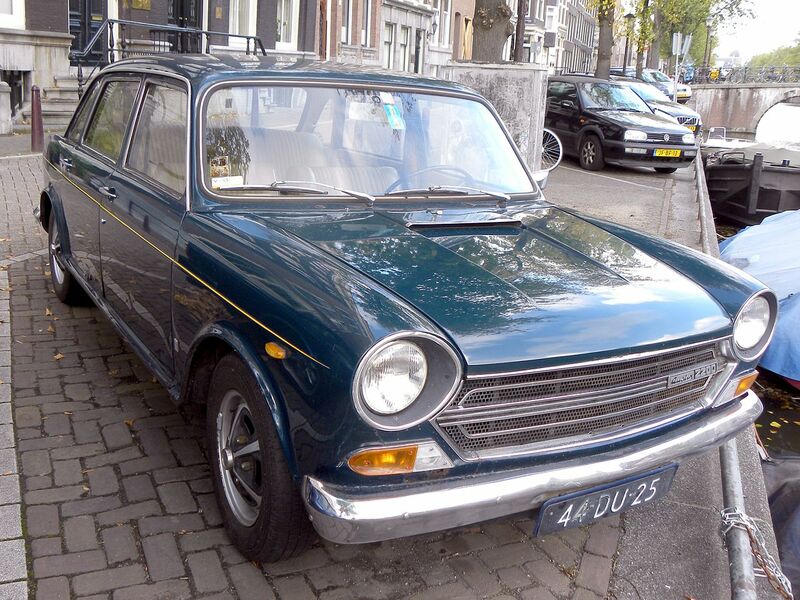 The wedge-shaped 18/22 series was launched as an Austin, a Morris and a more upmarket Wolseley in 1975. 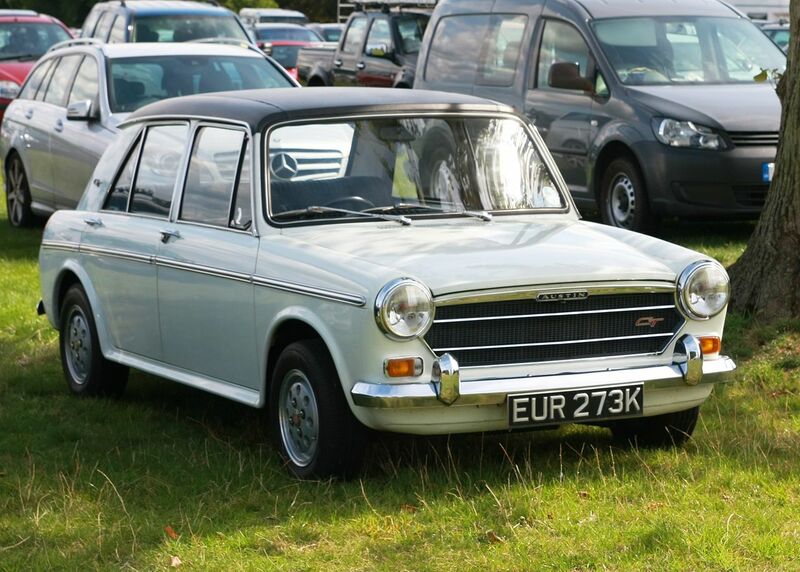 But within six months, it was rechristened the Princess and wore none of the previous marque badges, becoming a marque in its own right, under the Austin Morris division of British Leyland that had been virtually nationalised in 1975. 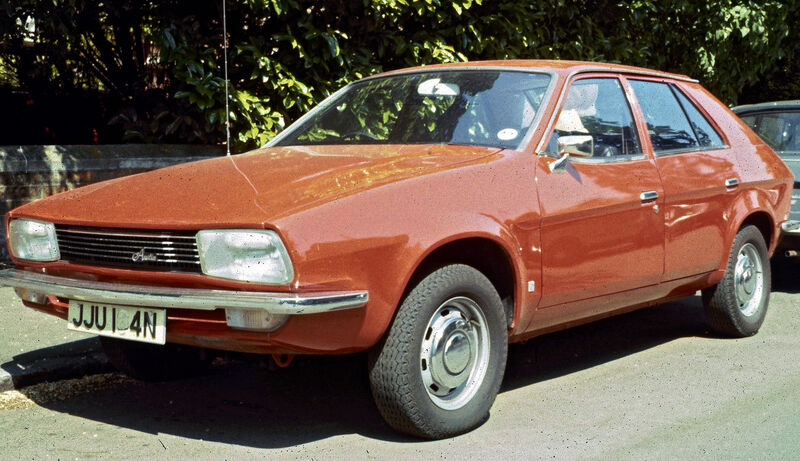 The Princess was not quite as notorious as the Allegro, and earned some praise for its practical wedge shape, spacious interior, and decent ride and handling, but build quality was suspect and the lack of a hatchback (which would have ideally suited its body shape) cost valuable sales. 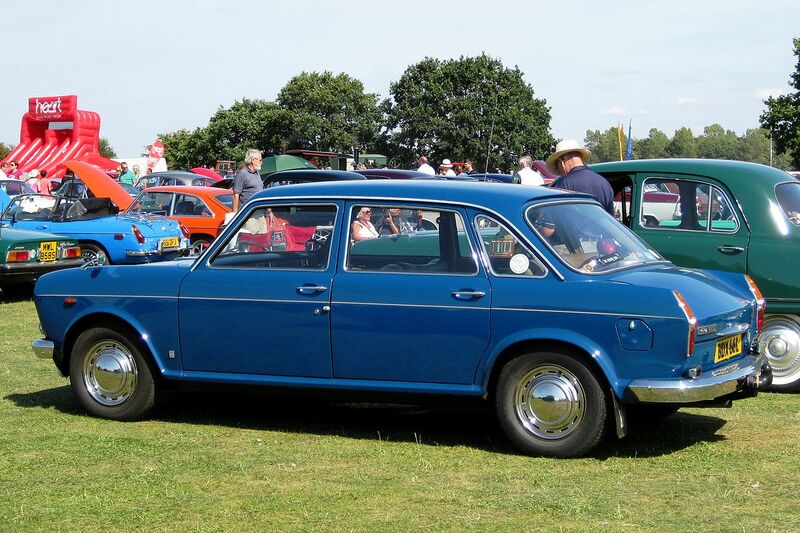 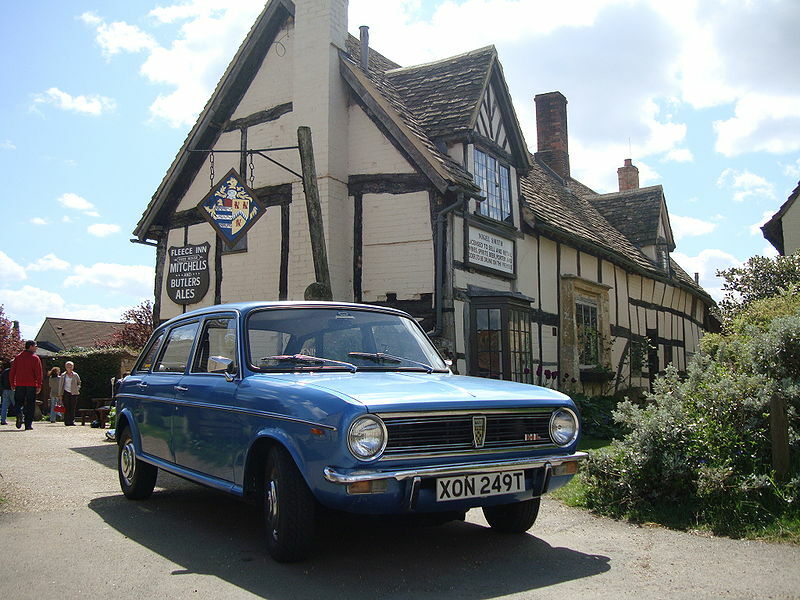 It was upgraded at the end of 1981 to become the Austin Ambassador (and gaining a hatchback) but by that time there was little that could be done to disguise the age of the design, and it was too late to make much of an impact on sales. 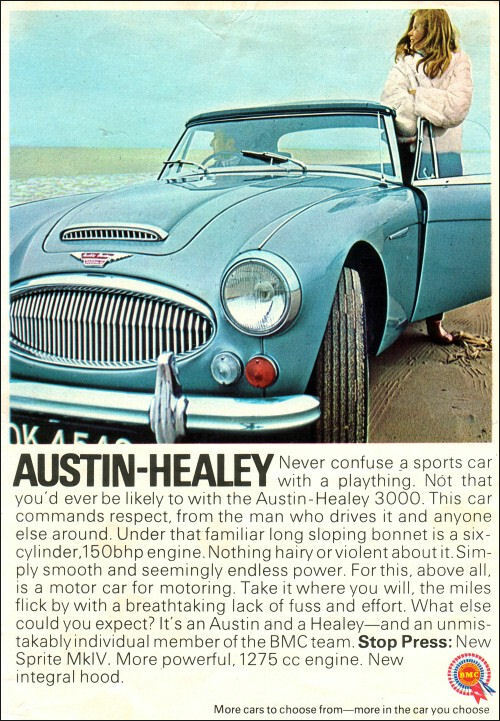 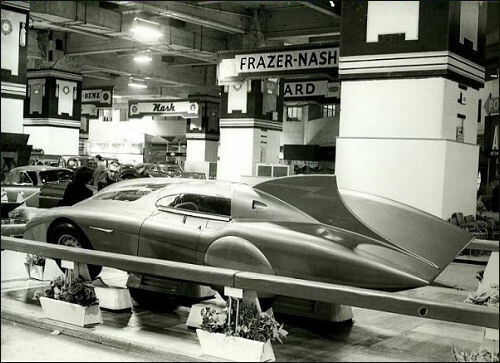 By the end of the 1970s, the future of Austin and the rest of British Leyland (now known as BL) was looking bleak. 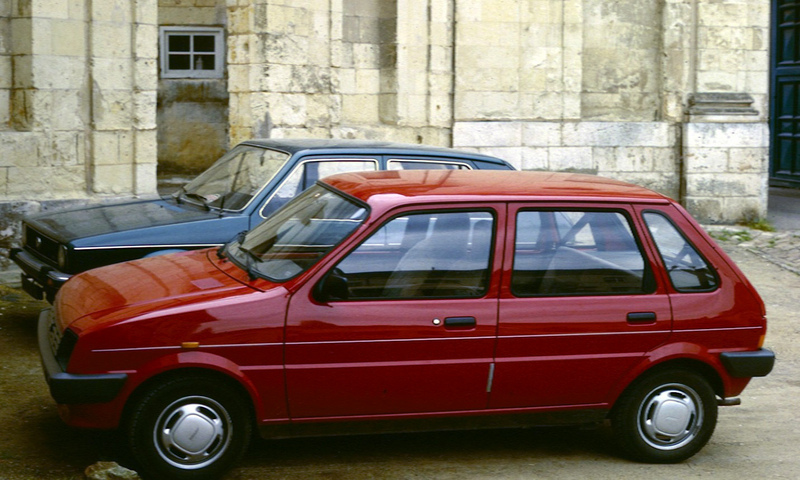 The Austin Metro, launched in October 1980, was heralded as the saviour of Austin Motor Company and the whole BL combine. 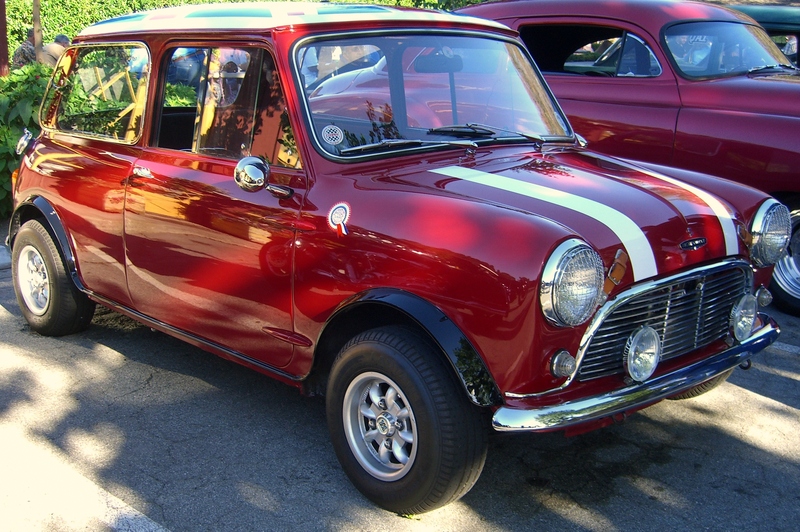 Twenty-one years after the launch of the Mini, it gave BL a much-needed modern supermini to compete with the recently launched likes of the Ford Fiesta, Vauxhall Nova, VW Polo and Renault 5. 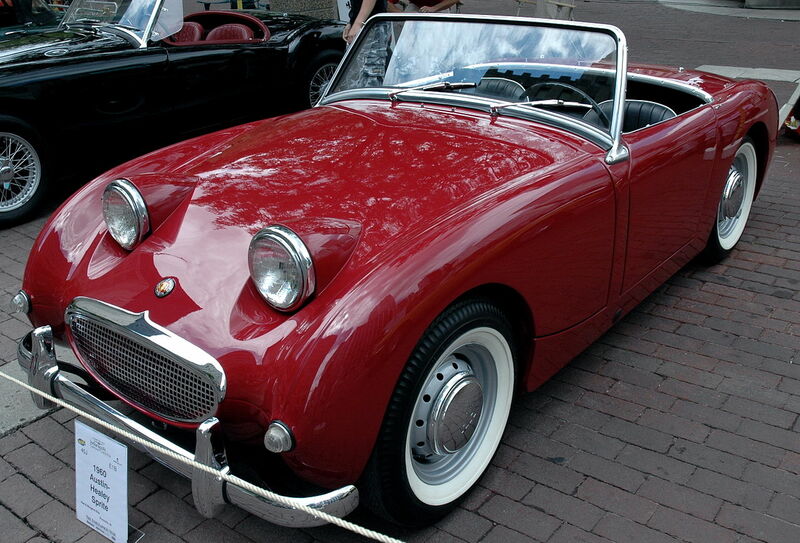 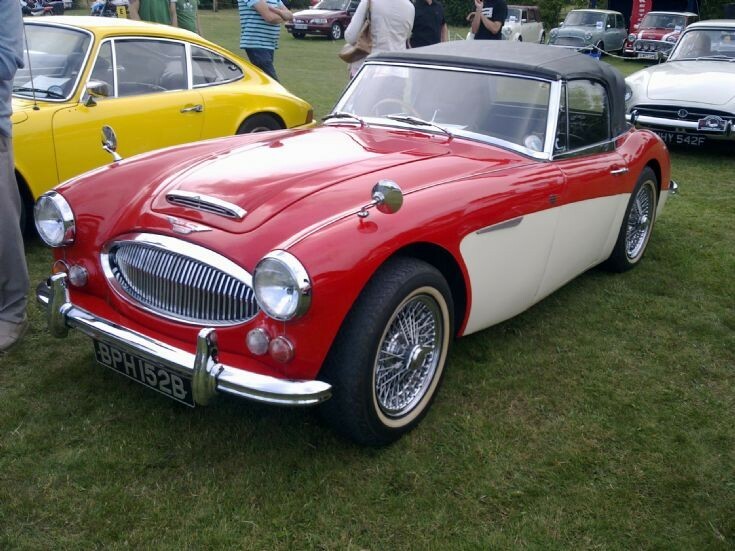 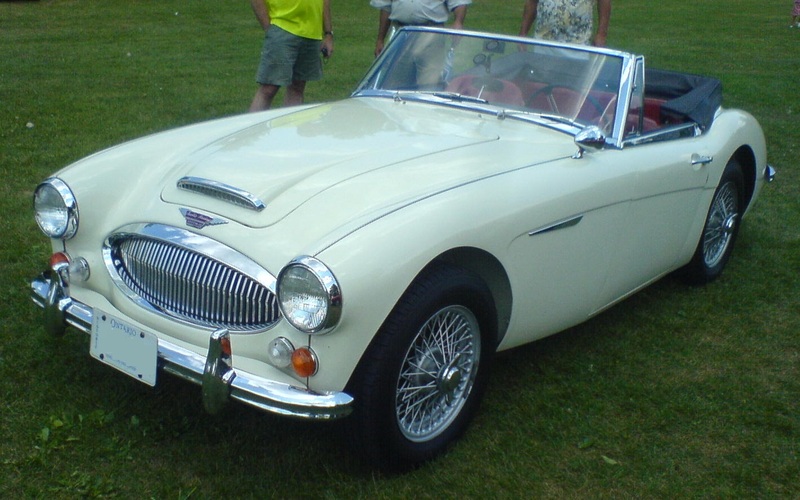 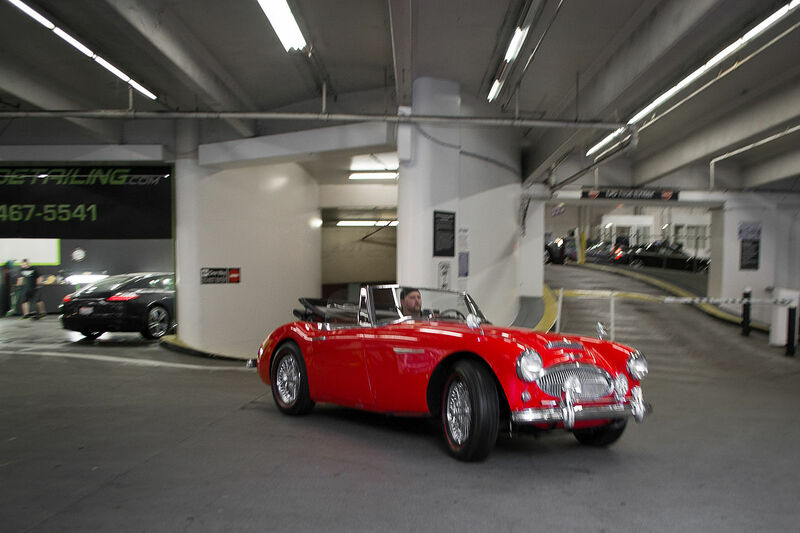 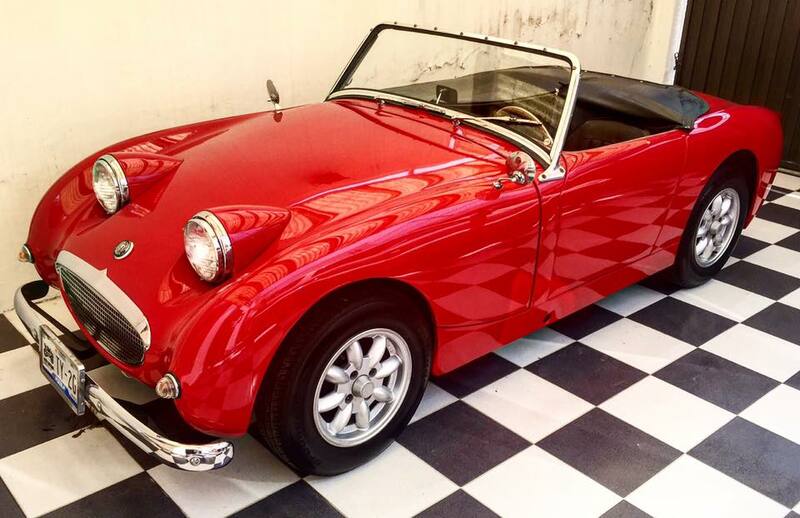 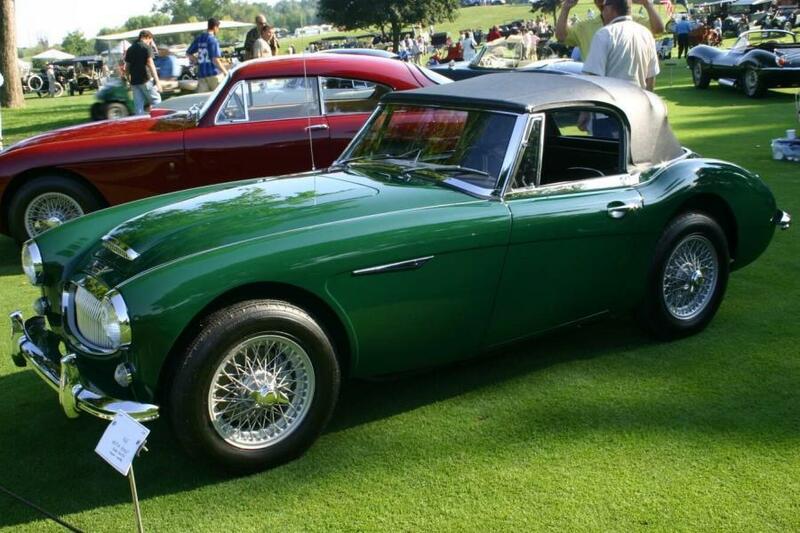 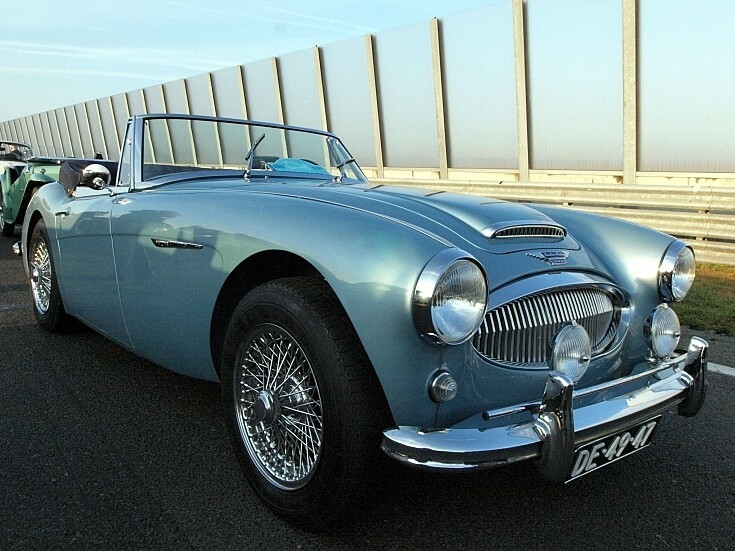 It was an instant hit with buyers and was one of the most popular British cars of the 1980s. 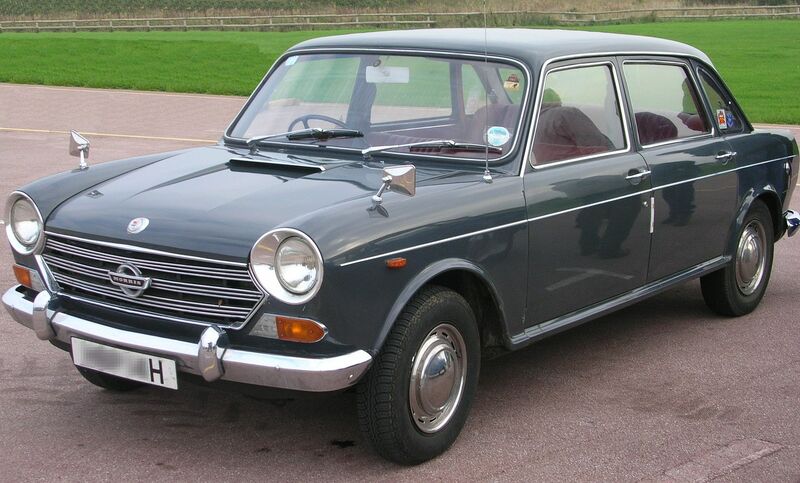 It was intended as a replacement for the Mini but, in fact, the Mini outlived the Metro by two years. 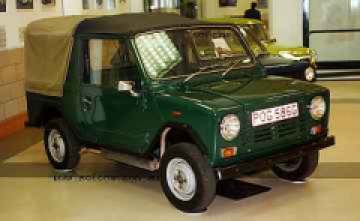 In 1982, most of the car division of the by now somewhat shrunken British Leyland (BL) company was rebranded as the Austin Rover Group, with Austin acting as the “budget” and mainstream brand to Rover’s more luxurious models. 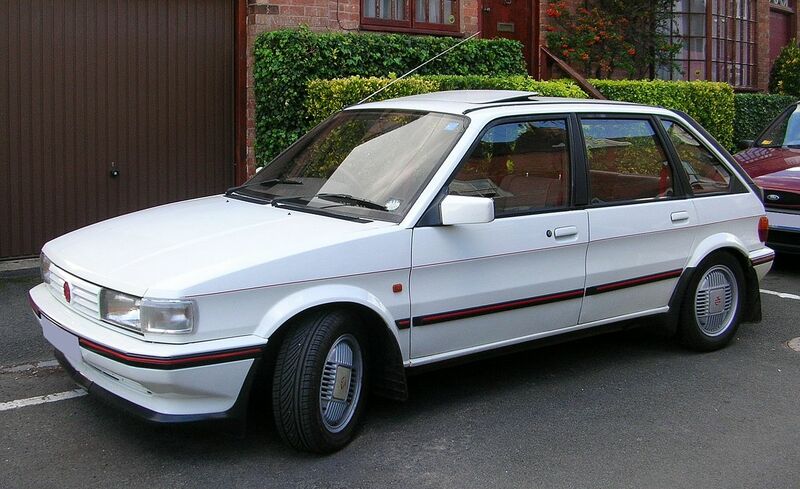 The MG badge was revived for sporty versions of the Austin models, of which the MG Metro 1300 was the first. 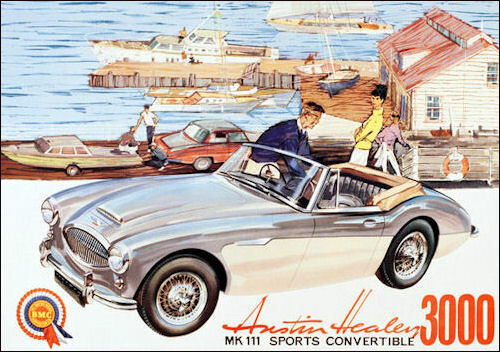 Austin revitalised its entry into the small family-car market in March 1983 with the launch of its all-new Maestro, a spacious five-door hatchback that replaced the elderly Allegro and Maxi and was popular in the early years of its production life, although sales had started to dip dramatically by the end of the decade. 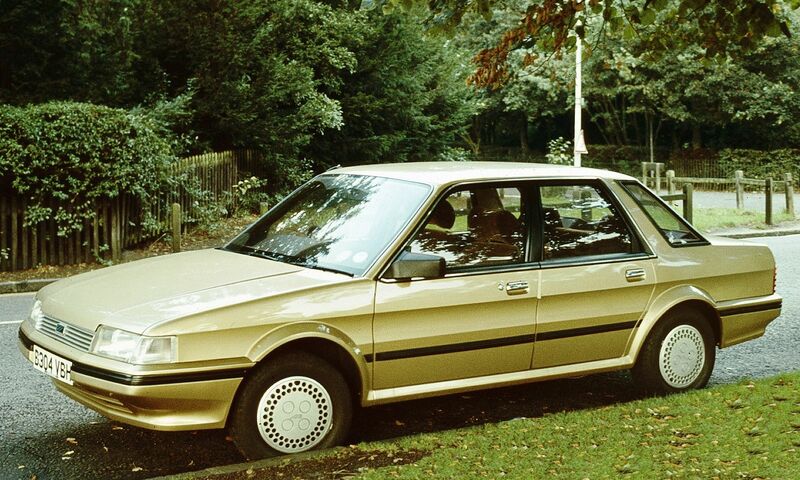 April 1984 saw the introduction of the Maestro-derived Montego saloon, successor to the Morris Ital. 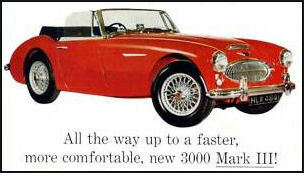 The new car received praise for its interior space and comfort, but early build-quality problems took time to overcome. 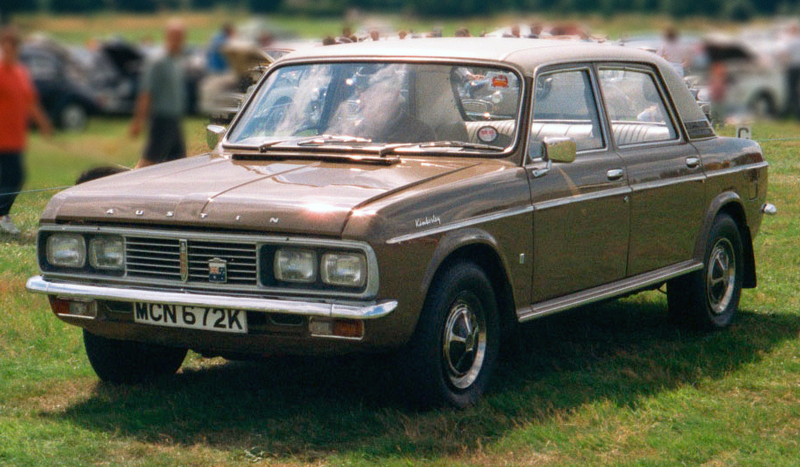 The spacious estate version, launched in early 1985, was one of the most popular load carriers of its era. 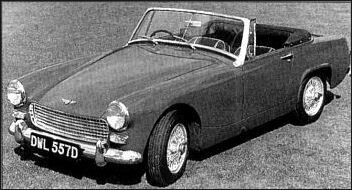 In 1986 Austin Rover’s holding company BL plc became Rover Group plc and was privatised by selling it to British Aerospace (BAe). 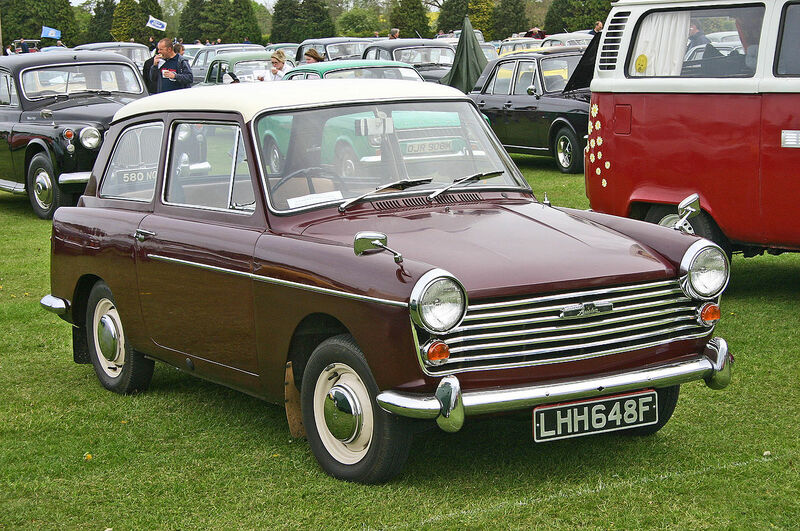 Plans to replace the Metro with a radical new model, based on the ECV3 research vehicle and aiming for 100 mpg, led to the Austin AR6 of 1984–1986, with several prototypes tested. 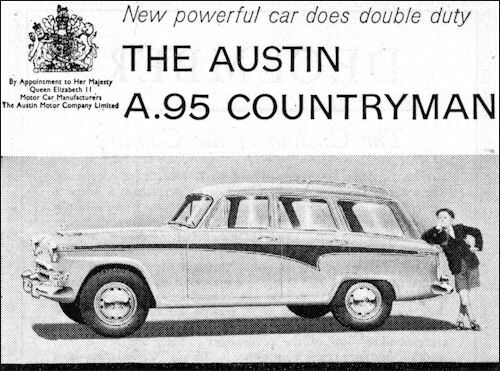 The desire to lose the Austin name and take Rover “upmarket” led to this project’s demise in early 1987. 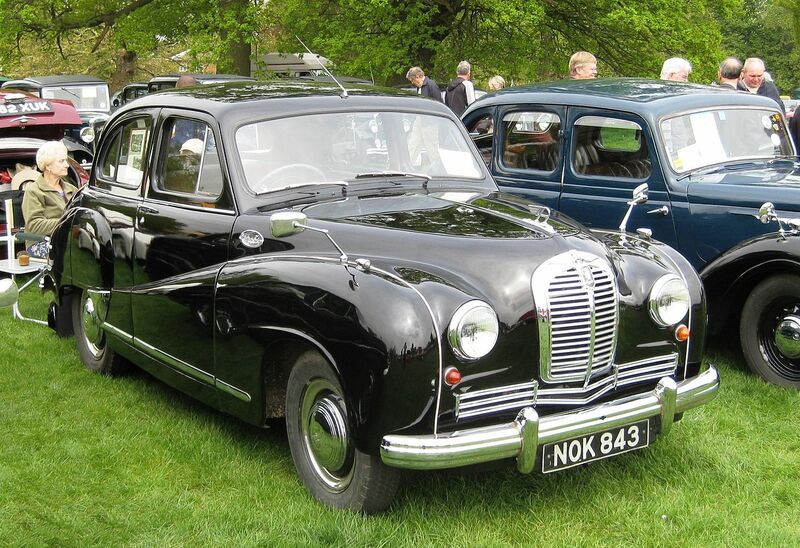 In 1987, the Austin badge was discontinued and Austin Rover became simply the Rover Group. 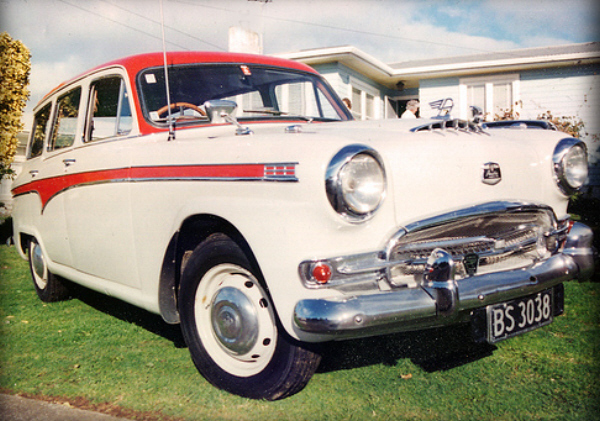 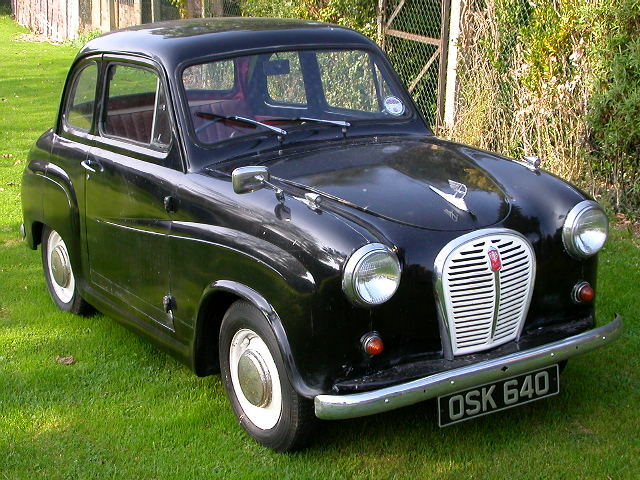 The Austin cars continued to be manufactured, although they ceased to be Austins. 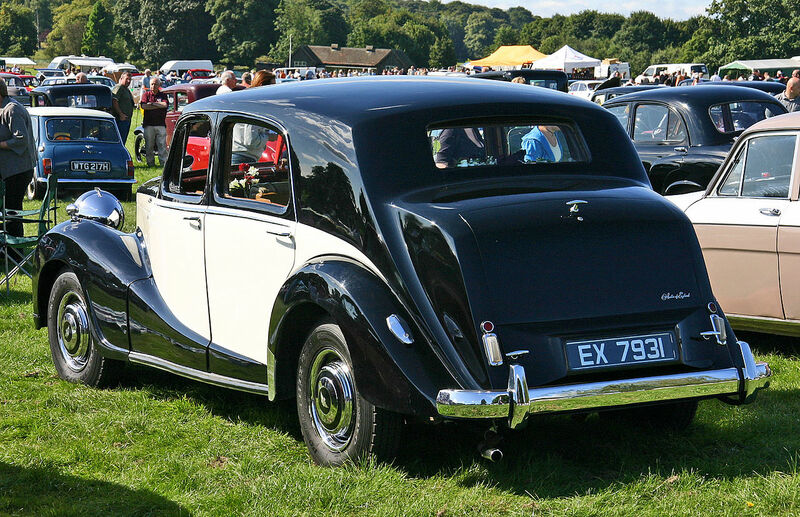 They became “marque-less” in their home market with bonnet badges the same shape as the Rover longship badge but without “Rover” written on them. 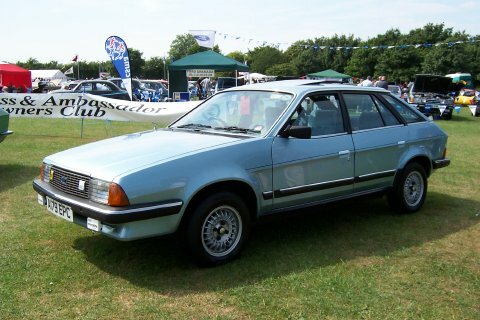 Instead any badging just showed the model of the car: a Montego of this era, for instance, would have a grille badge simply saying “Montego”, whilst the rear badges just said “Montego” and the engine size/trim level. 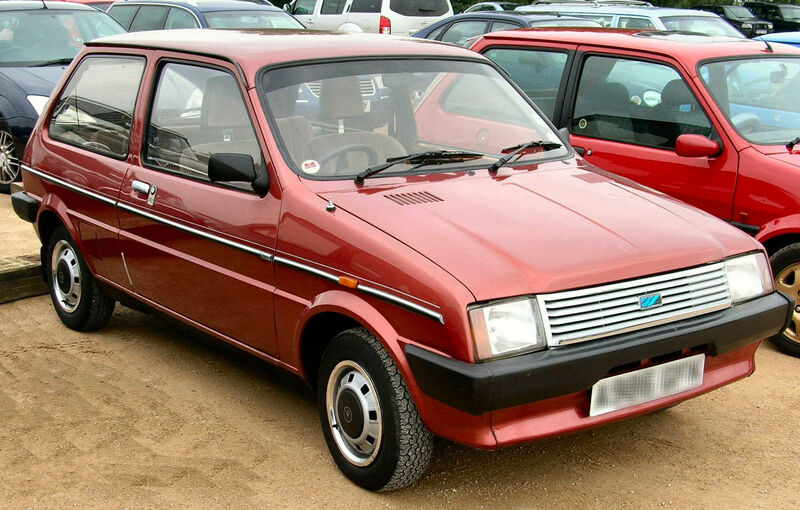 The Metro was facelifted in 1990 and got the new K-series engine. 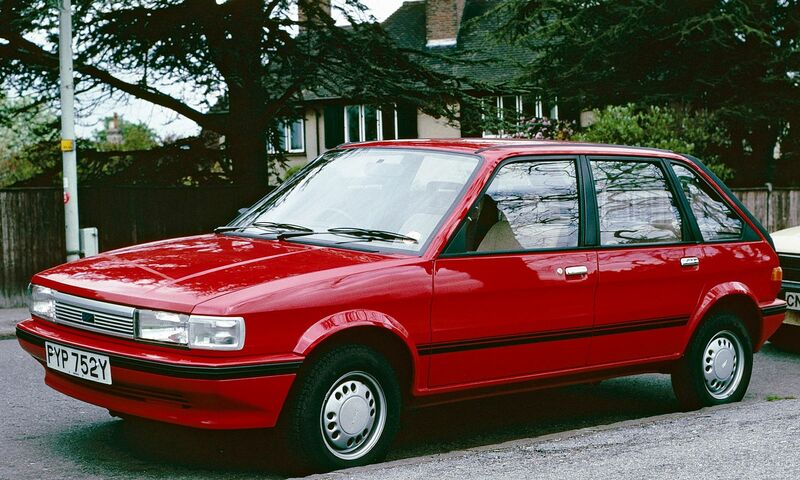 It then became the “Rover Metro”, while the Maestro and Montego continued in production until 1994 and never wore a Rover badge on their bonnets in Britain. 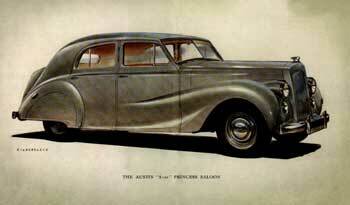 They were, however, sometimes referred to as “Rovers” in the press and elsewhere. 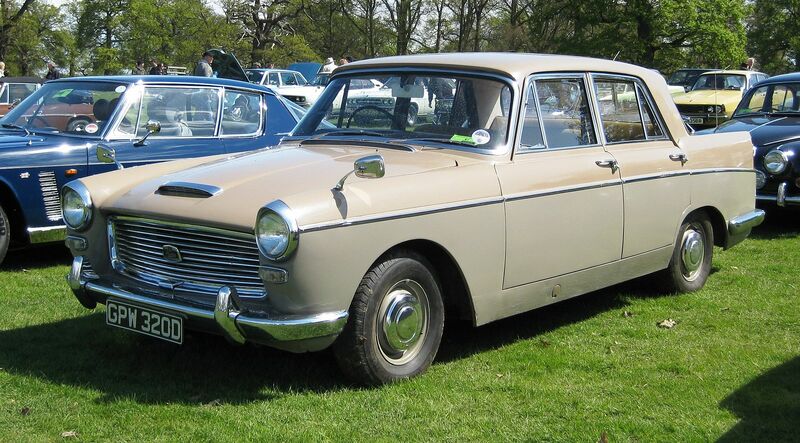 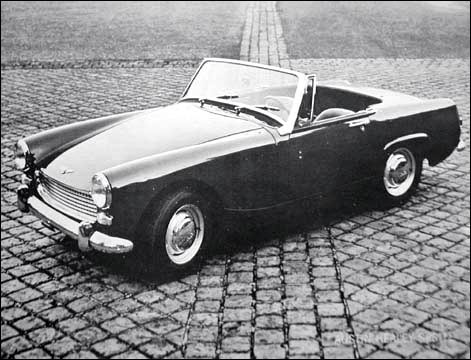 The rights to the Austin name passed to British Aerospace and then to BMW when each bought the Rover Group. 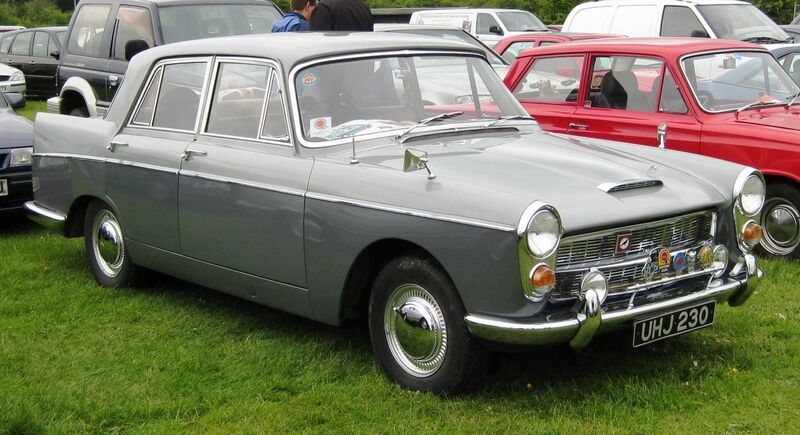 The rights were subsequently sold to MG Rover, created when BMW sold the business. 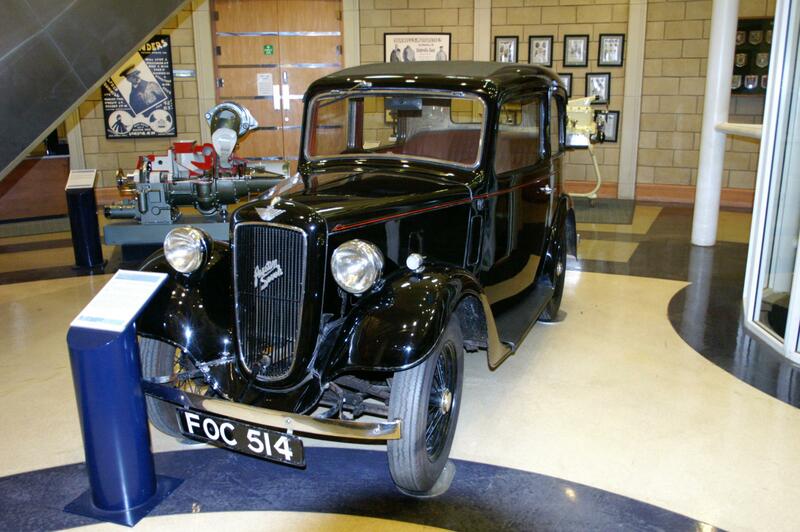 Following MG Rover’s collapse and sale, Nanjing Automobile Group owns the Austin name and Austin’s historic assembly plant in Longbridge. 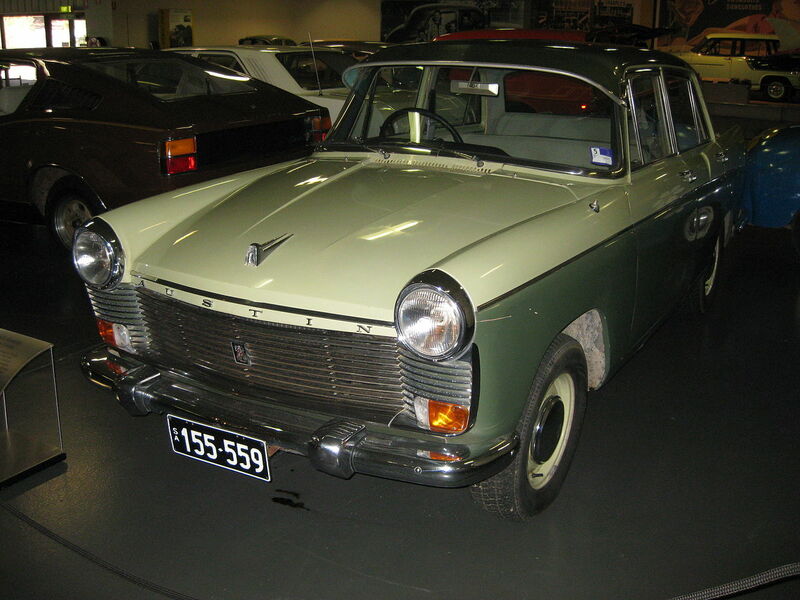 At the Nanjing International Exhibition in May 2006, Nanjing announced it might use the Austin name on some of the revived MG Rover models, at least in the Chinese market. 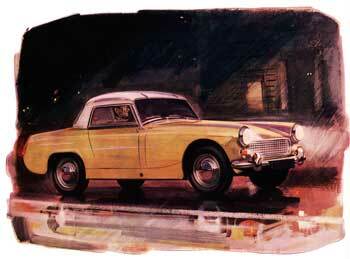 However, Nanjing is for the moment concentrating on reviving the MG brand. 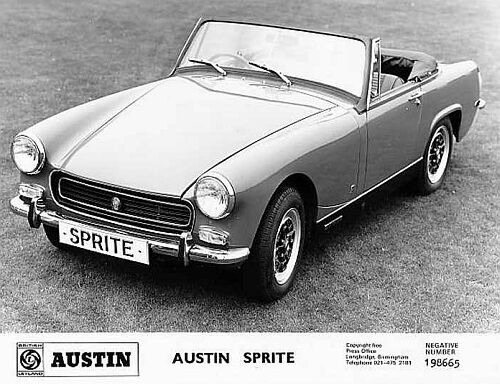 The MG brand is traditionally used for sports cars and Nanjing has no rights to the Rover name, so a revival of the Austin name would seem a logical brand for selling more standard cars. 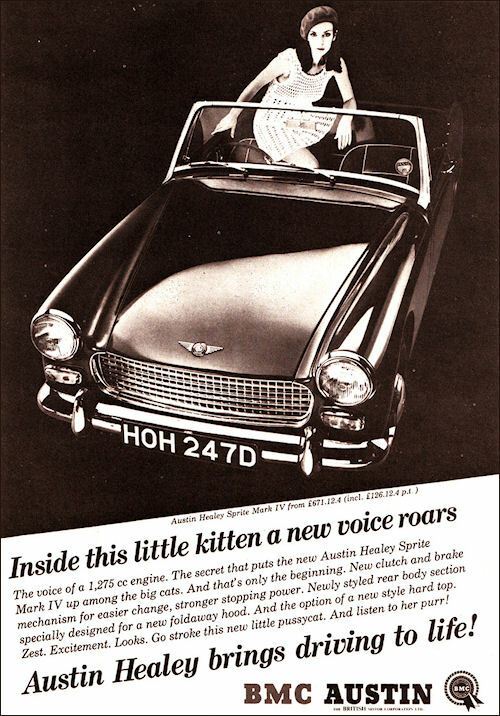 It might also be argued that a British name would be more respected in the European market than a Chinese name. 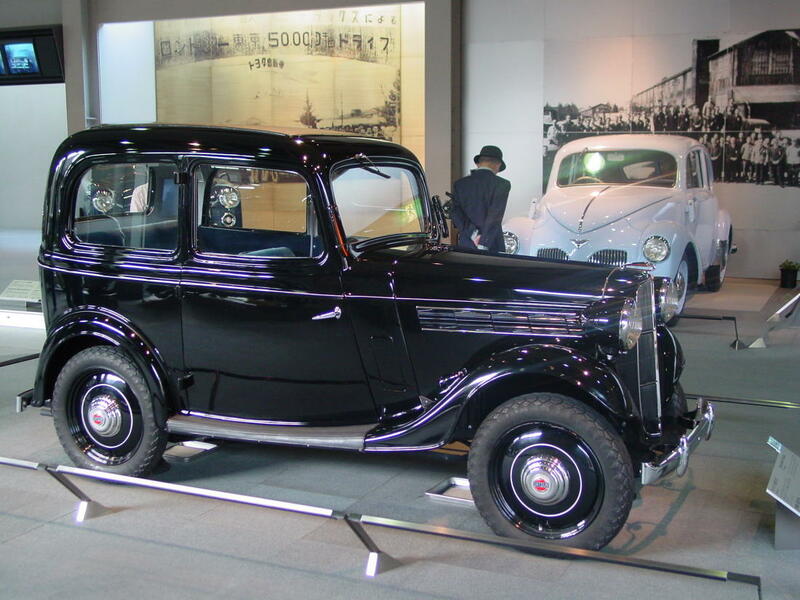 Nanjing Automobile Group itself merged into SAIC Motor. 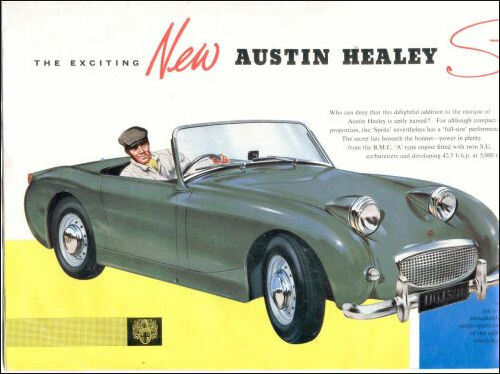 A new “Austin Motor Company Limited” was incorporated in July 2012 by Steve Morgan of Birmingham who also owns the last Mini to leave Longbridge, but was dissolved in 2014. 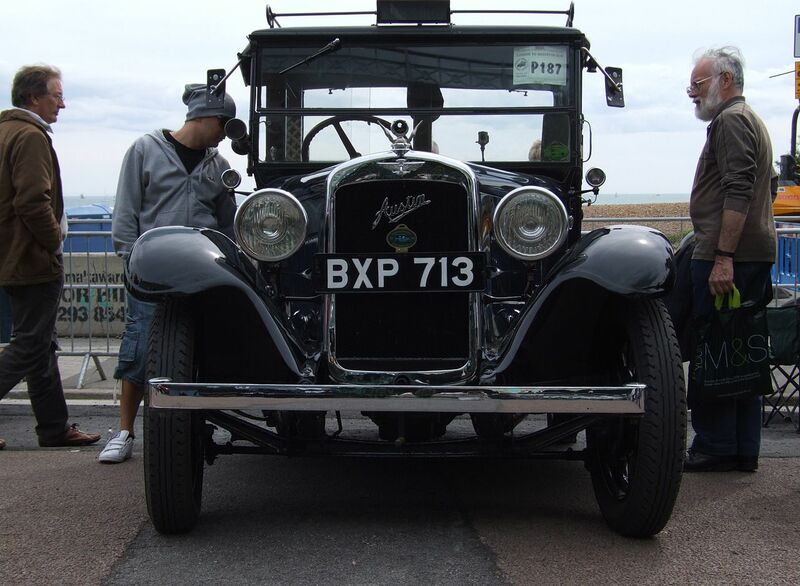 In 2015, the “Austin Motor Company” and the 1930s “Flying A” logo name and patents was purchased by John Stubbs in Braintree, Essex. 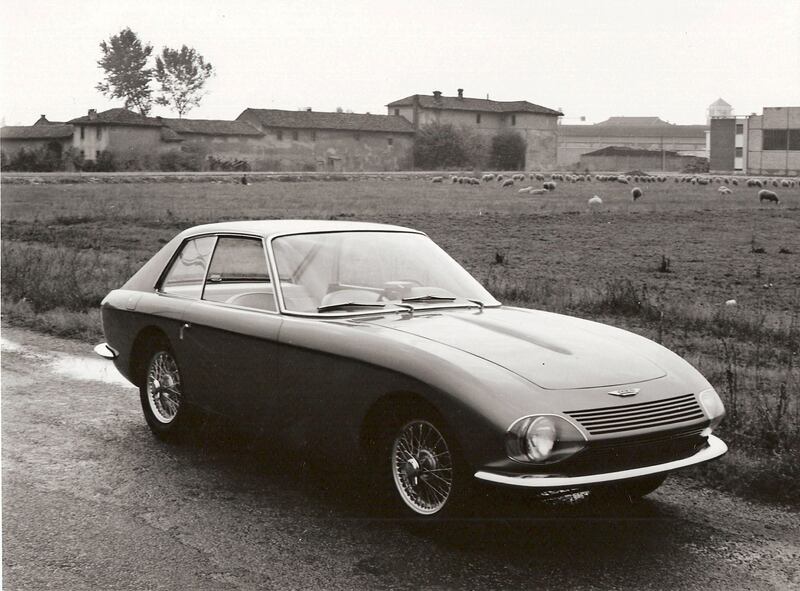 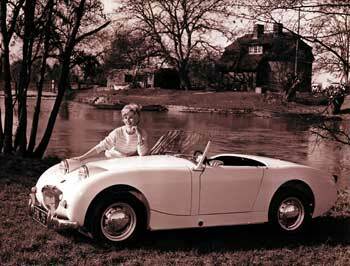 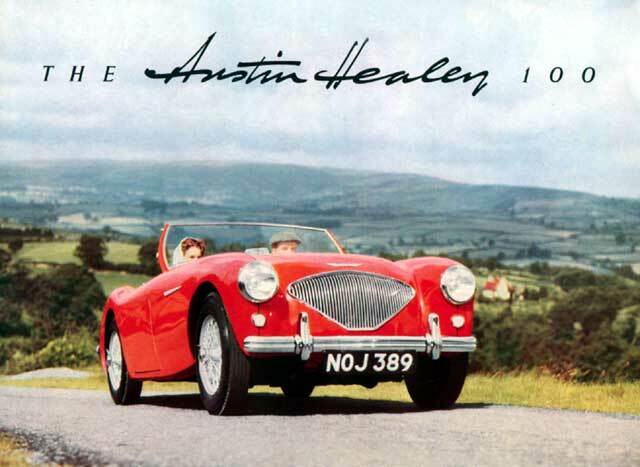 The company intend to start manufacturing an all new Austin car in 2016. 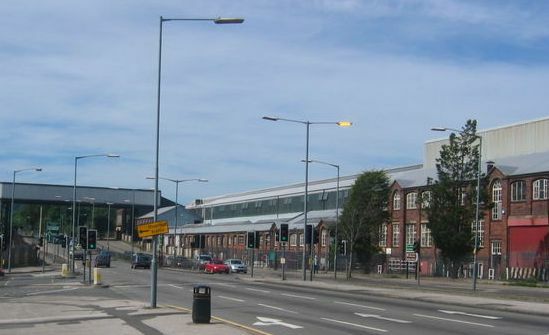 Austin started his business in an abandoned print works at Longbridge, Birmingham. 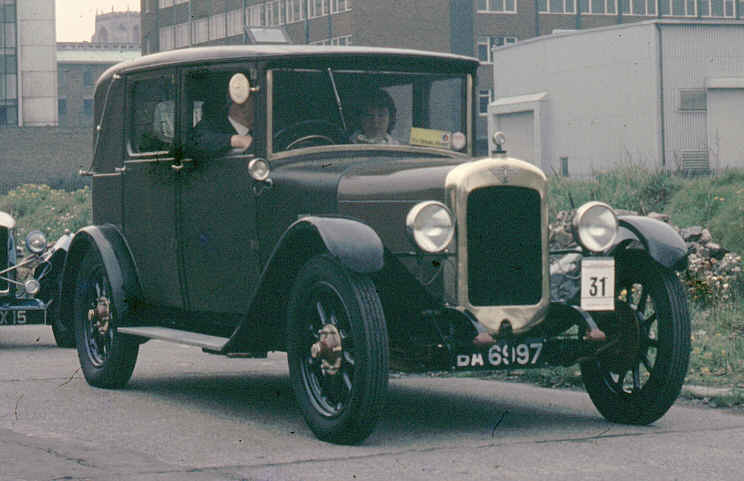 Due to its strategic advantages over Morris‘s Cowley plant, Longbridge became British Leyland‘s main factory. 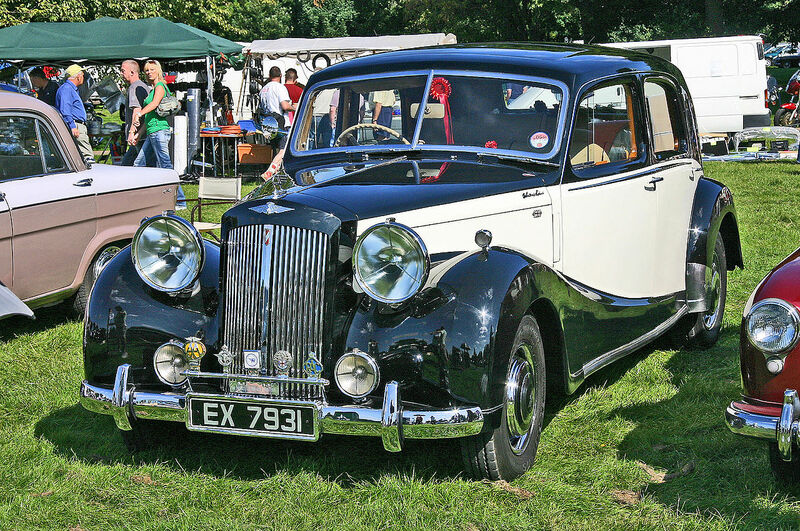 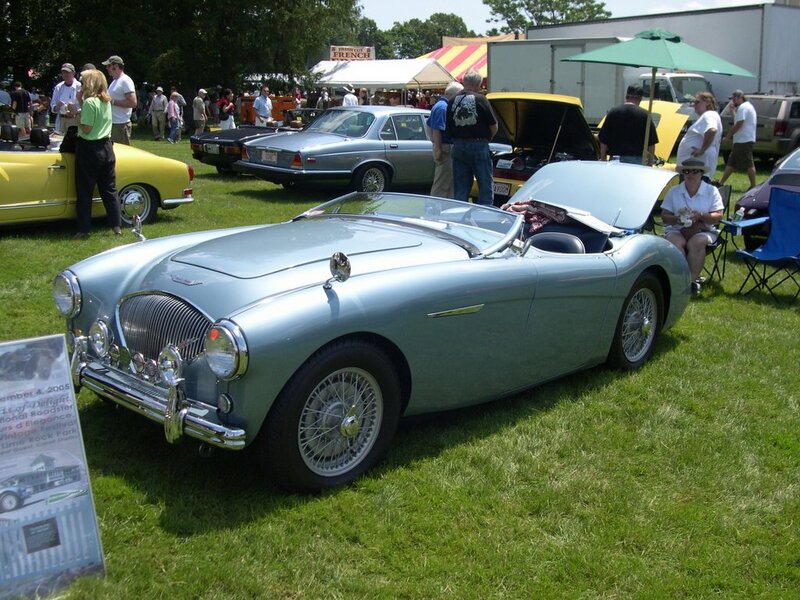 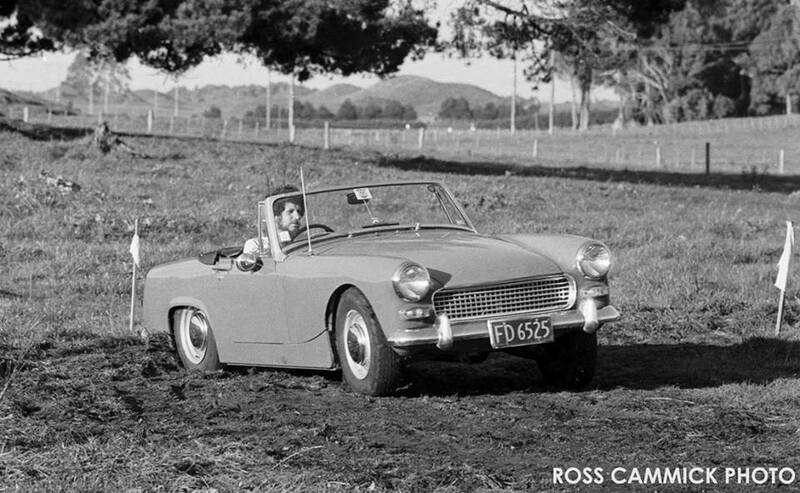 Following the Austin marque’s discontinuance in 1989, Rover and MG continued to use the plant. 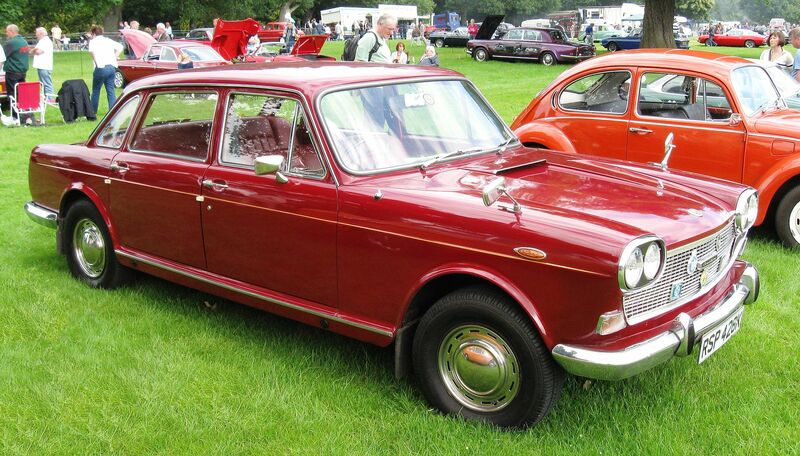 The collapse of MG Rover meant it was not used from 2005 until MG production restarted in 2008. 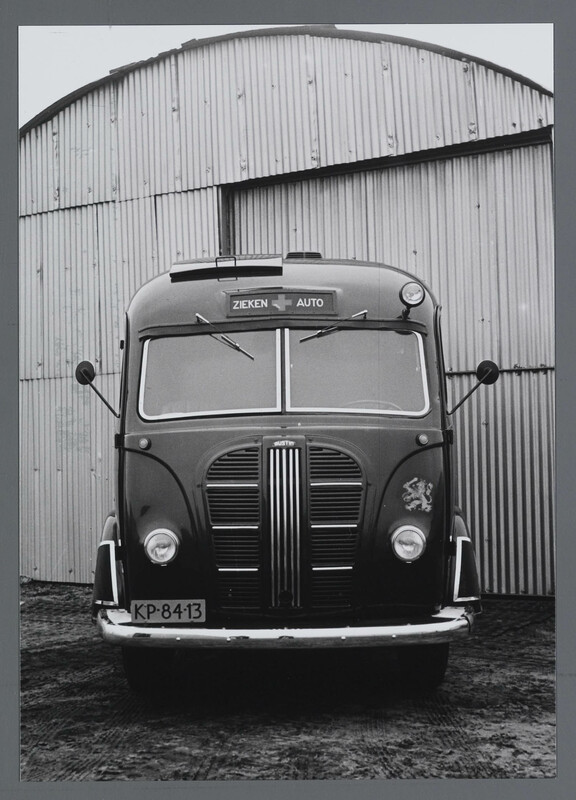 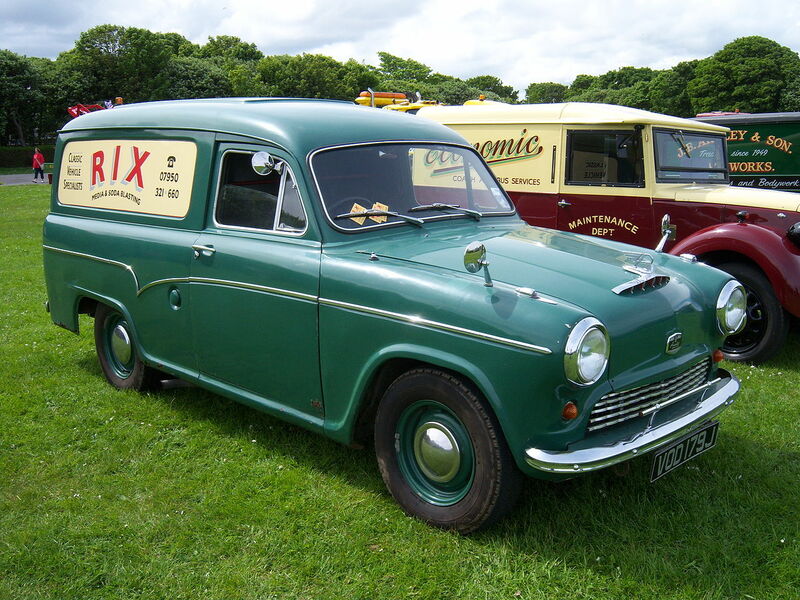 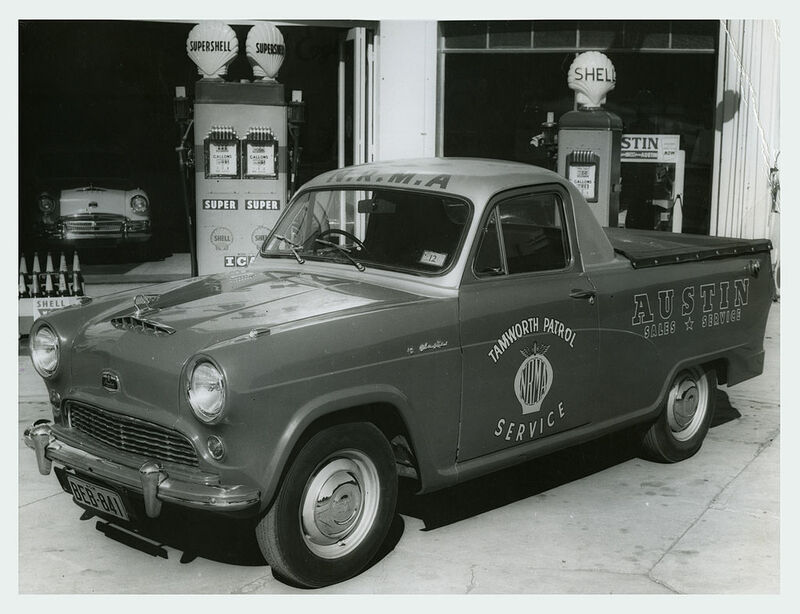 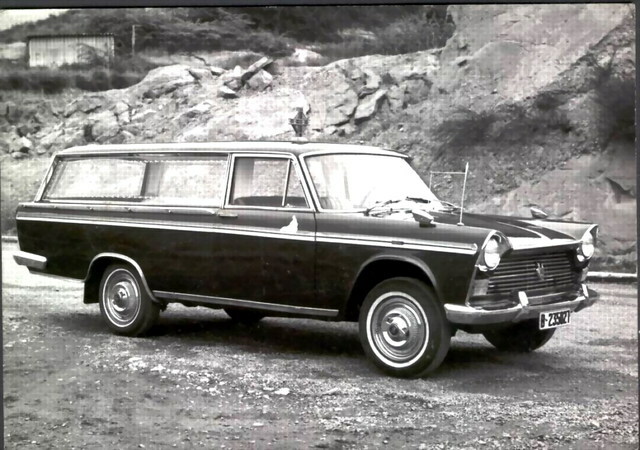 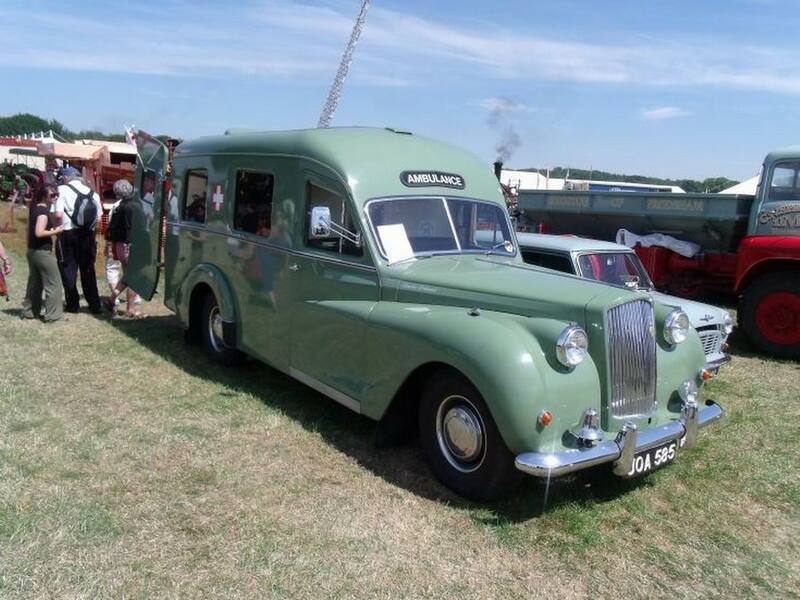 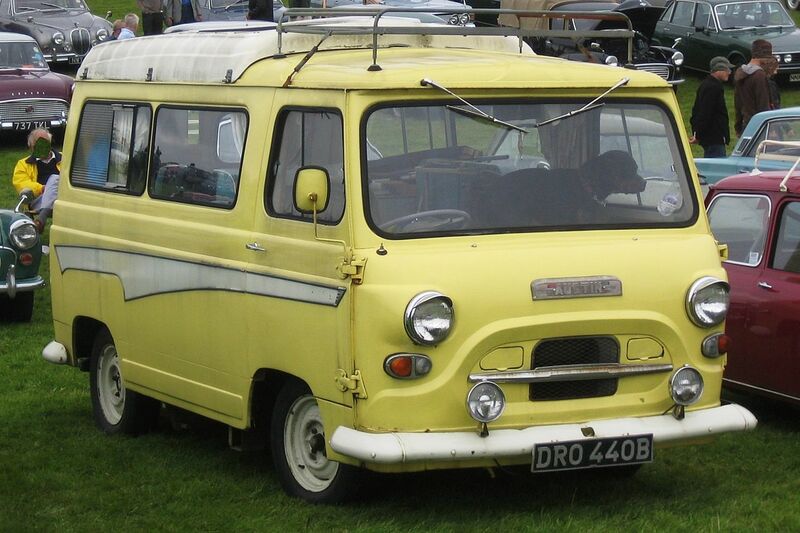 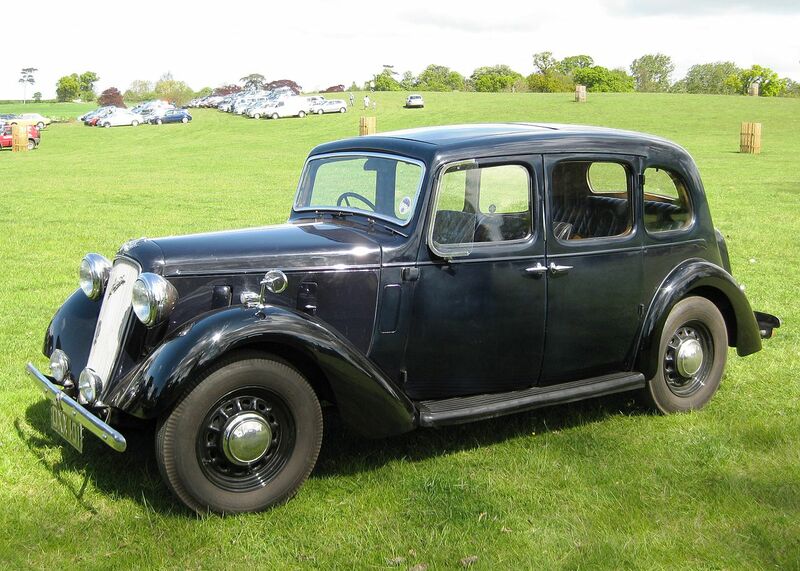 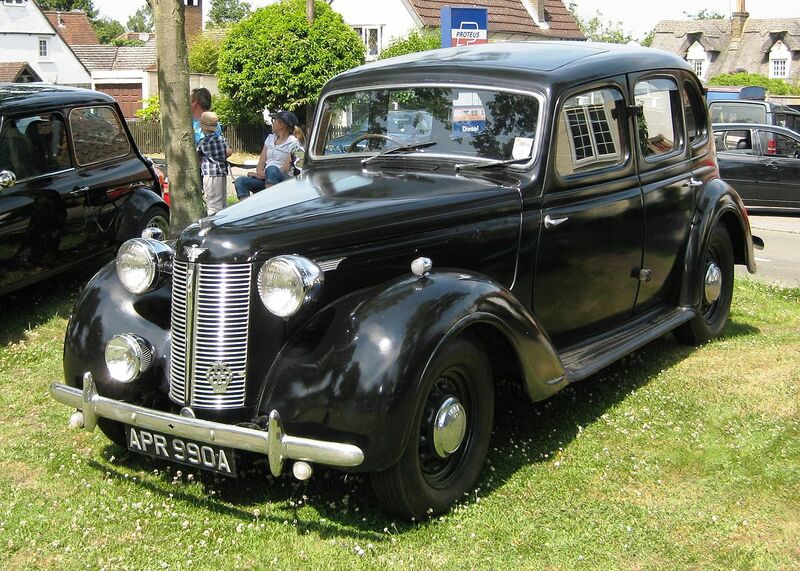 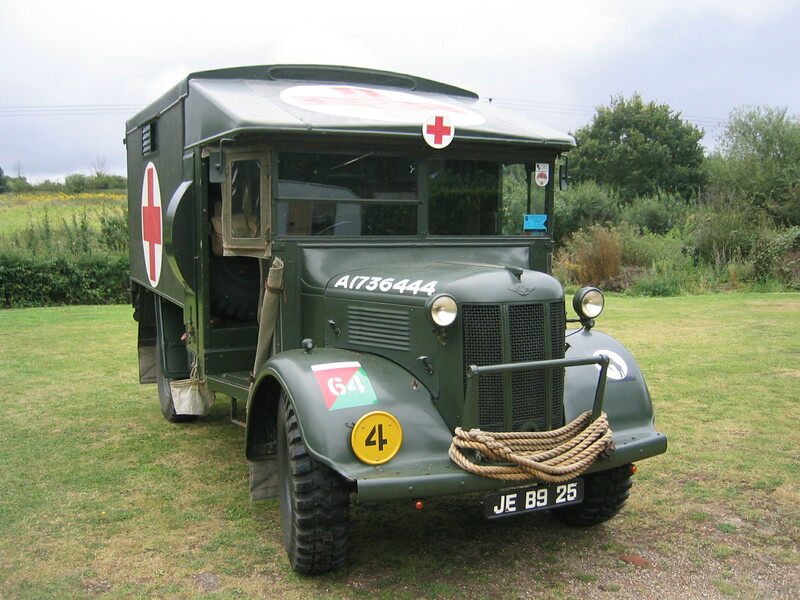 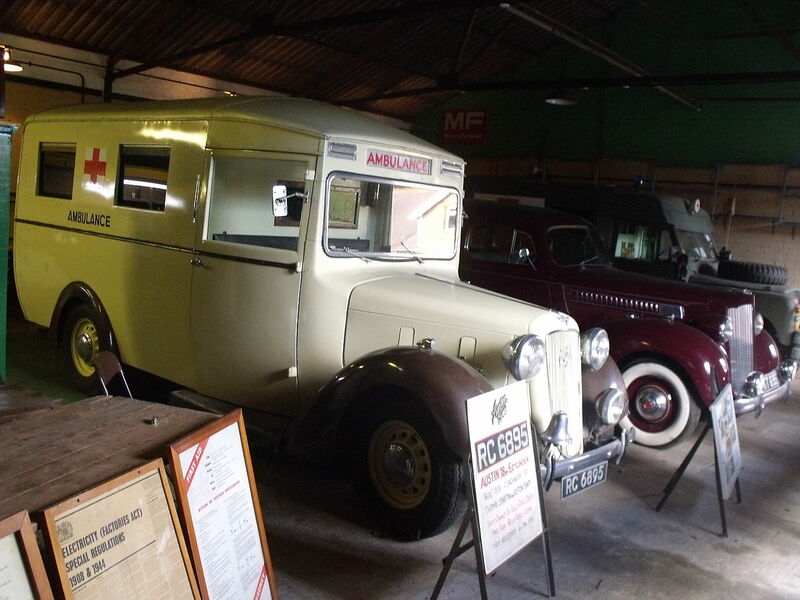 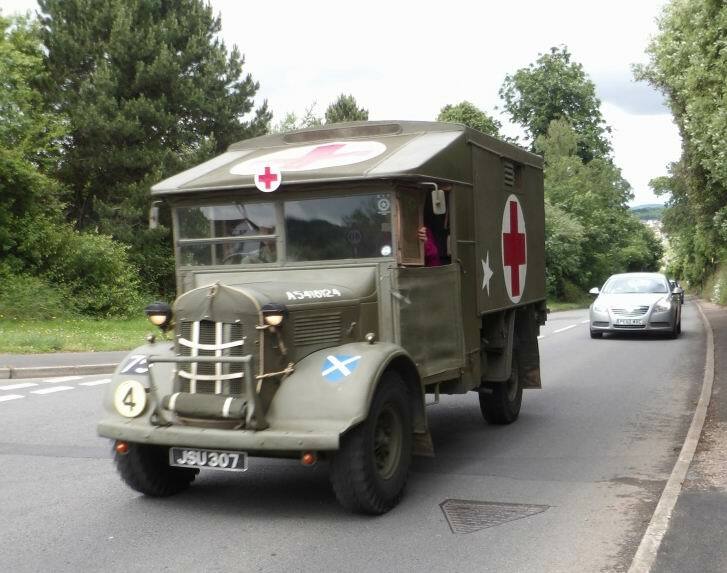 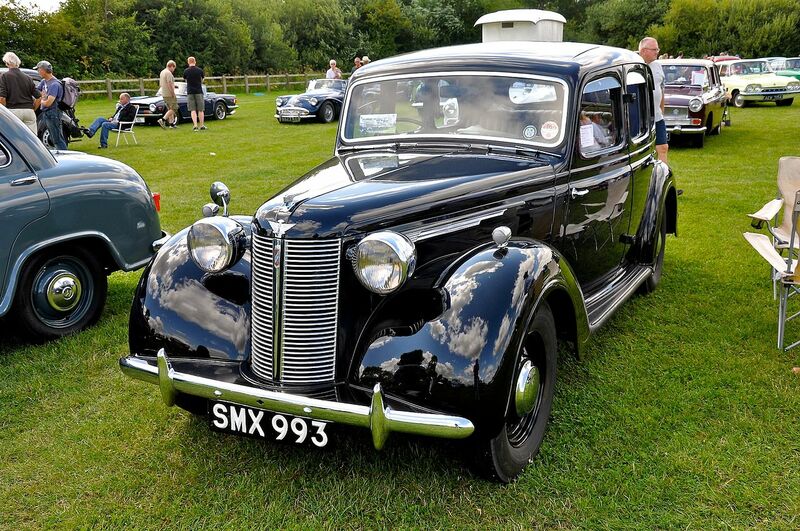 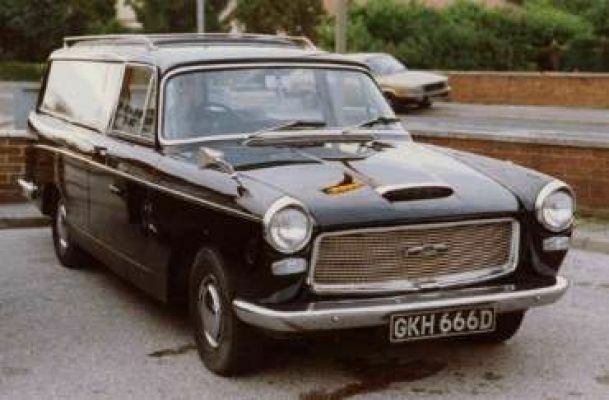 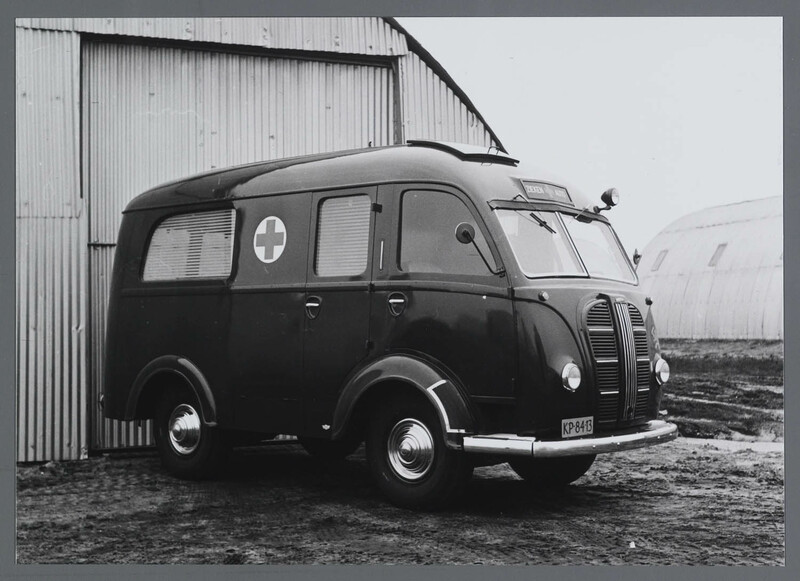 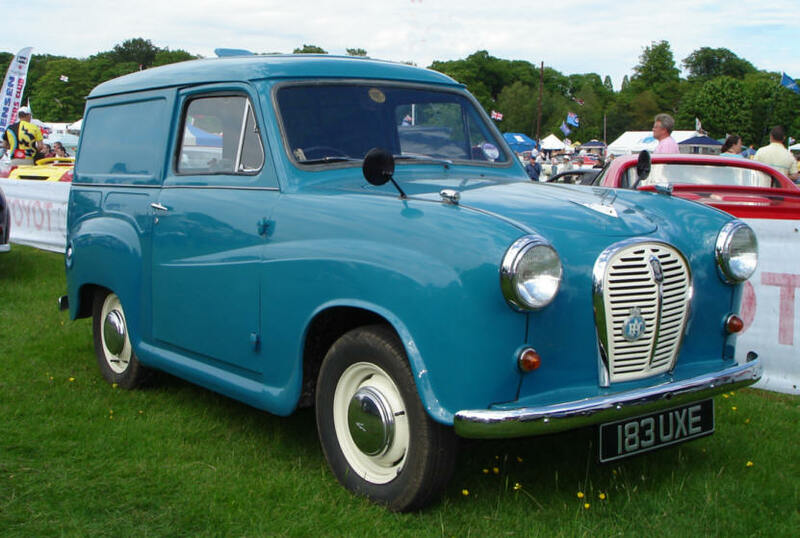 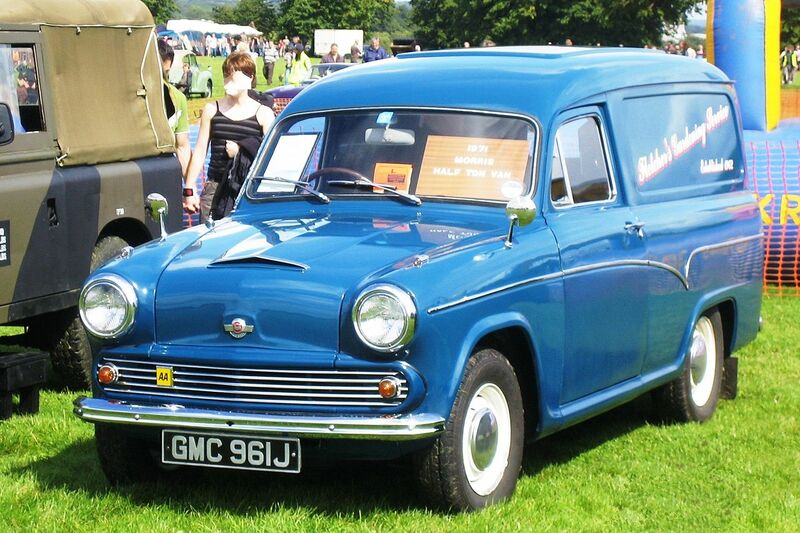 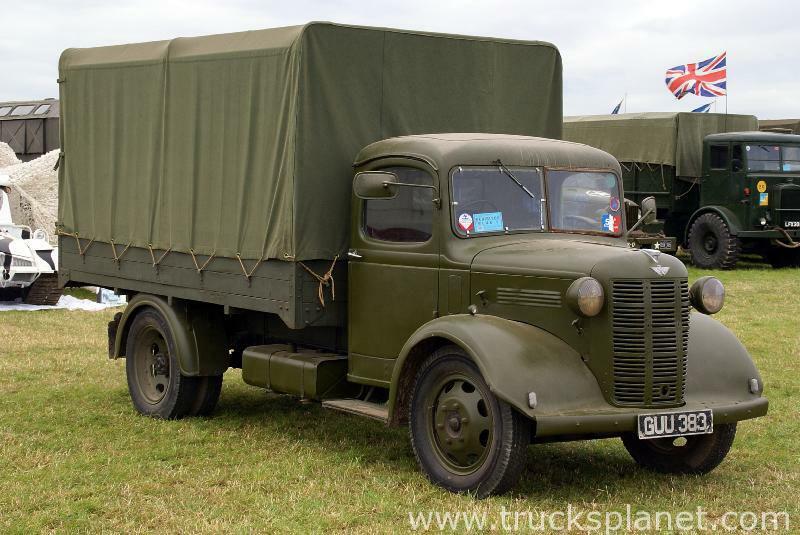 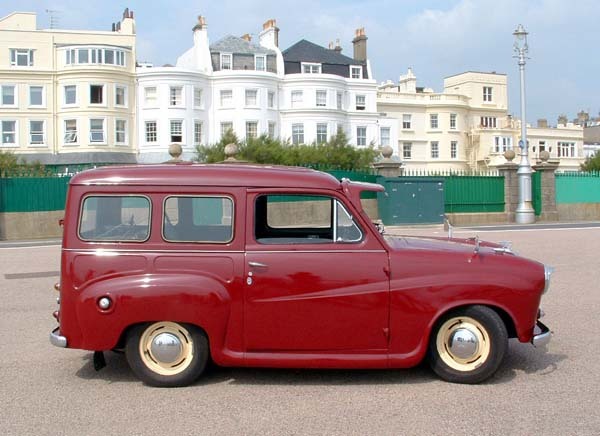 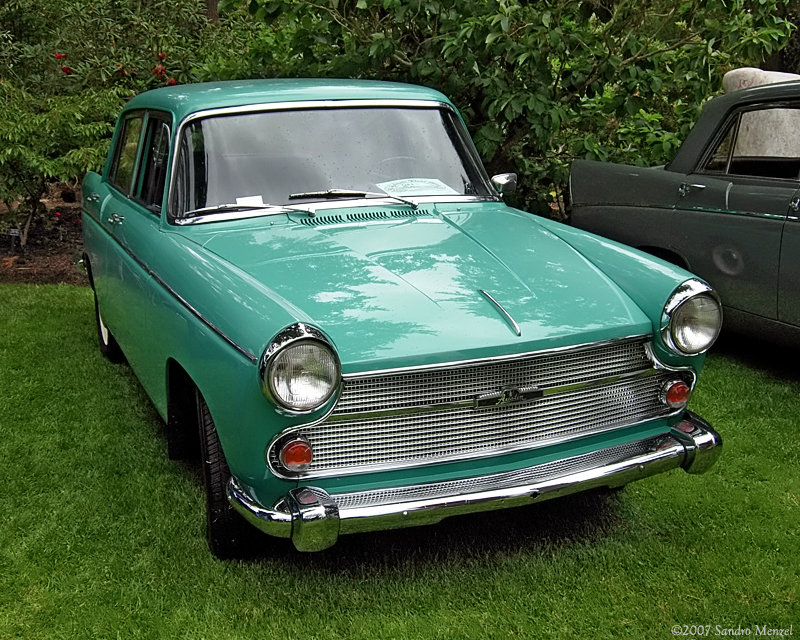 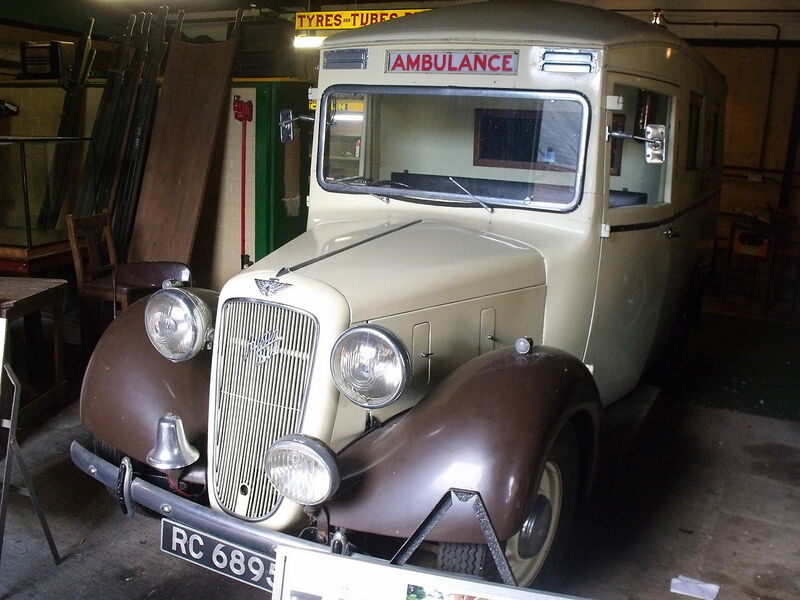 Austin also made commercial vehicles, one of which was the FG, previously the Morris FG. 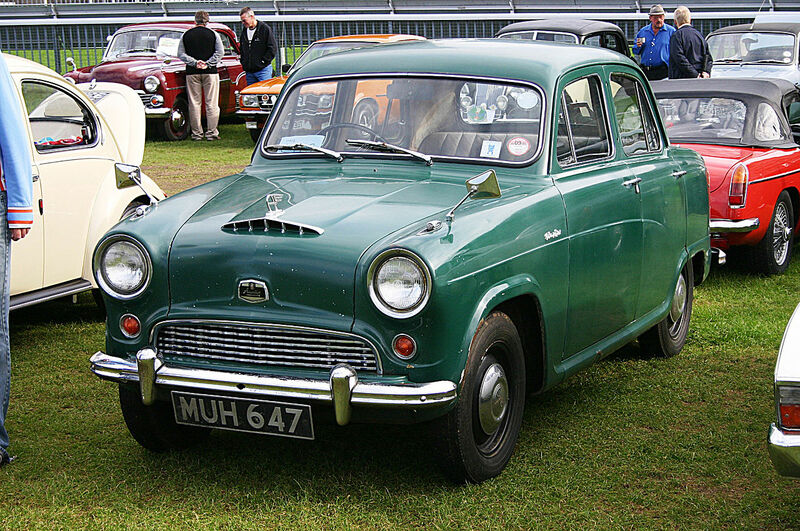 The FG was the workhorse that kept Britain running in the 1960s. 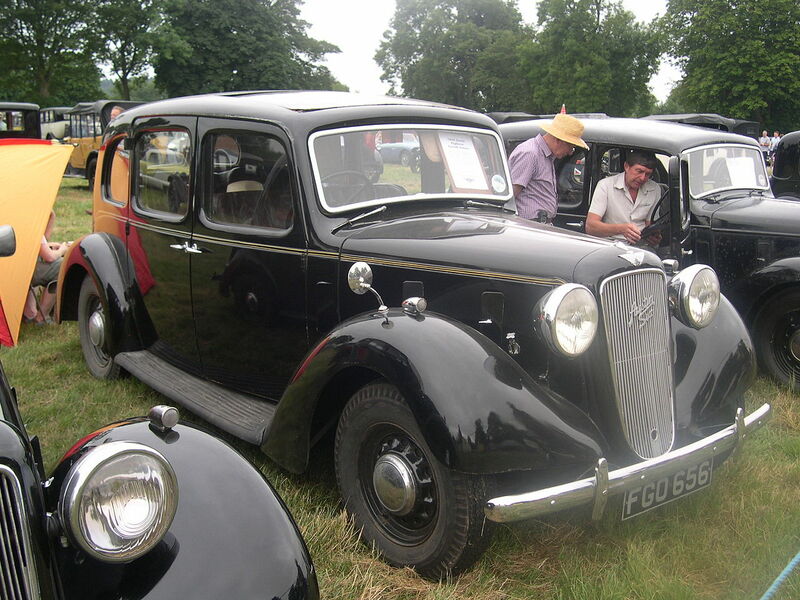 These Austin FGs and later the Leyland FGs all had petrol or diesel longstroke engines, producing good torque, but very little in the way of speed (40 mph was a good speed out of these vehicles). 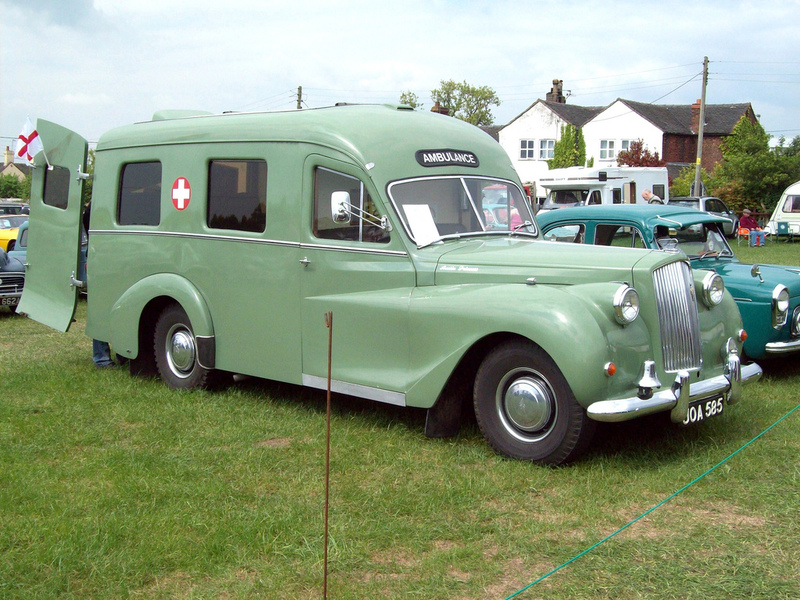 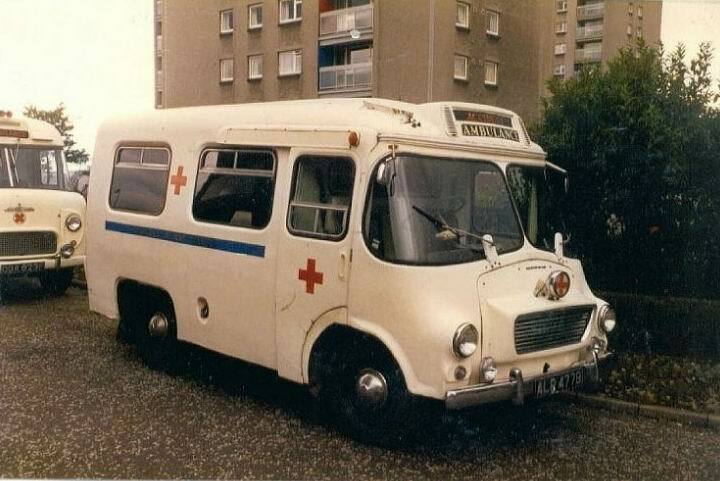 Leyland were to take over the FG, but before they did, in 1964, the BBC (British Broadcasting Corporation) commissioned six rolling chassis FGs to be coach built by a Middlesex company, Palmer Coachbuilders. 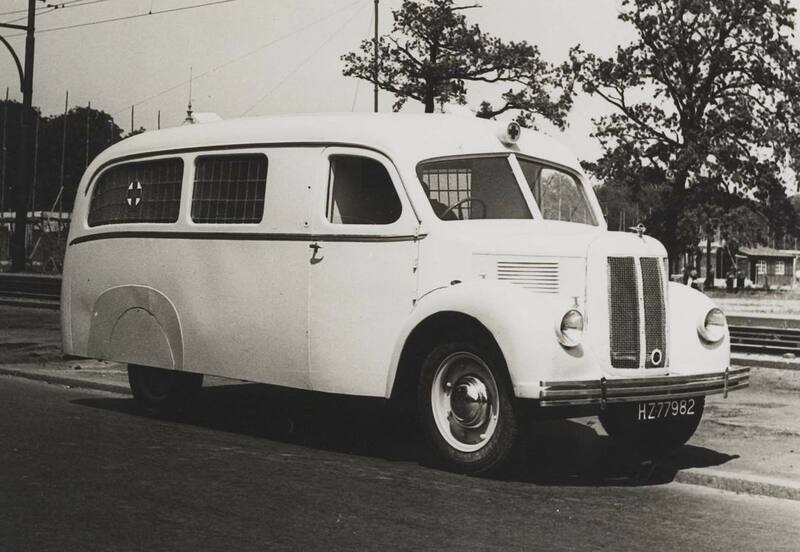 These six vehicles, registration 660 GYE to 666 GYE, were outdoor broadcast scenery vehicles. 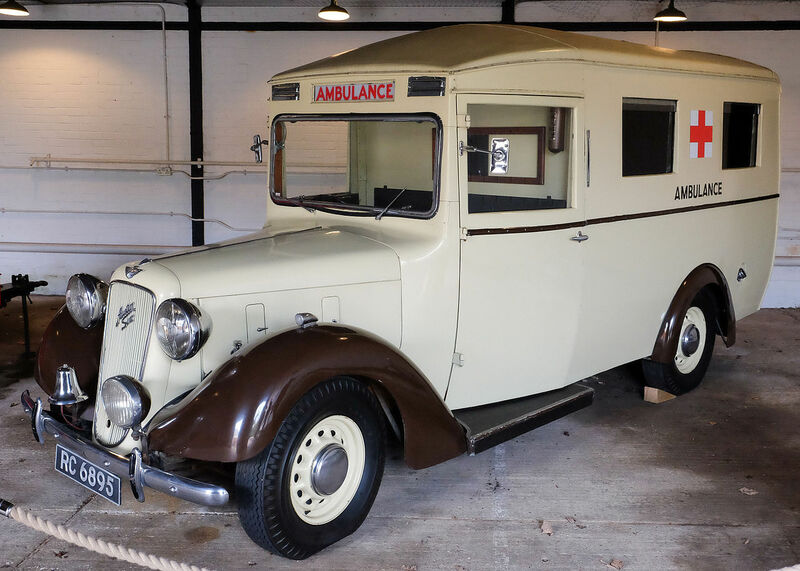 There are lots more Ambulances, Hearses, Limousines and so on. 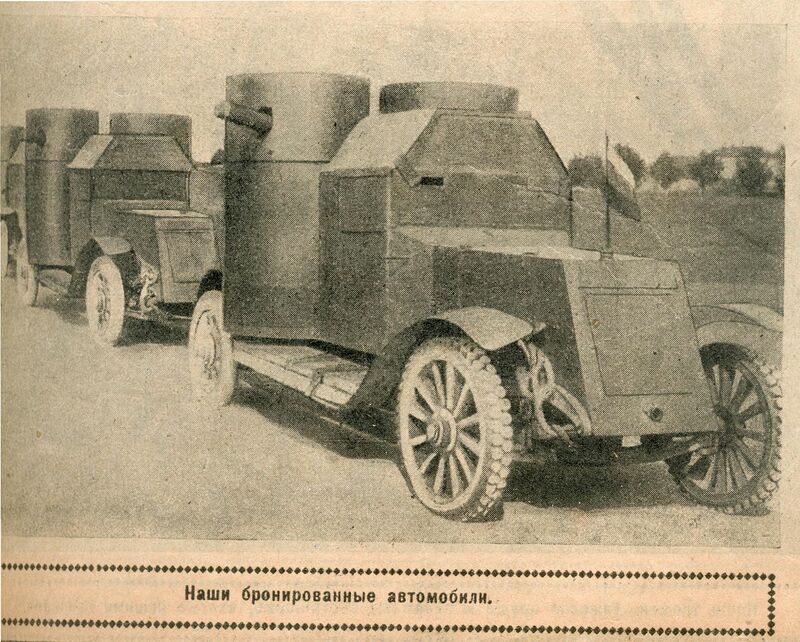 I’ll show them in my next blog. 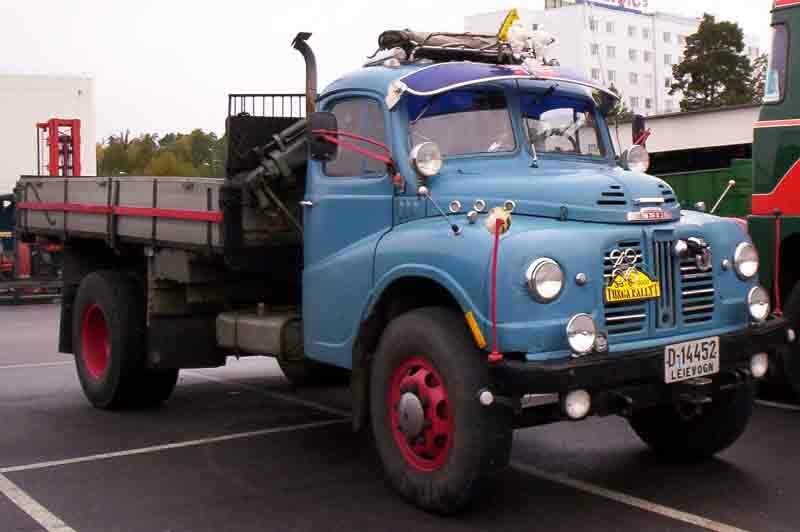 There will only be pictures I found on the www. 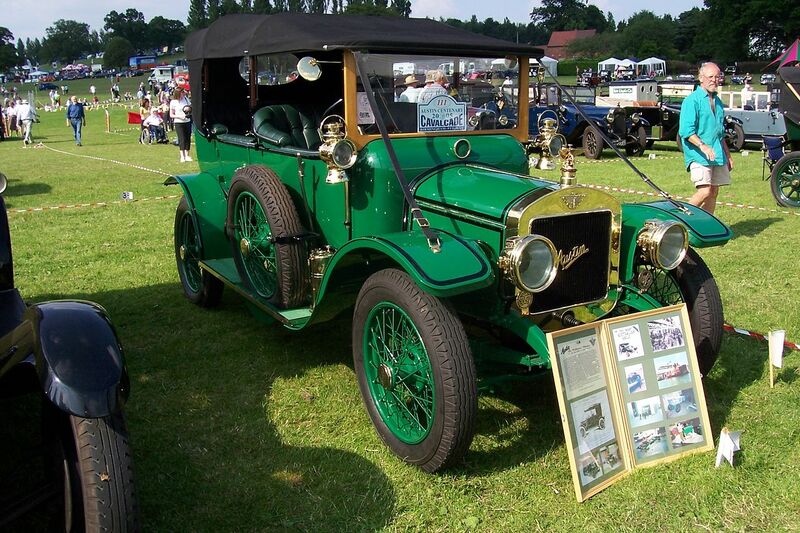 ^ Jump up to:a b c The Austin Motor Company (1914) Limited. 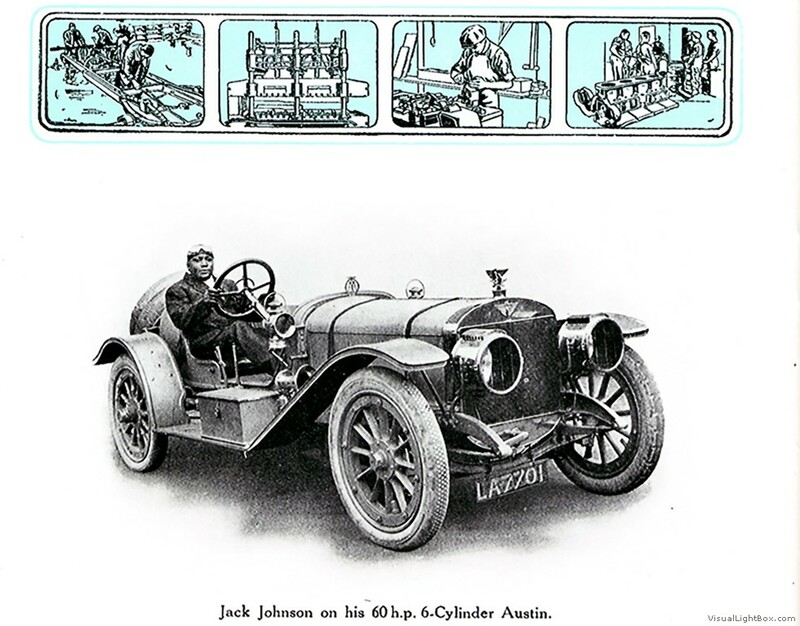 The Times, Monday, 9 February 1914; p. 13; Issue 40442. 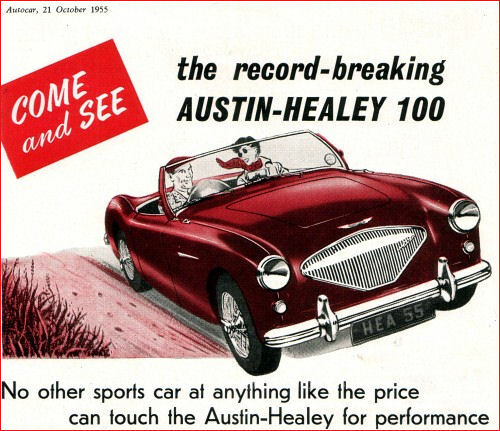 Jump up^ “Austin Motor Company”. 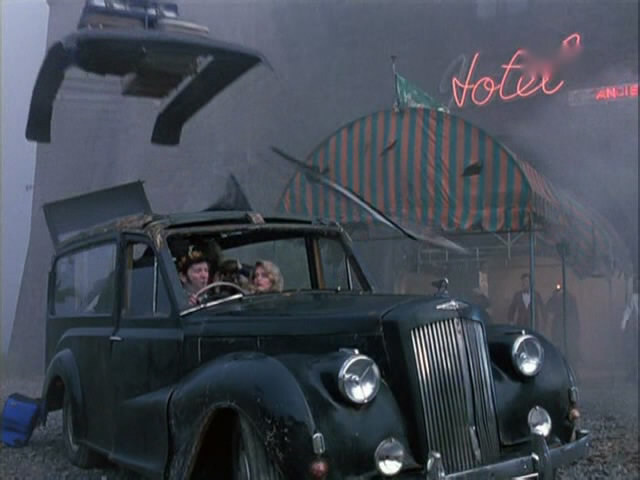 The Times. 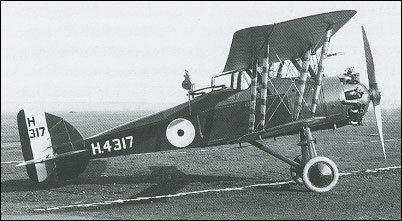 27 May 1911. p. 21. 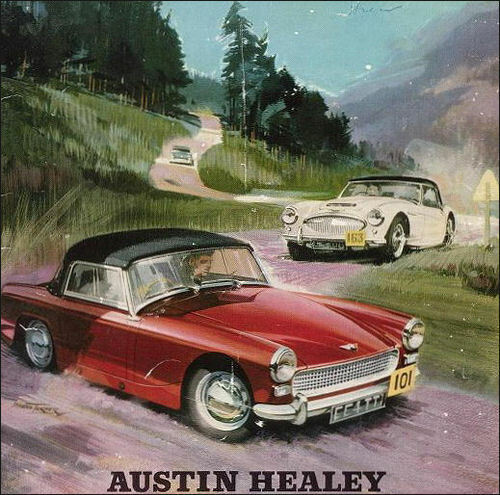 Jump up^ “Austin Motor Company”. 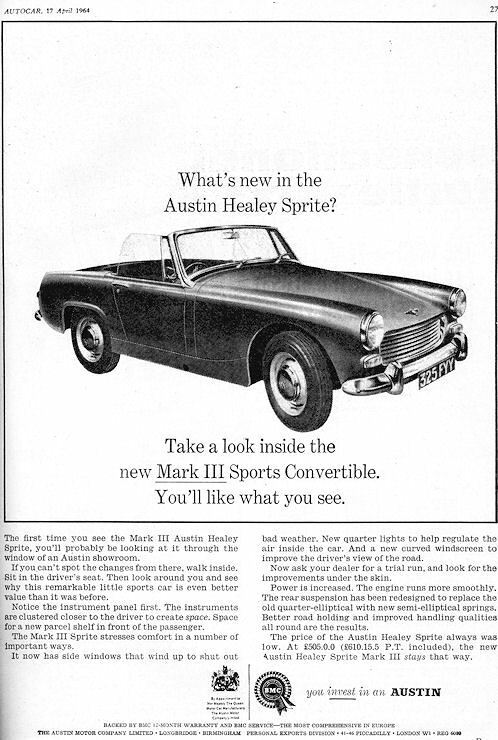 The Times. 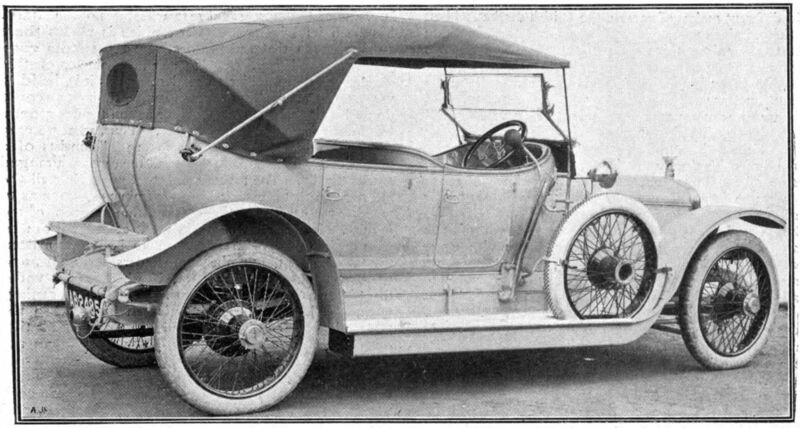 2 October 1912. p. 7. 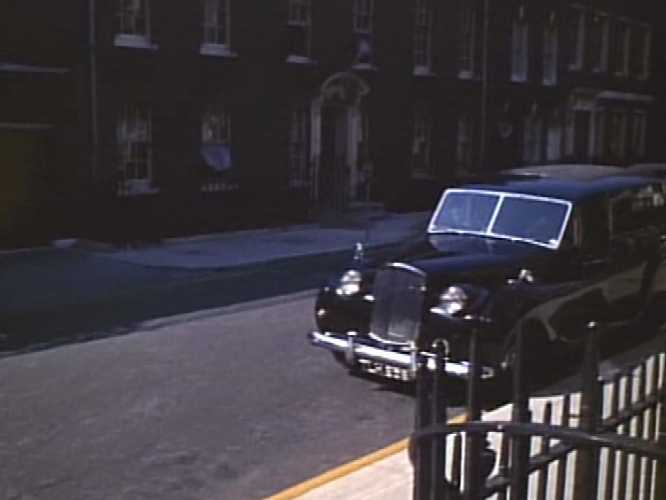 ^ Jump up to:a b c Sheepish start for the lion of Longbridge. 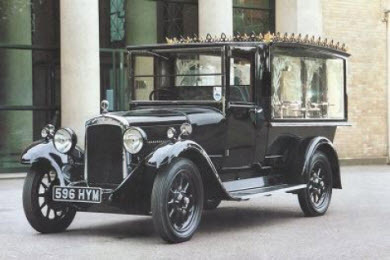 Lord Montagu of Beaulieu.The Times, Saturday, 26 August 1995; pg. 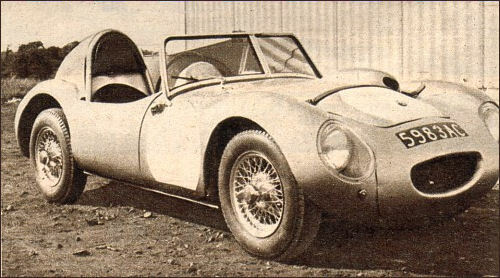 3[S1]; Issue 65356. 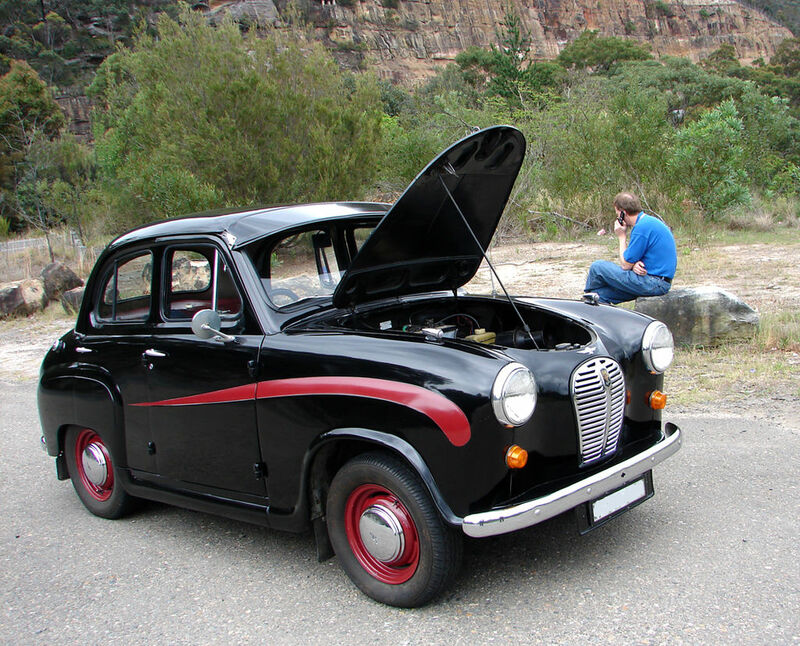 Jump up^ Dolan, Andy (13 April 2010). 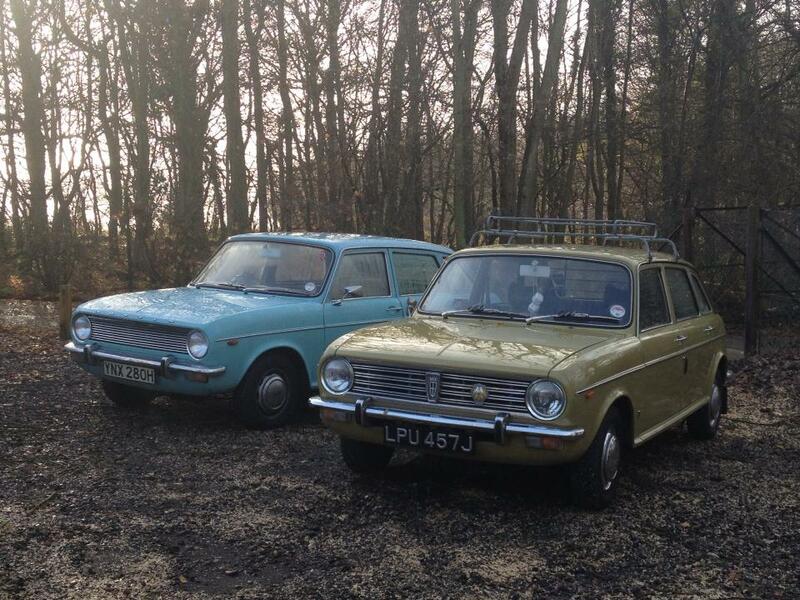 “Austin Allegro fan spends £8,500 restoring £800 ‘flying pig'”. 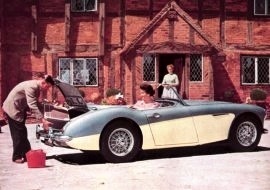 Daily Mail. 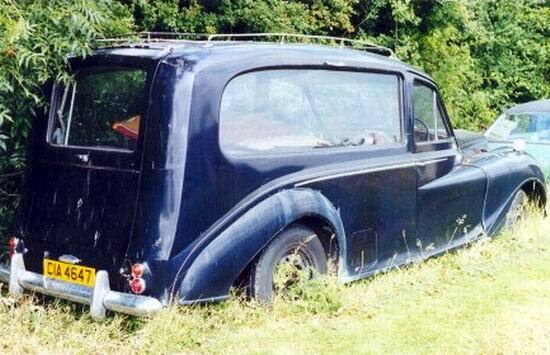 Retrieved 22 July 2013. 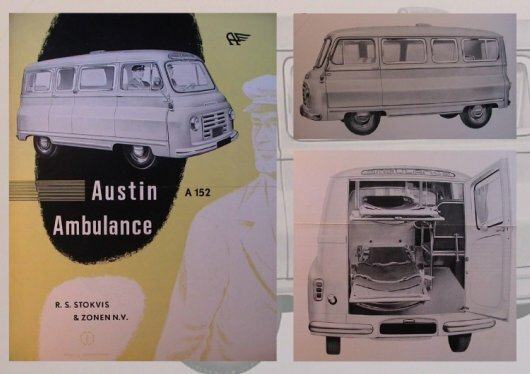 Jump up^ “Austin Motor Company Limited”.Company Check. 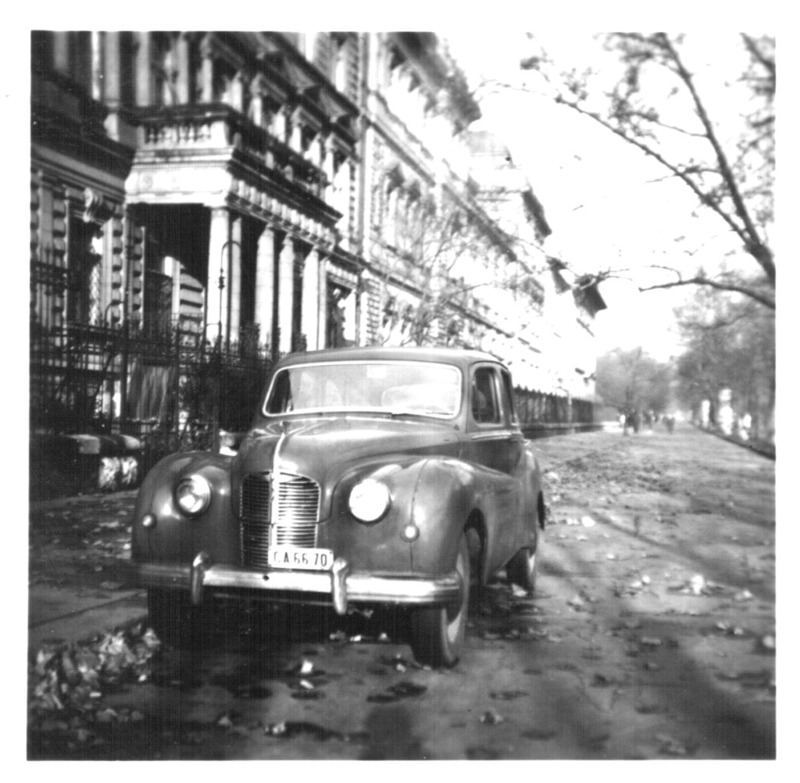 Retrieved30 November 2015. 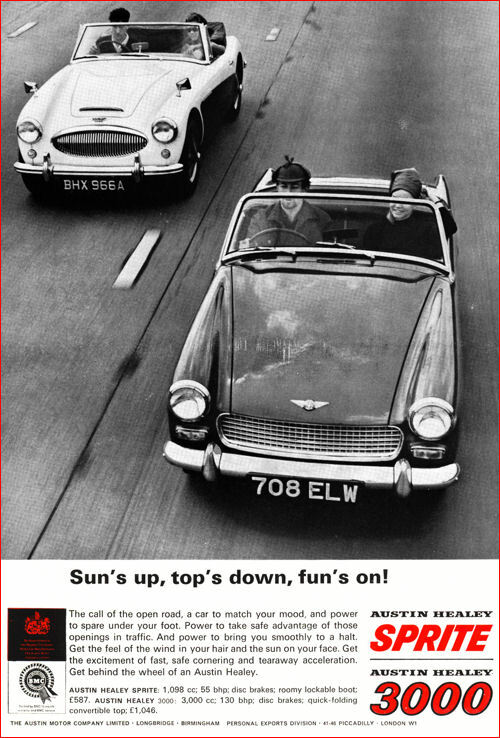 Jump up^ “£4.99… and I’m the new boss of Austin Motors!”. 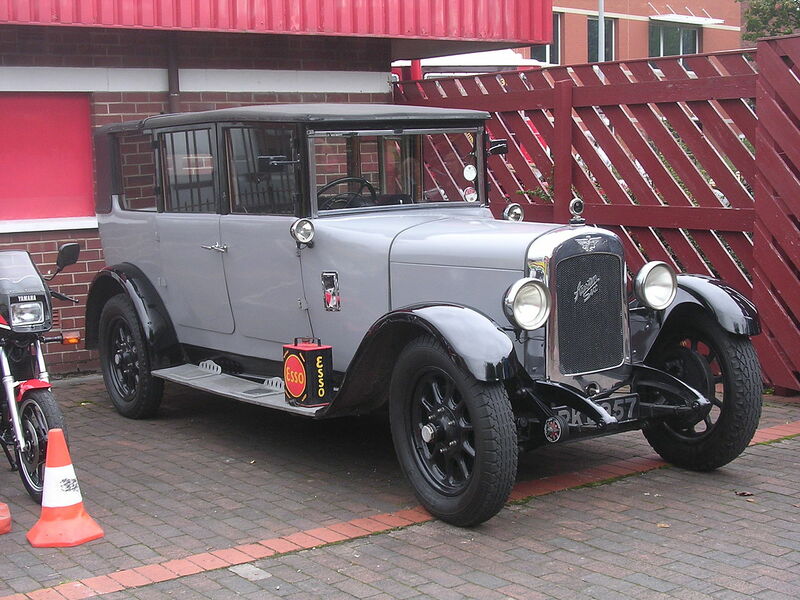 Birmingham Mail. 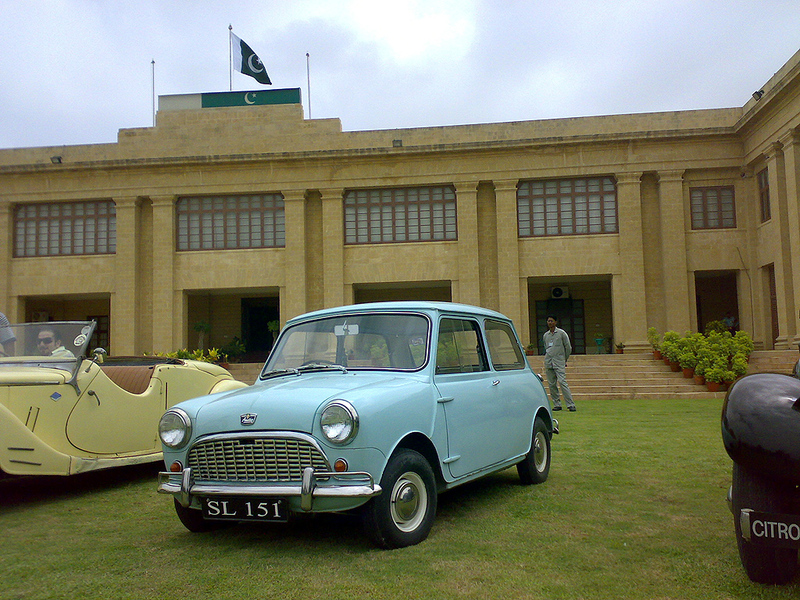 8 February 2013. 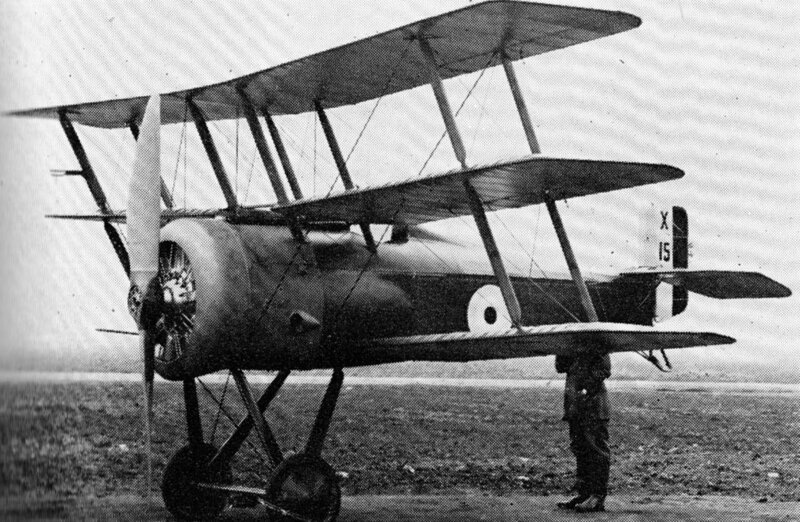 Retrieved 1 March2015. 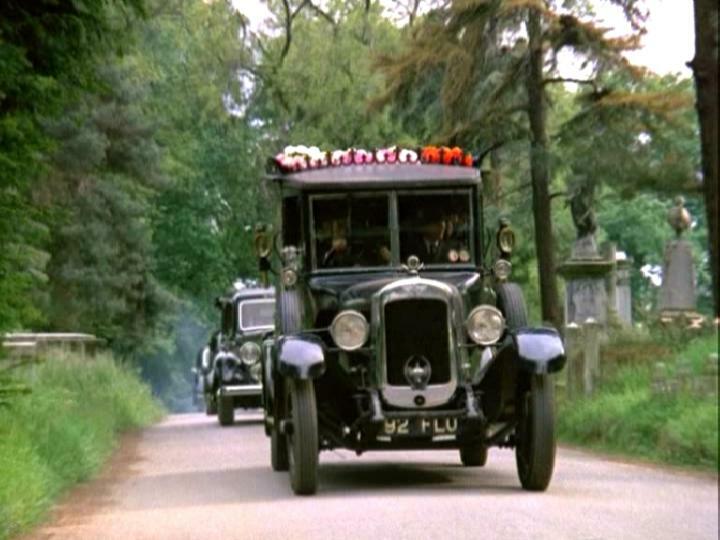 Jump up^ “News : The final Mini leaves Longbridge”. 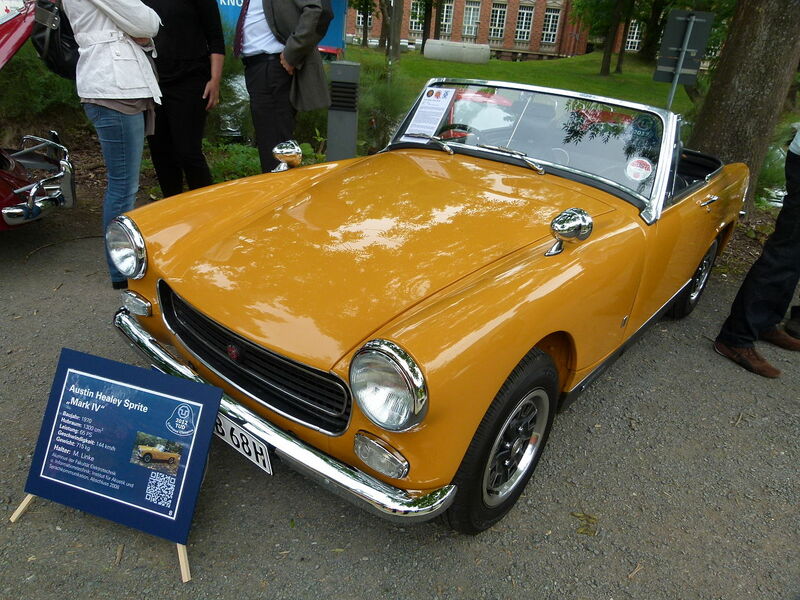 AR Online. 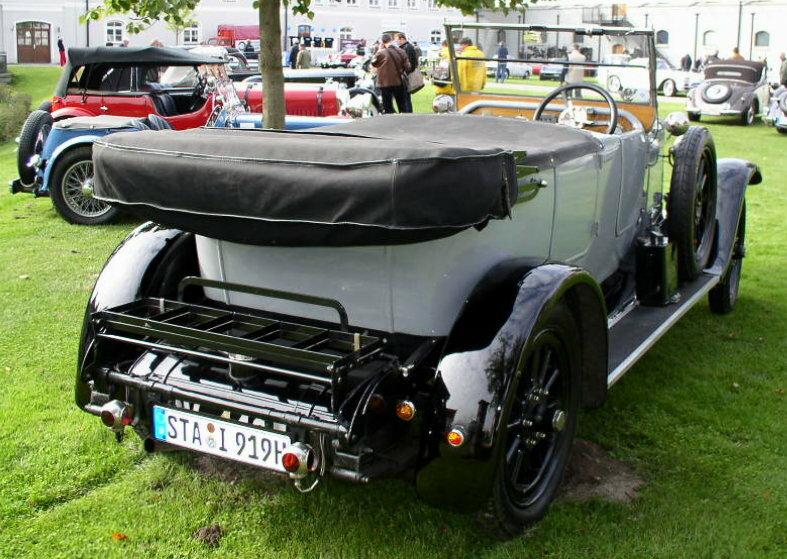 20 November 2012. Retrieved 2 January2013.